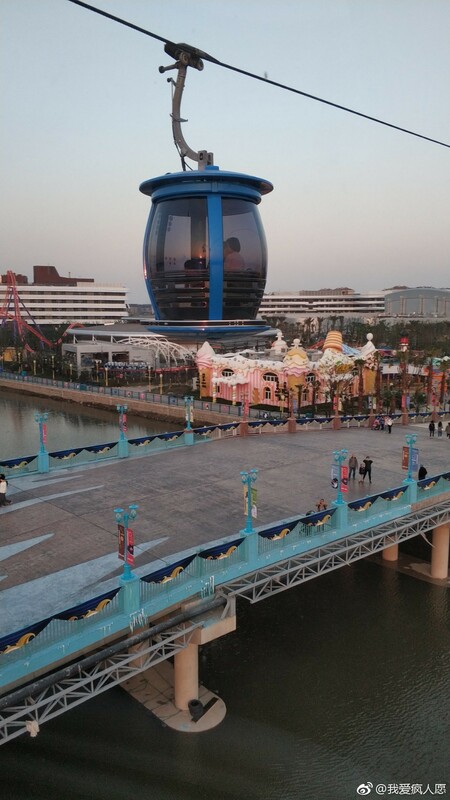 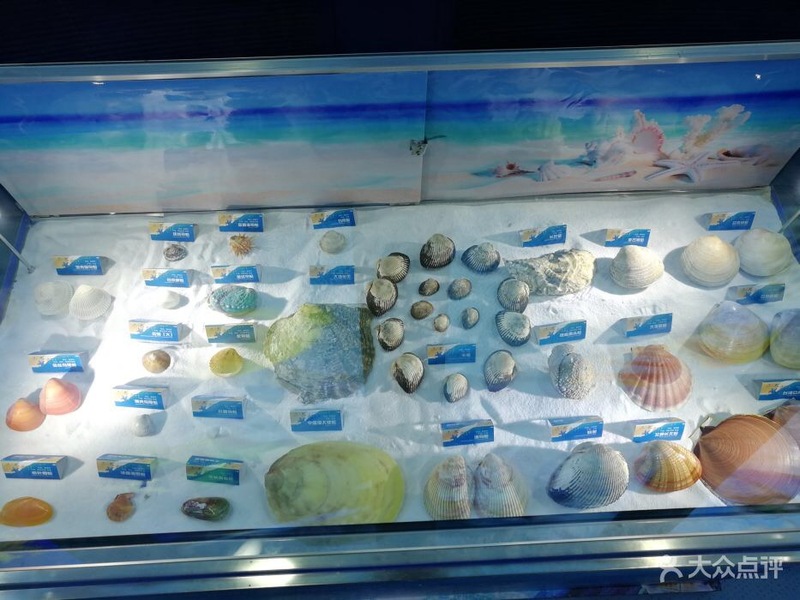 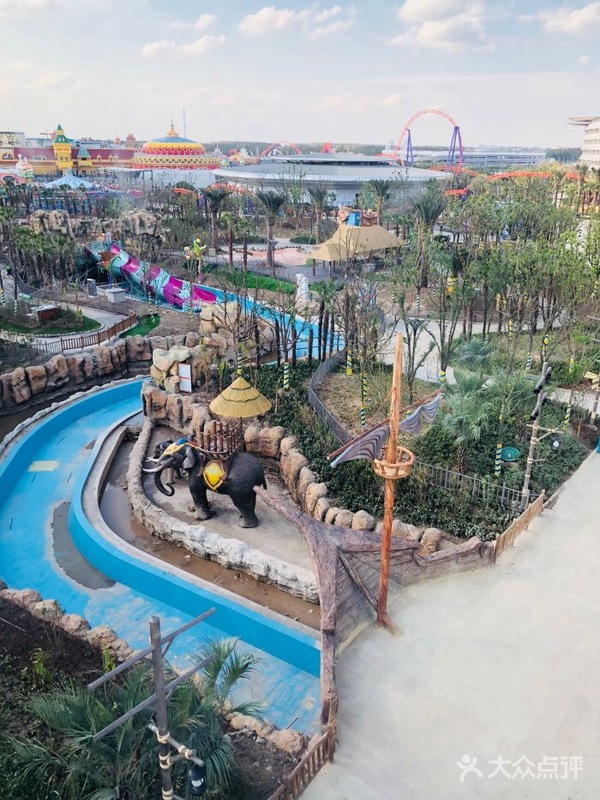 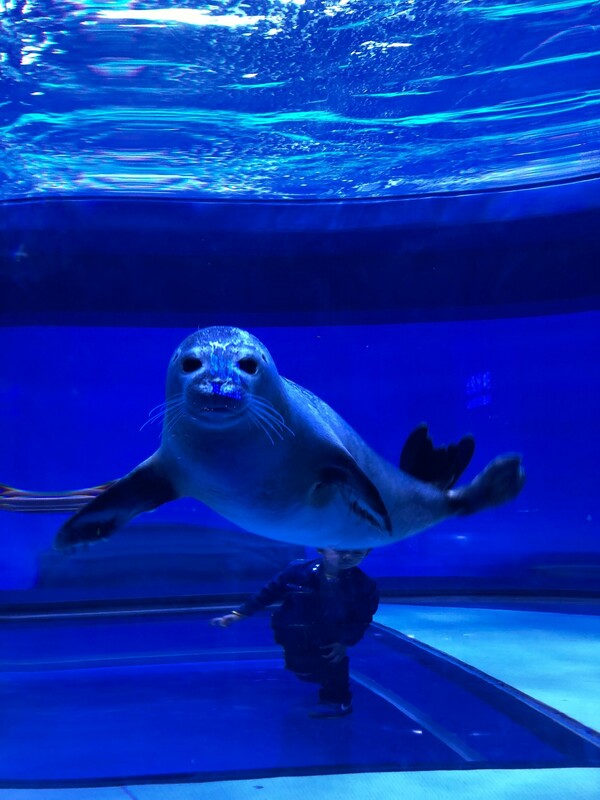 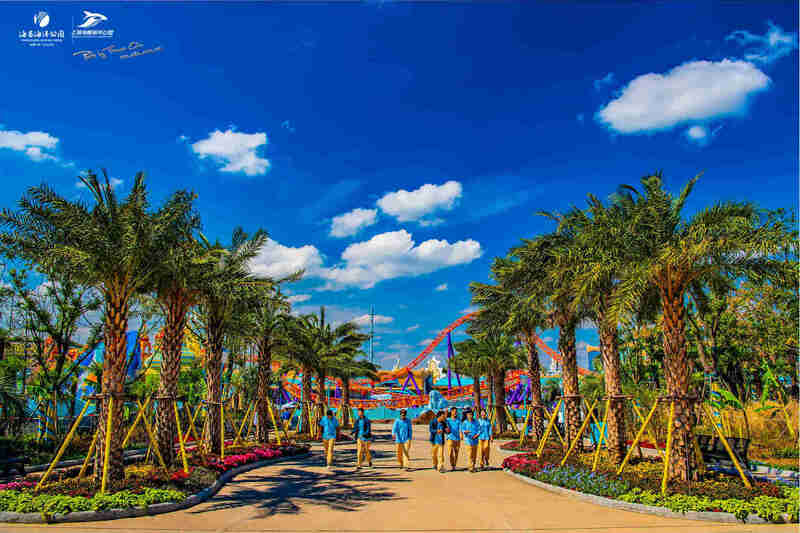 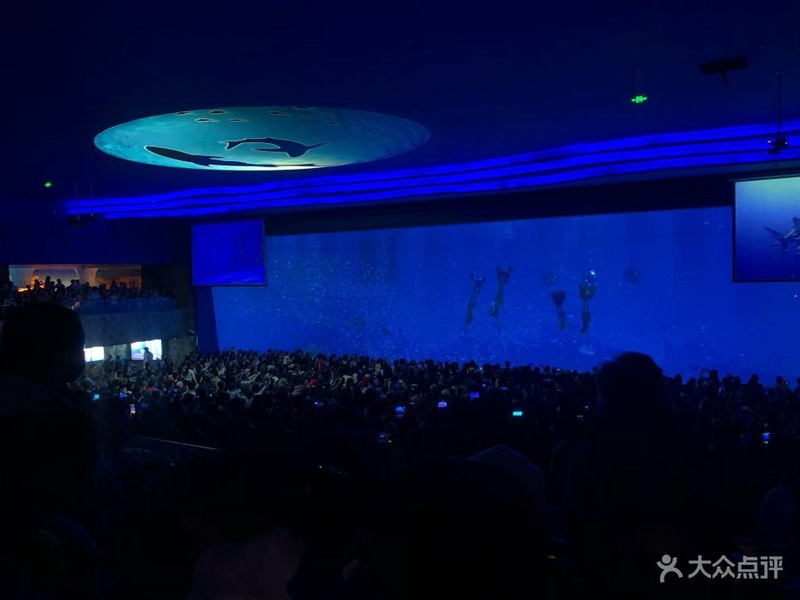 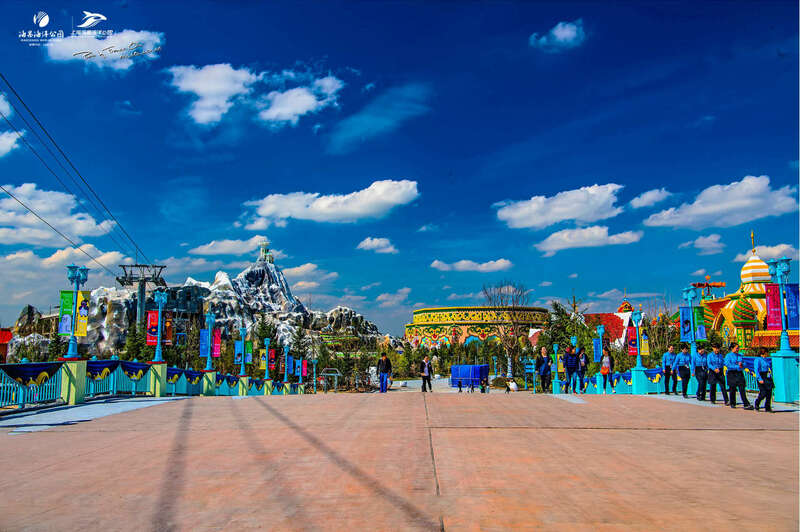 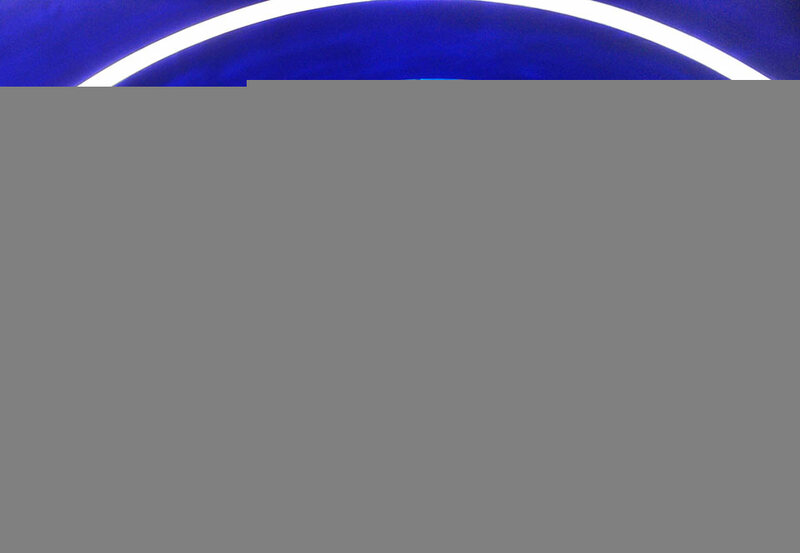 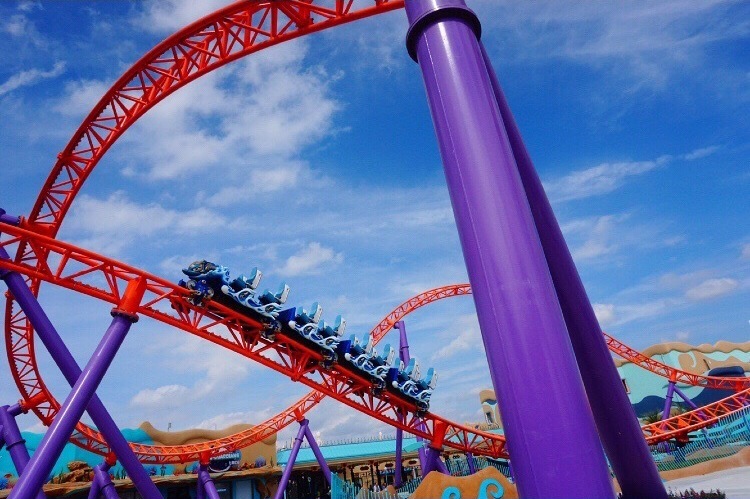 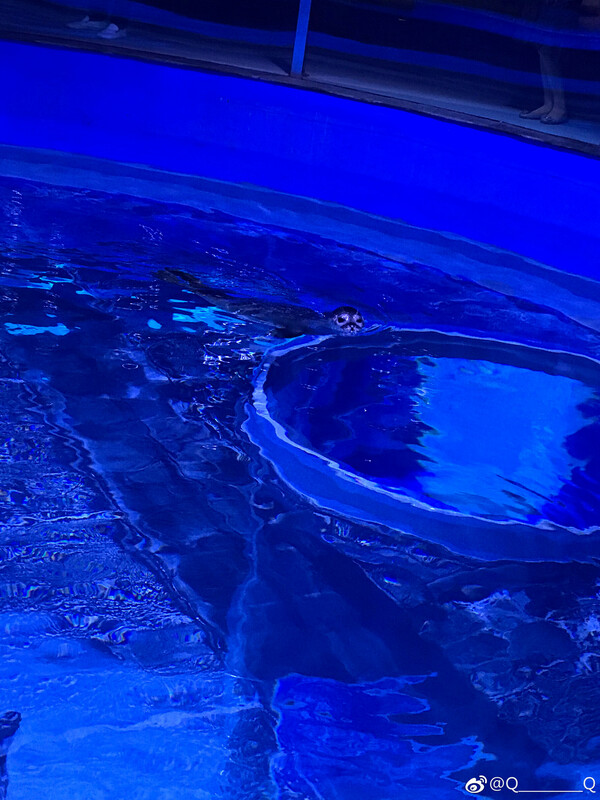 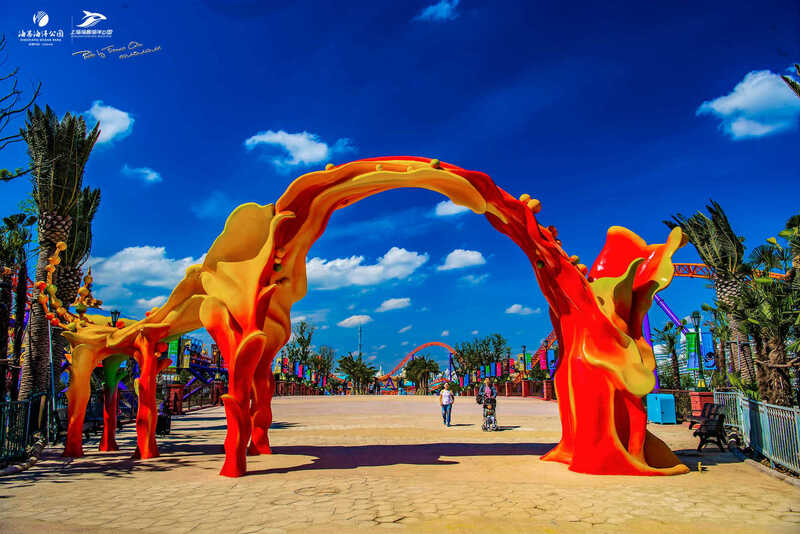 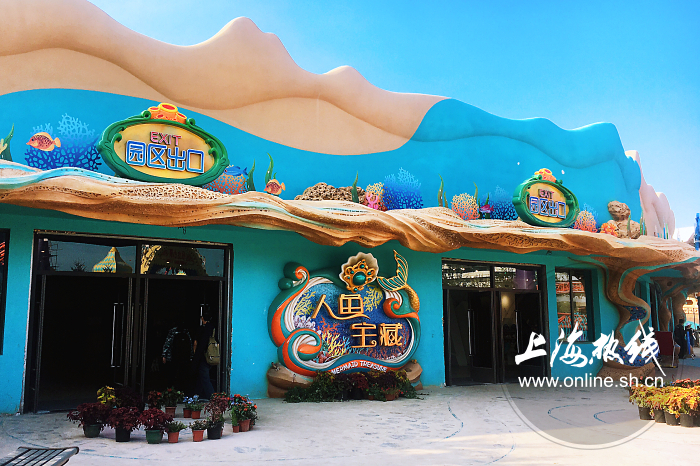 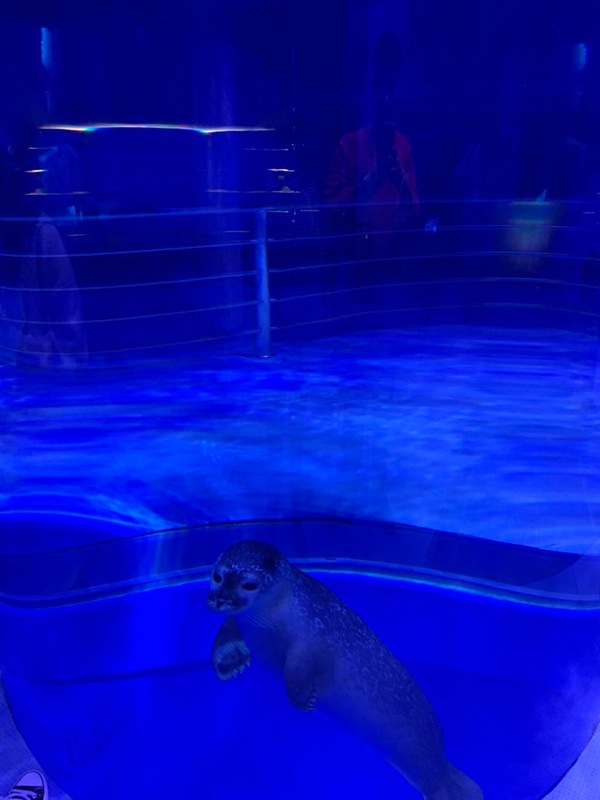 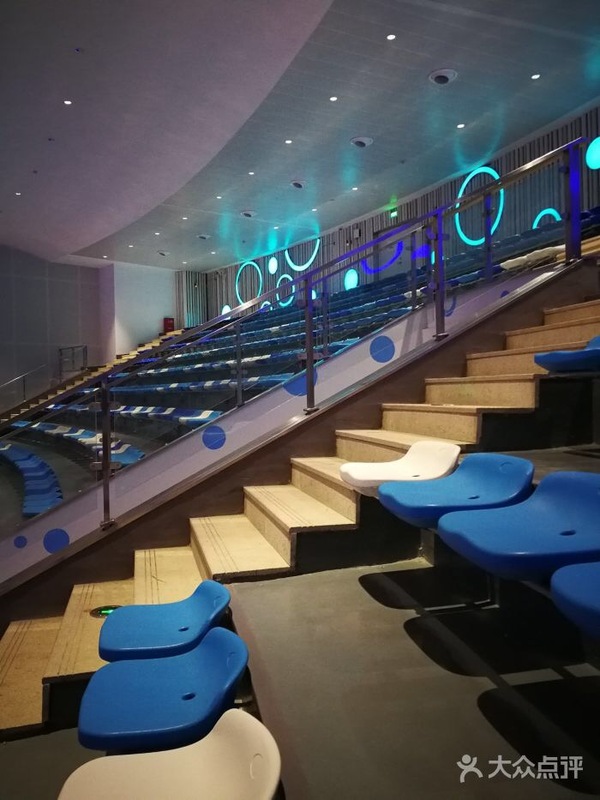 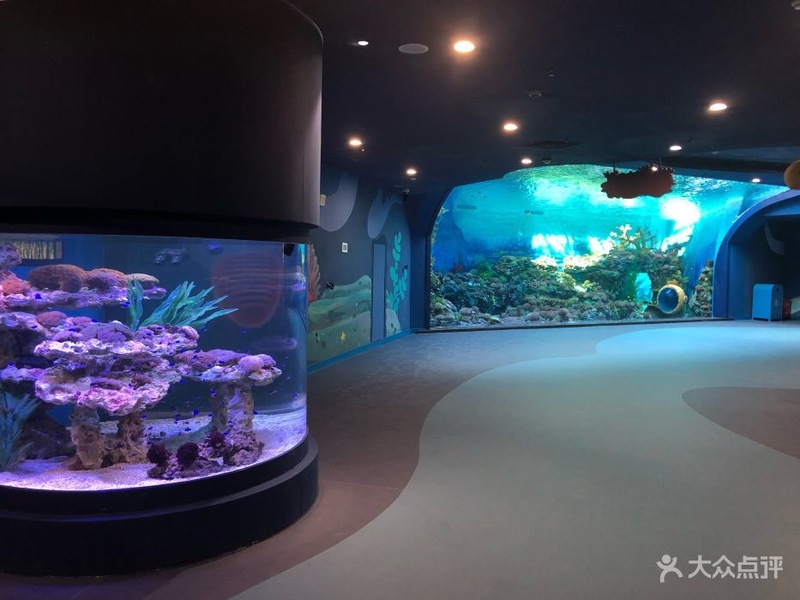 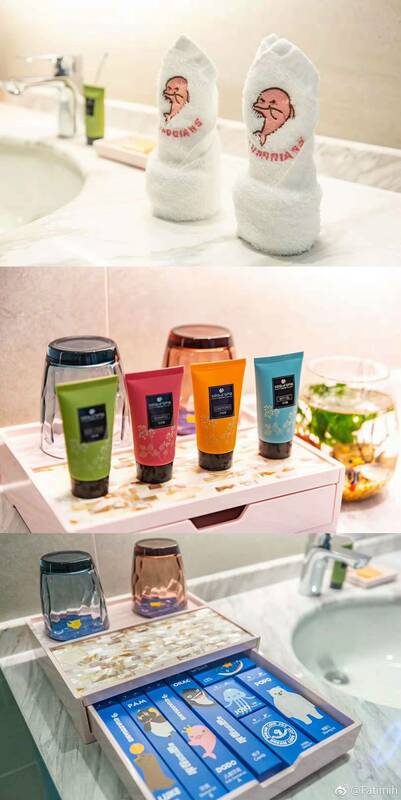 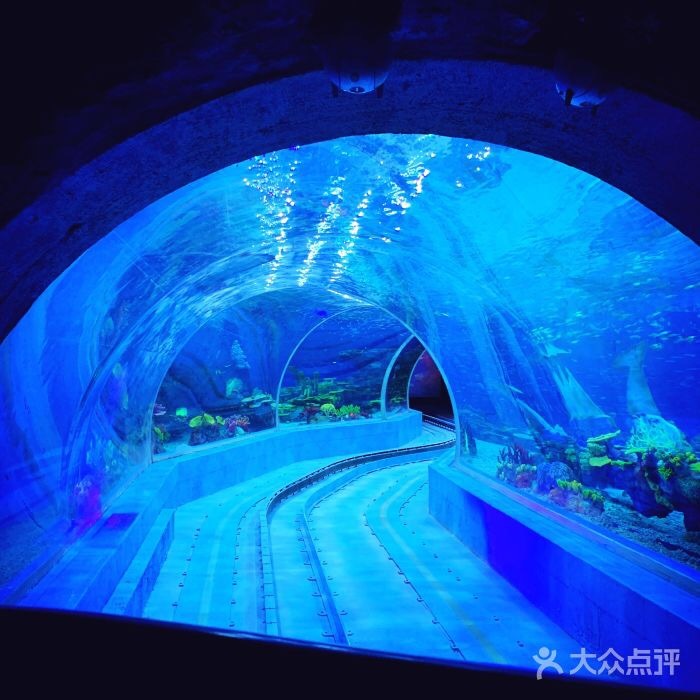 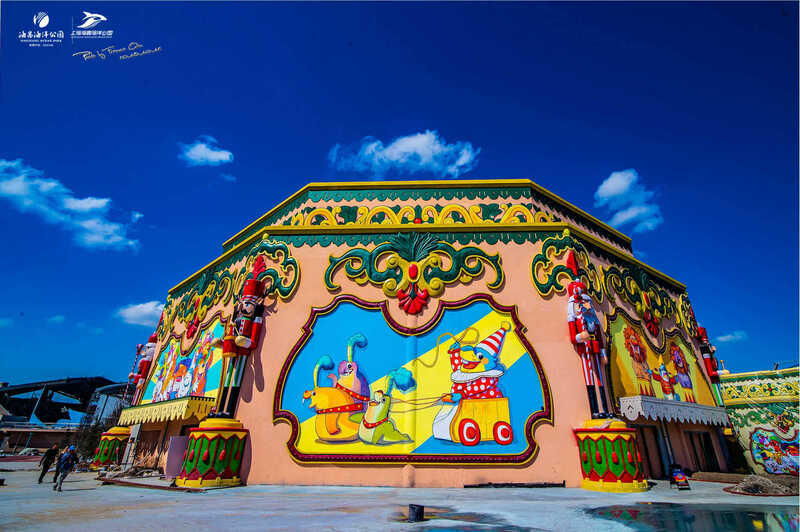 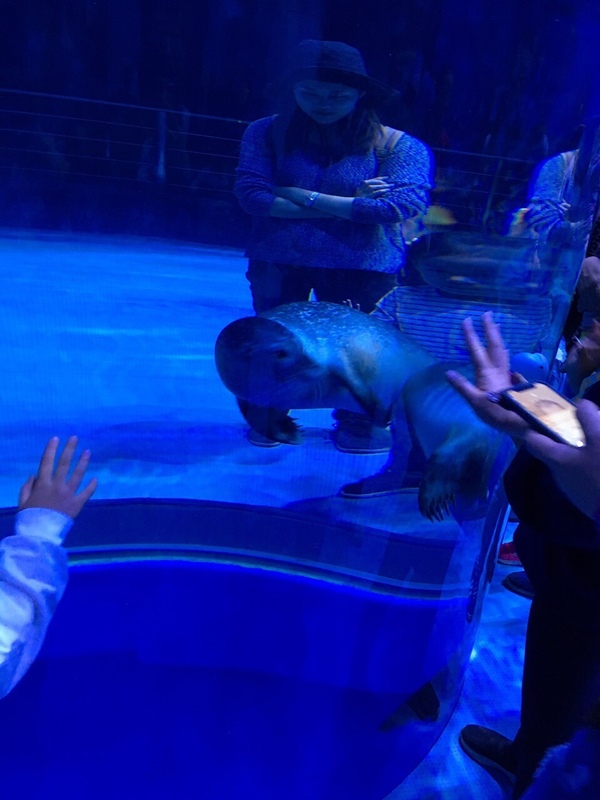 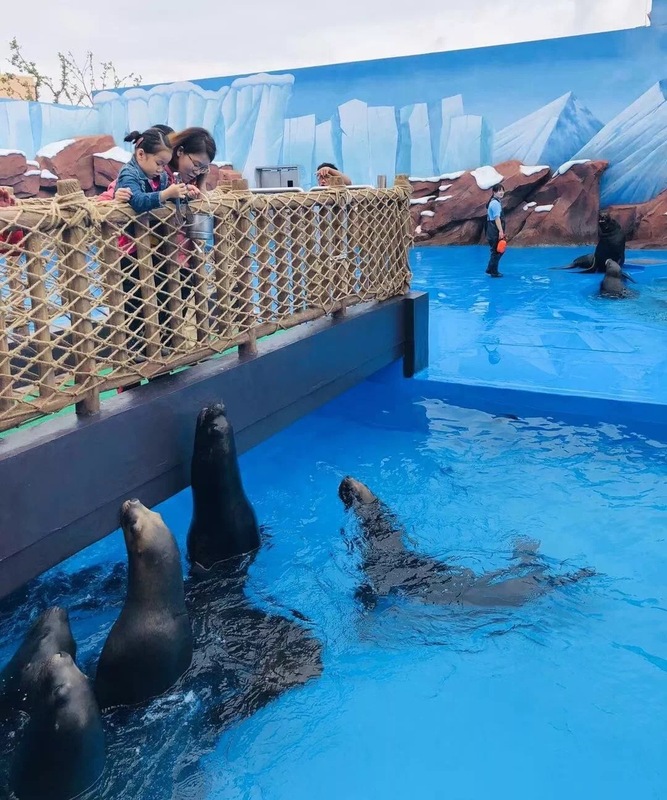 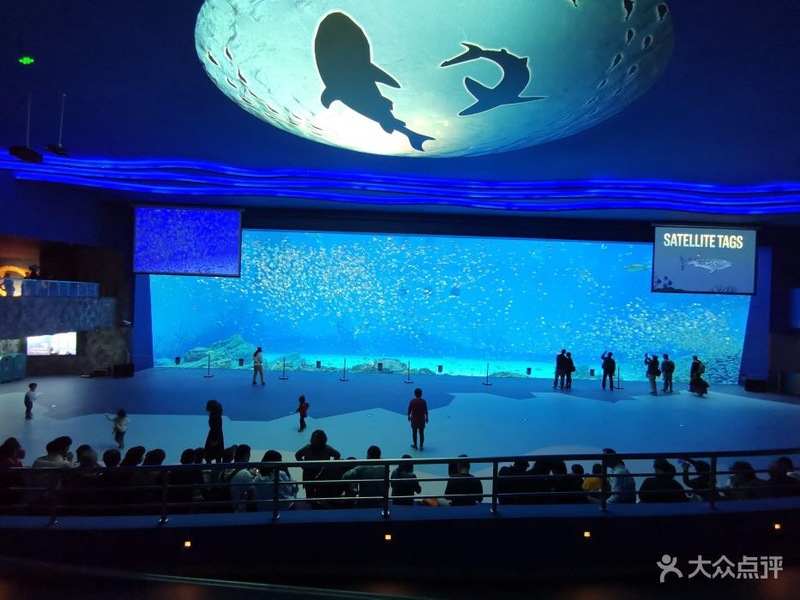 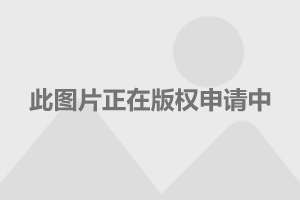 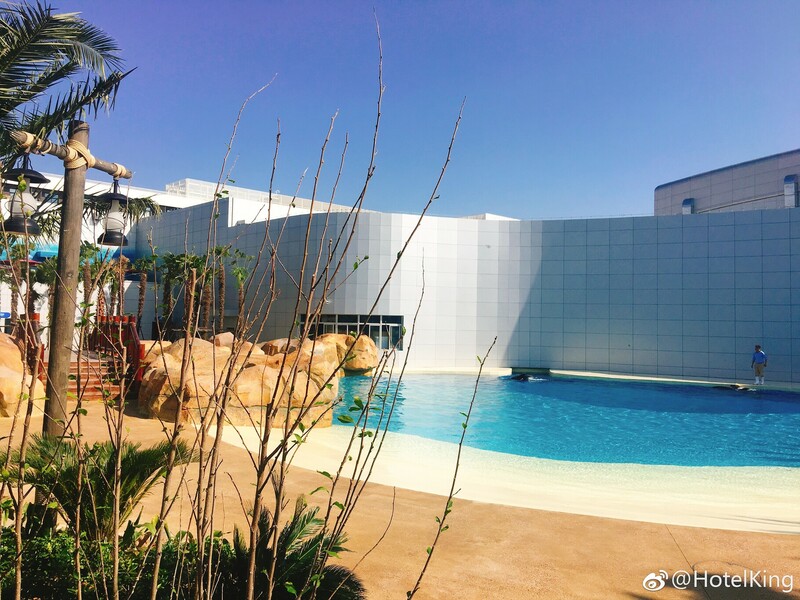 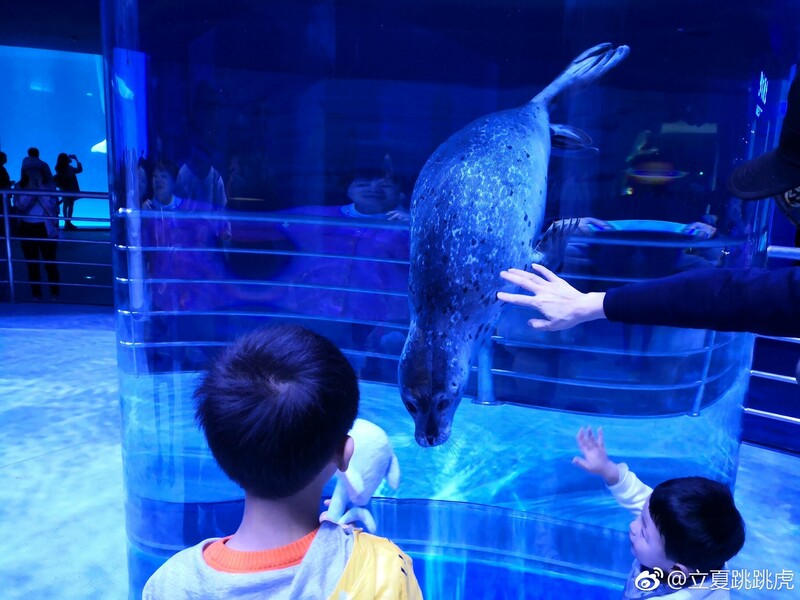 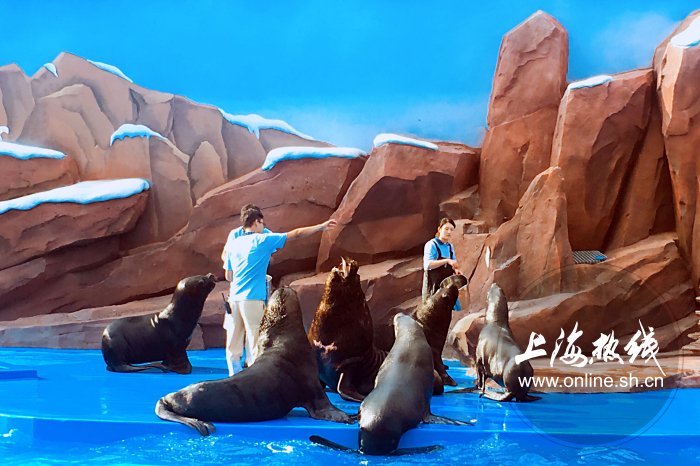 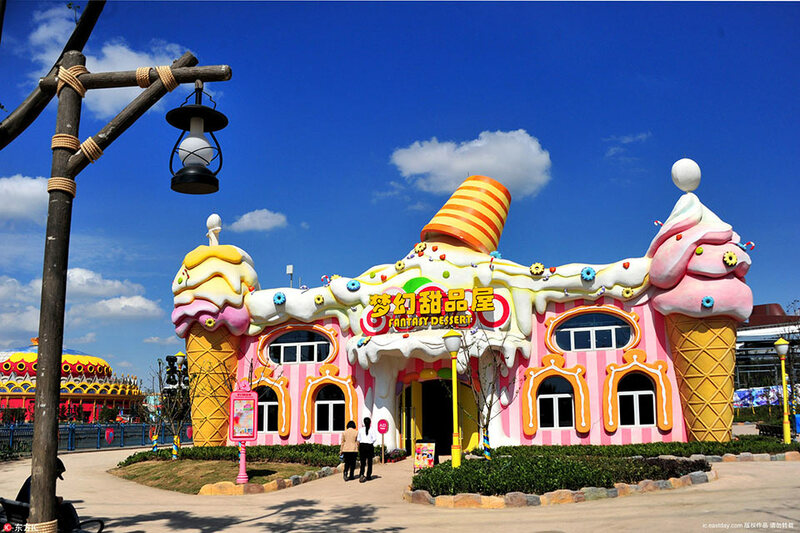 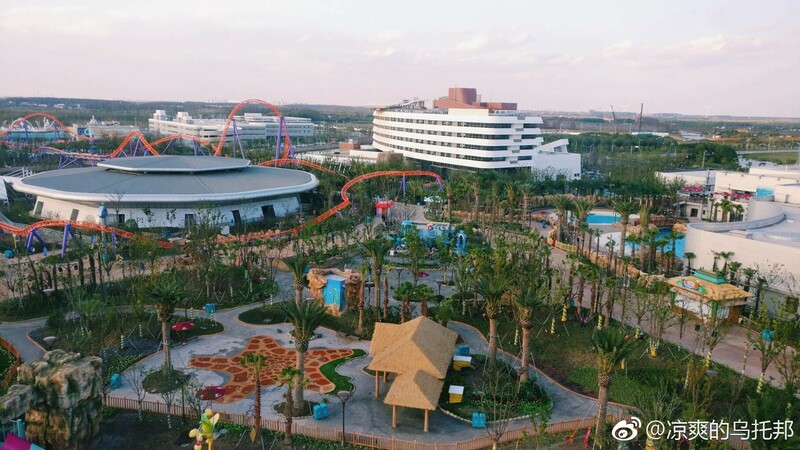 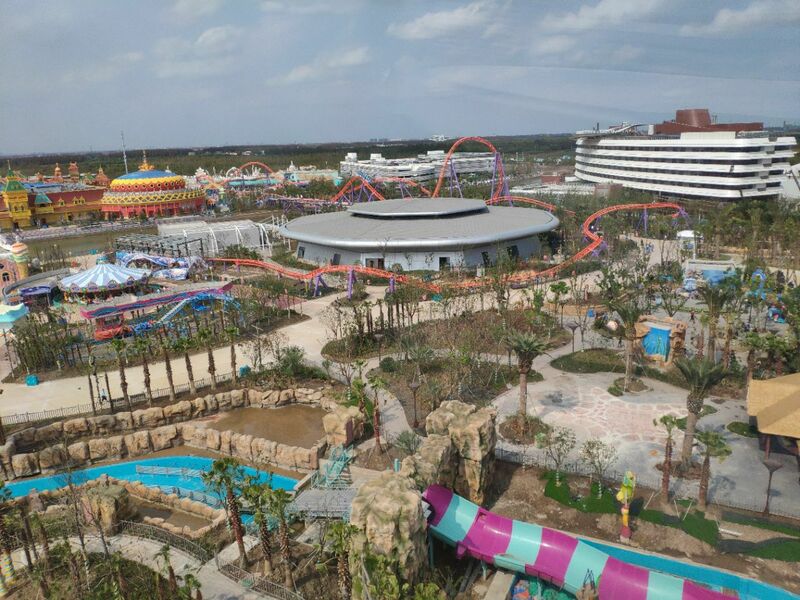 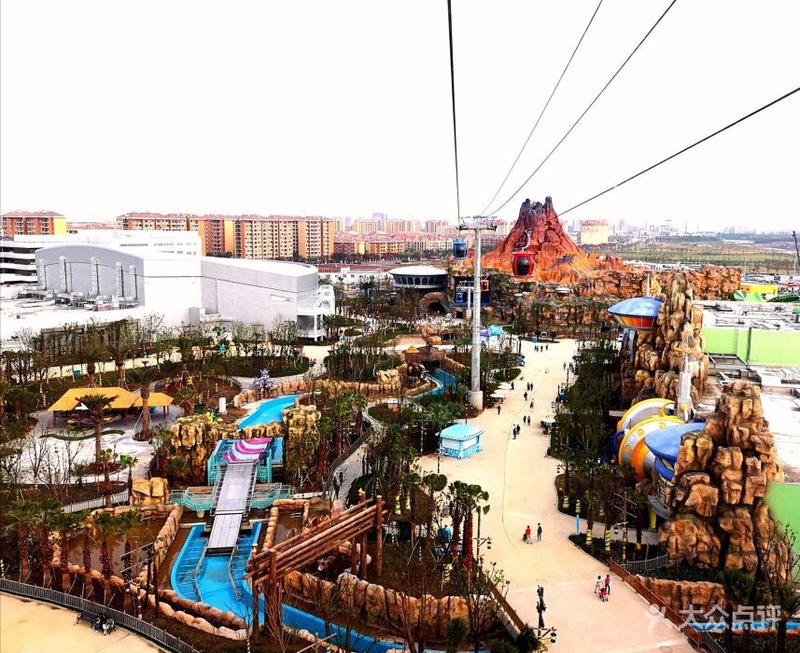 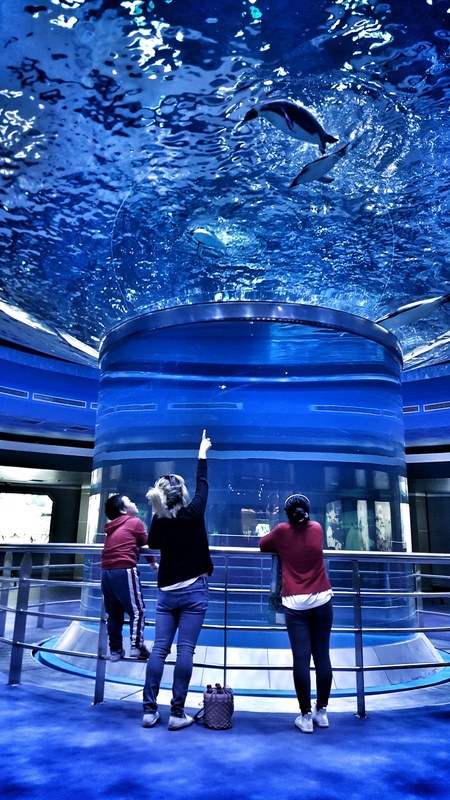 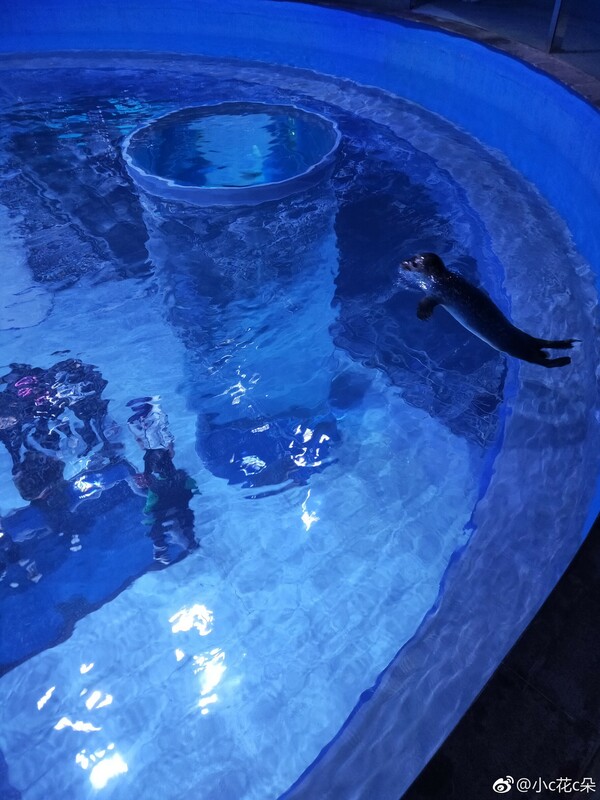 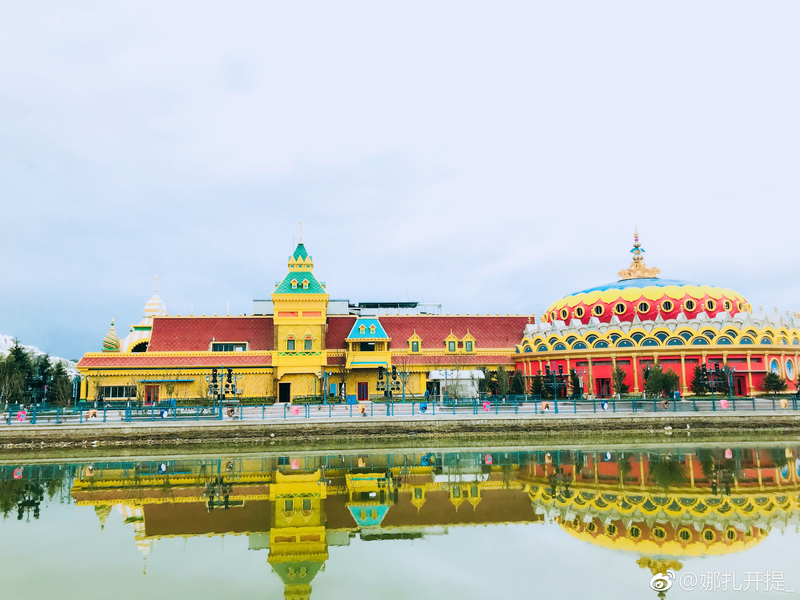 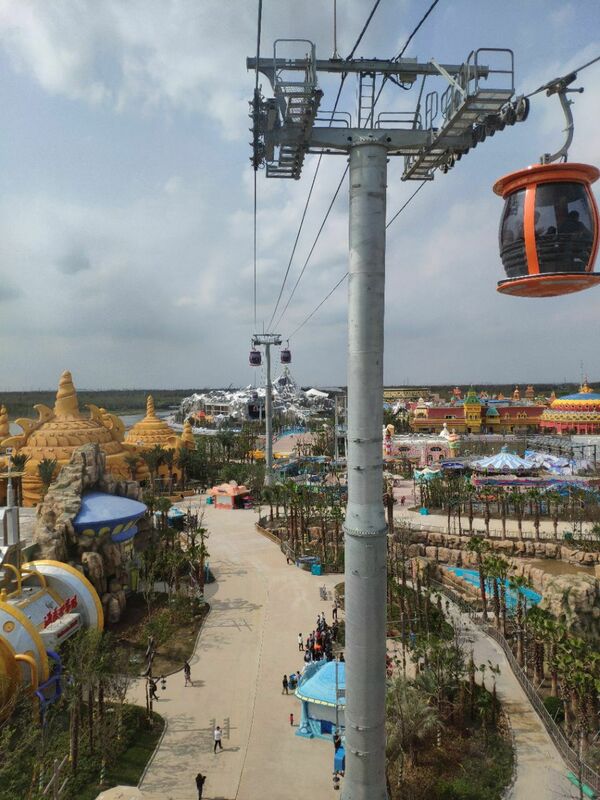 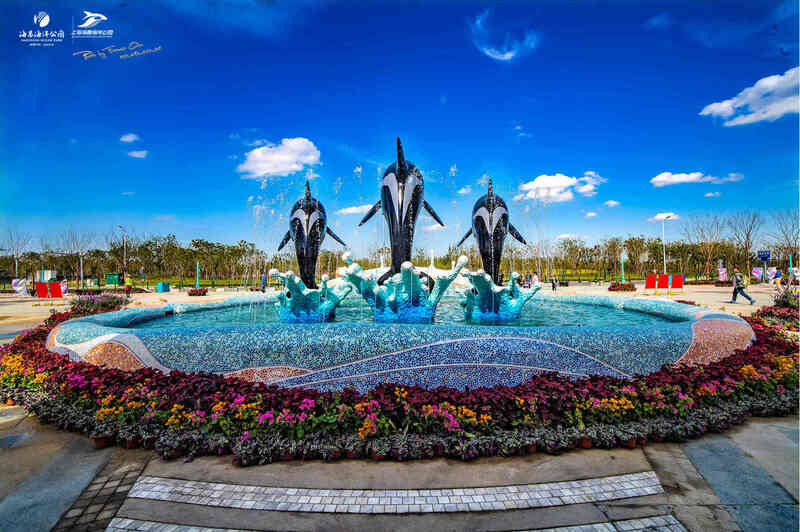 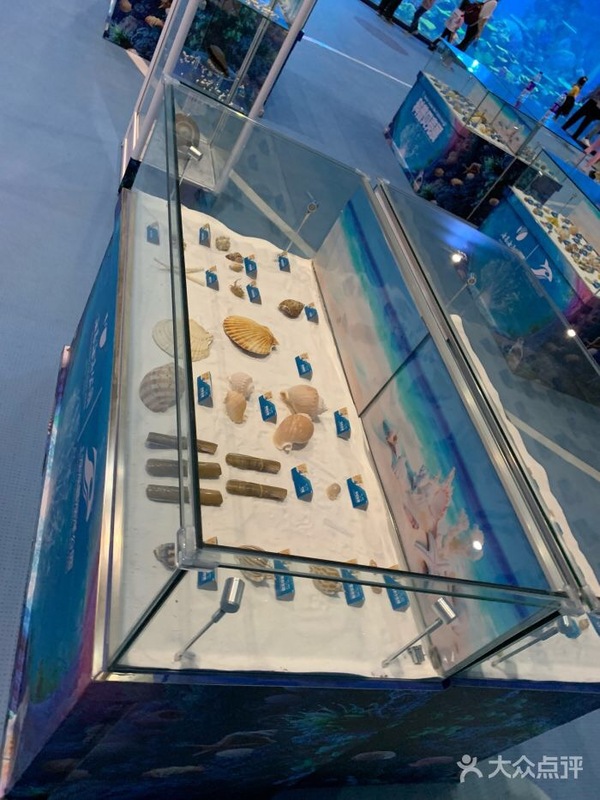 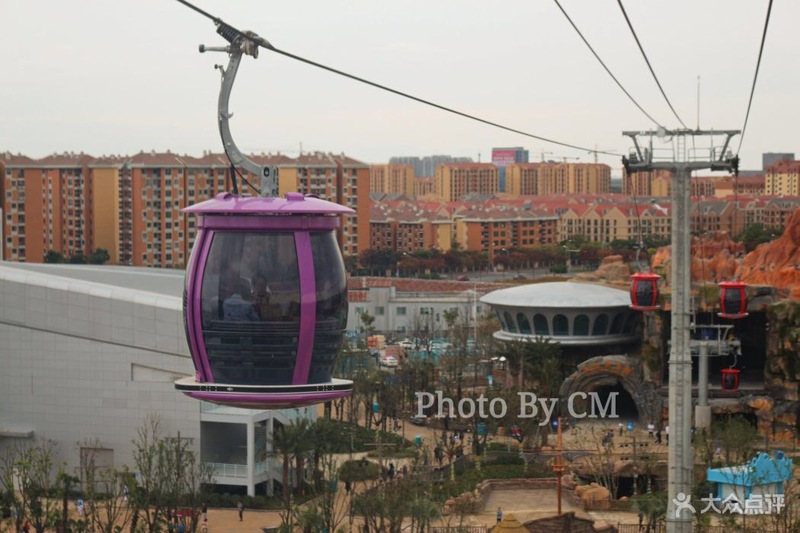 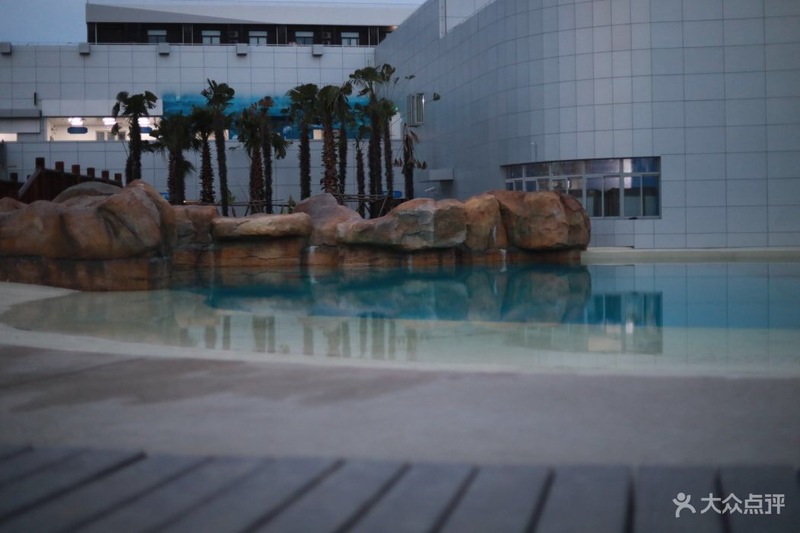 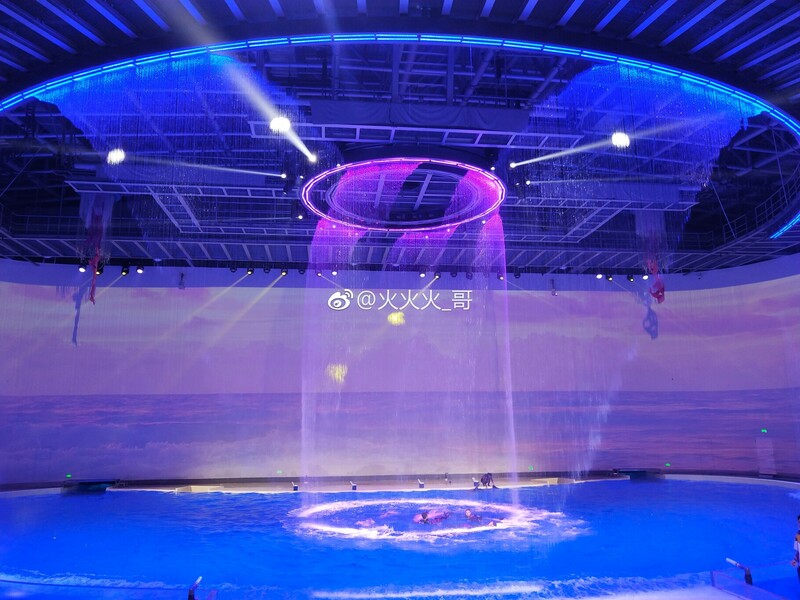 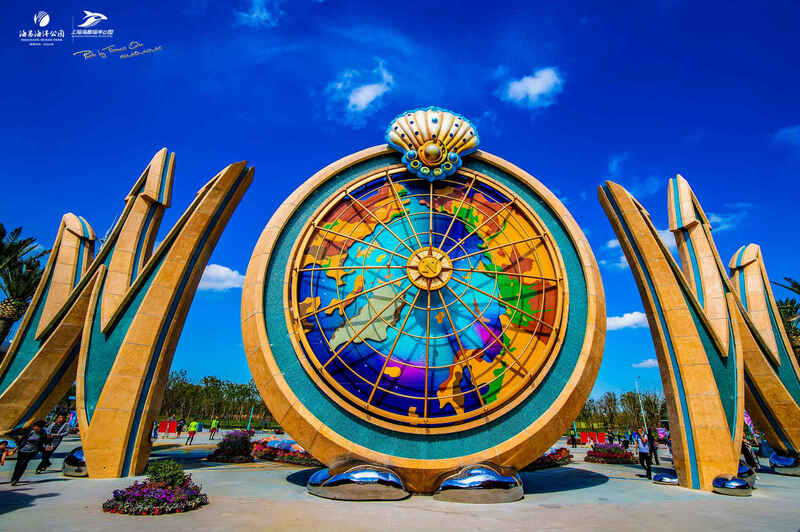 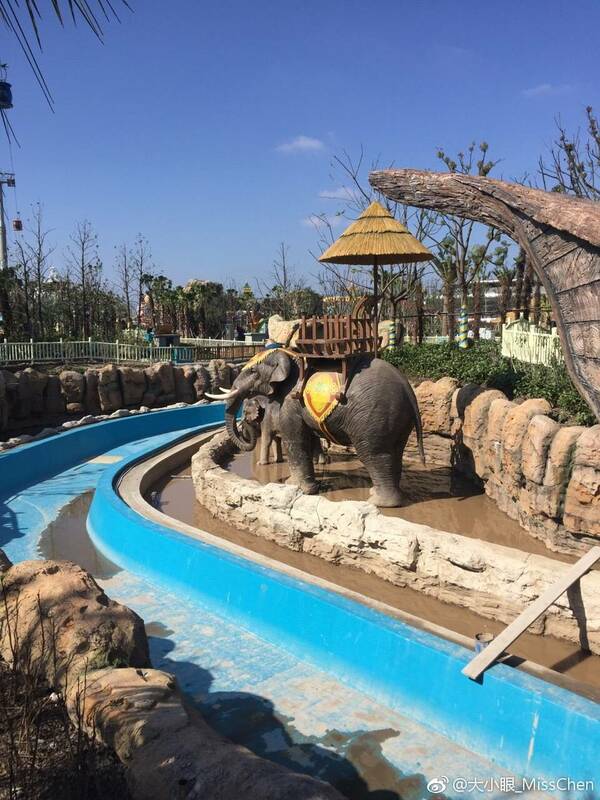 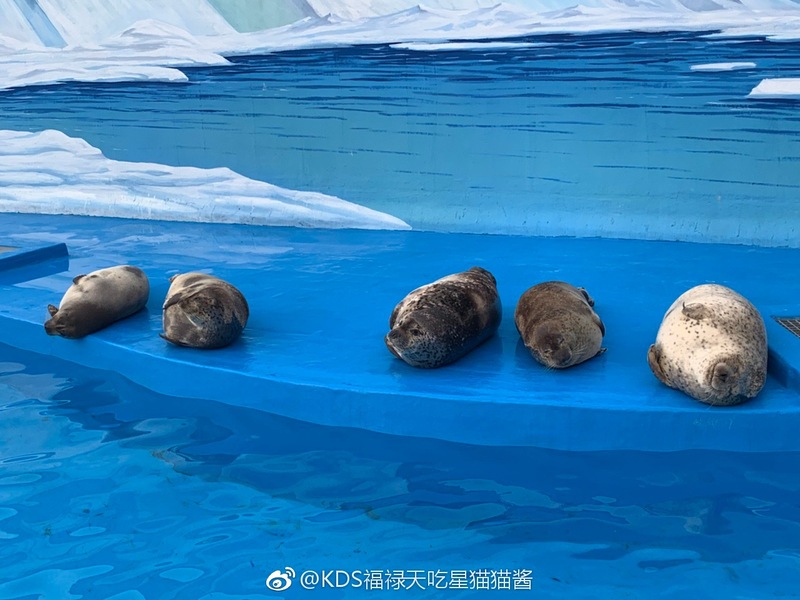 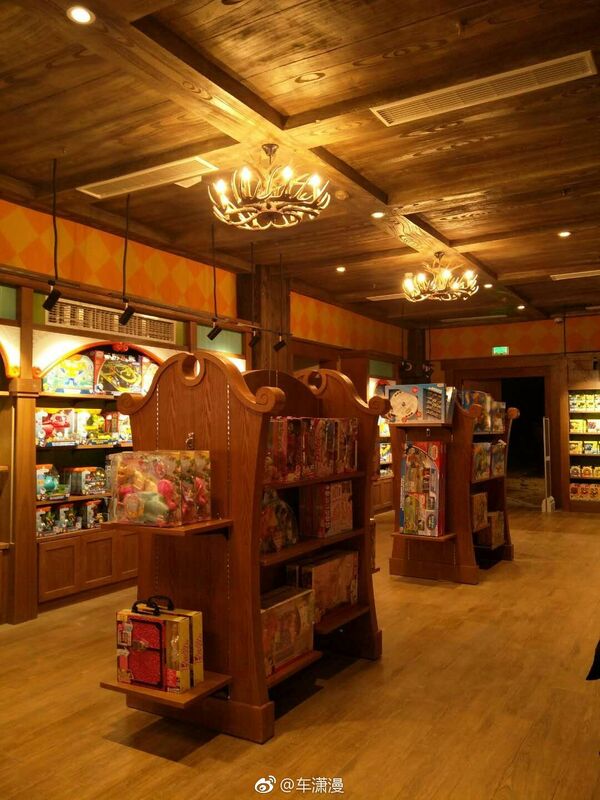 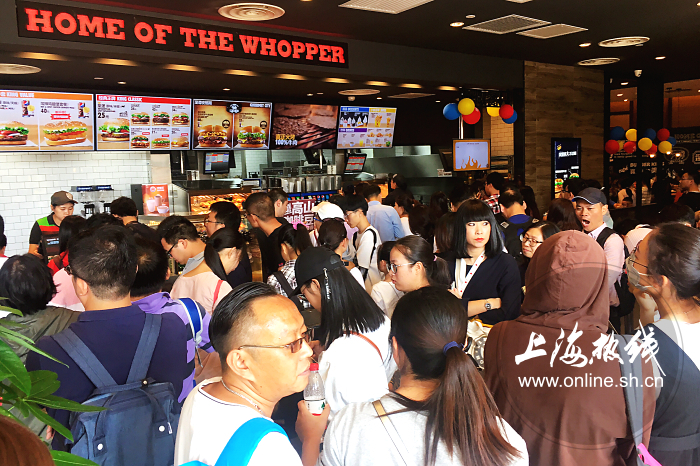 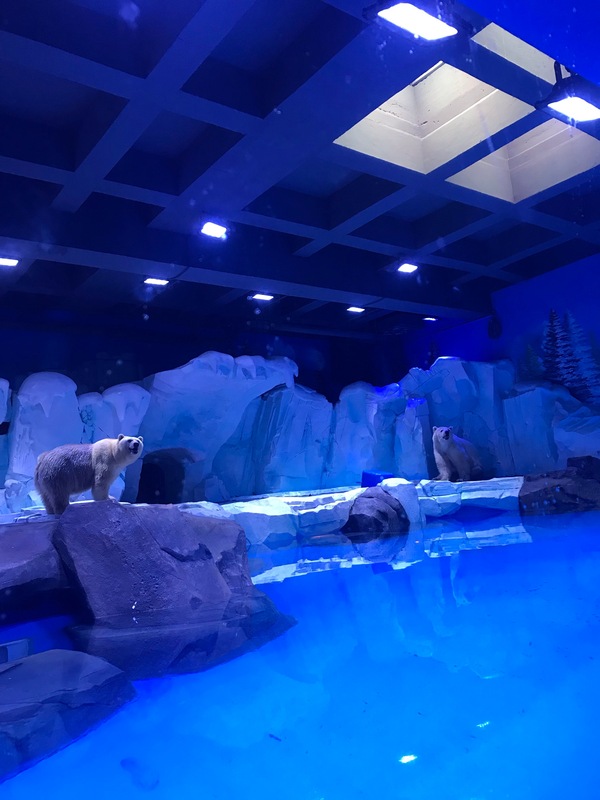 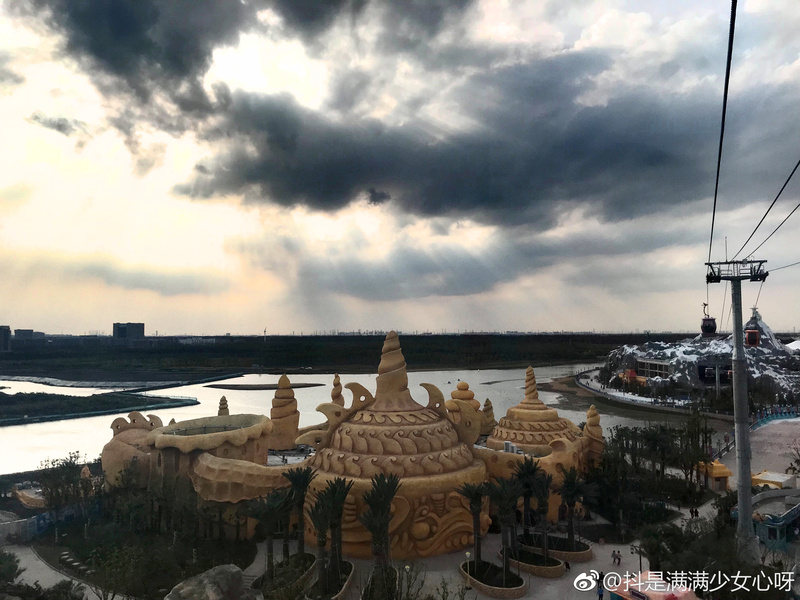 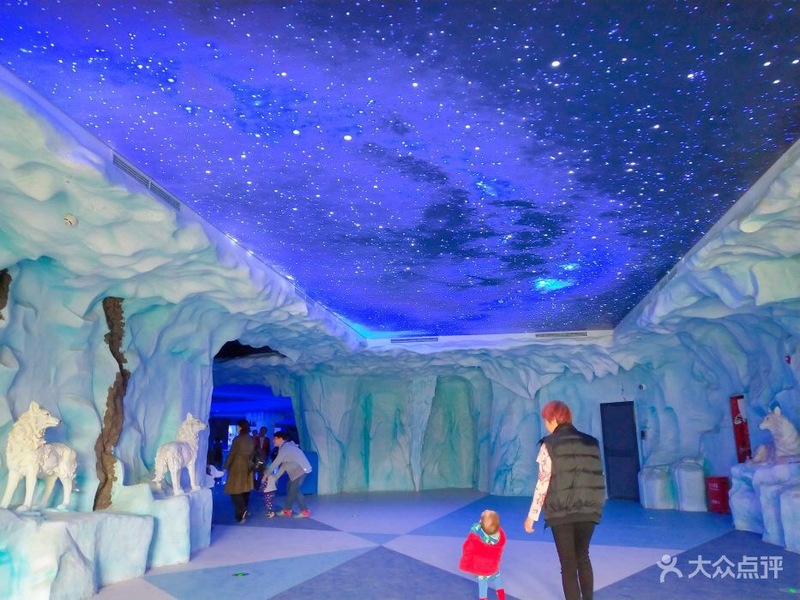 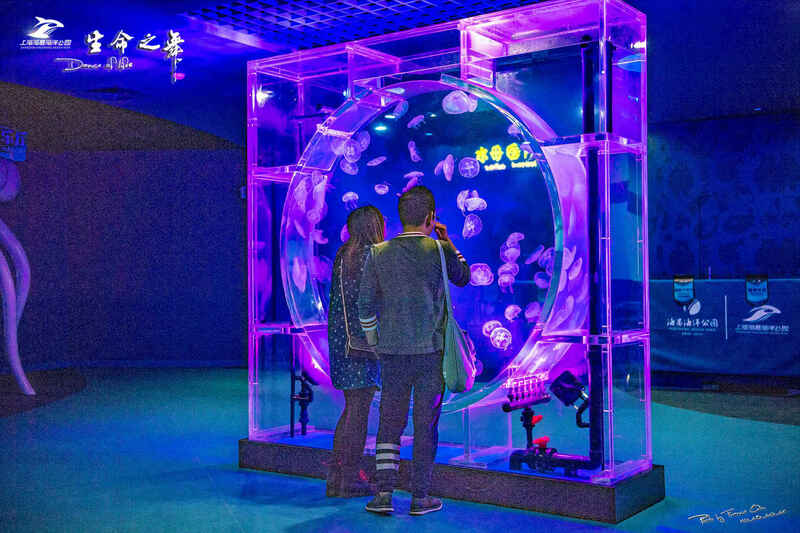 Shanghai Haichang Ocean Park's grand opening is in less than 24 hours! 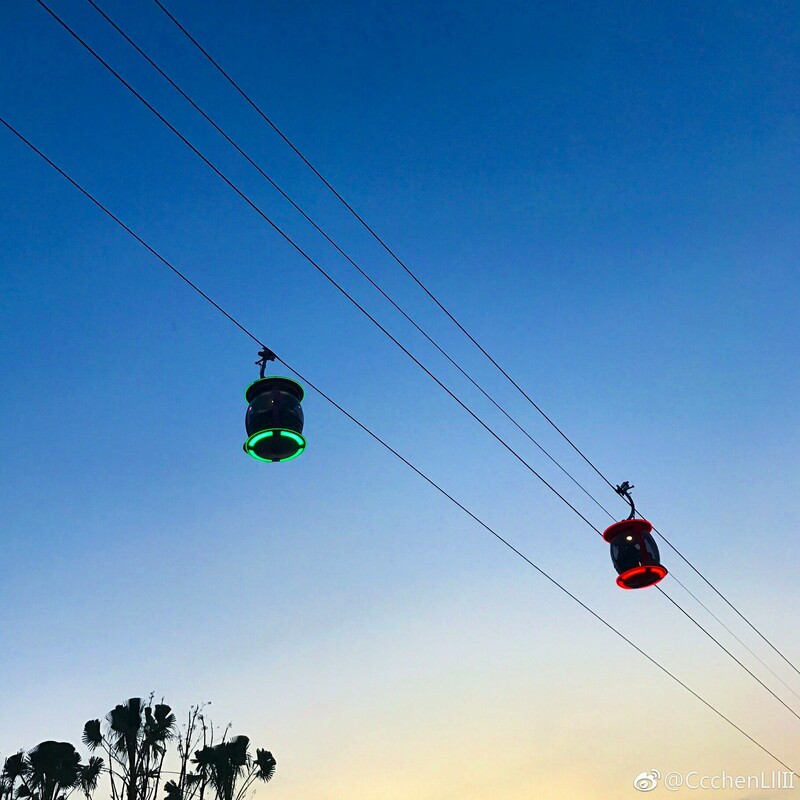 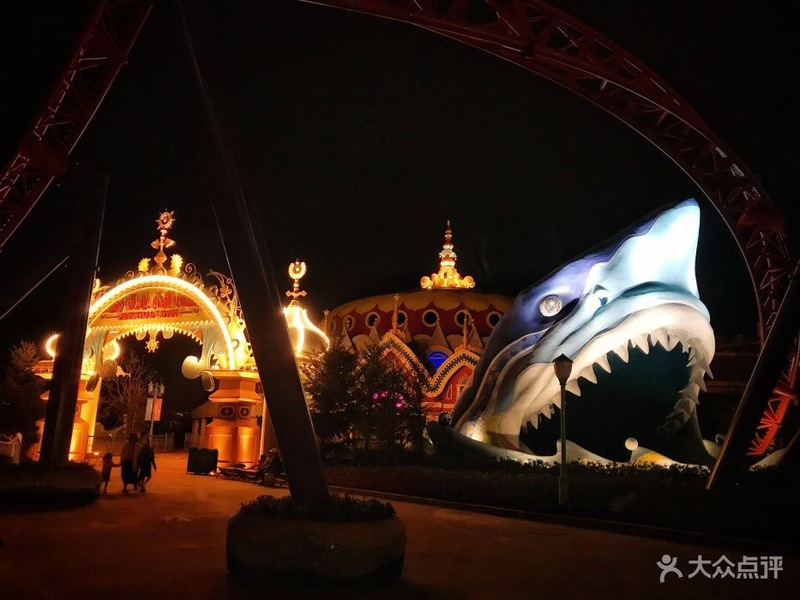 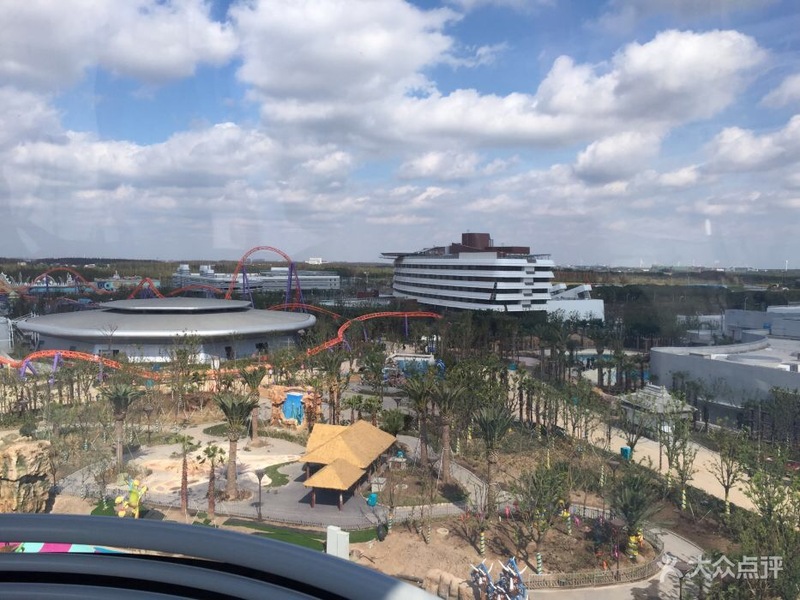 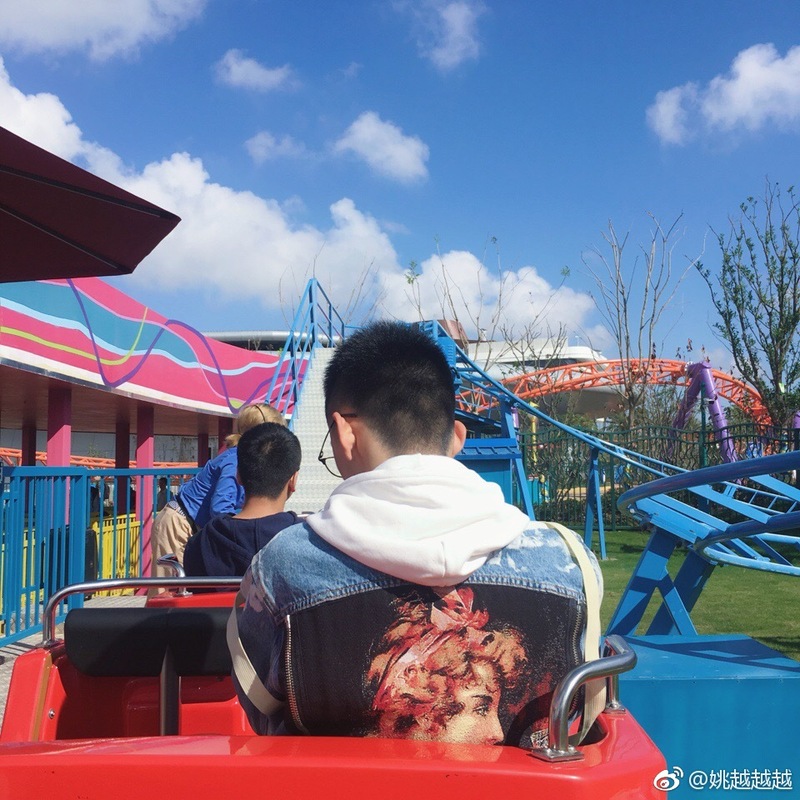 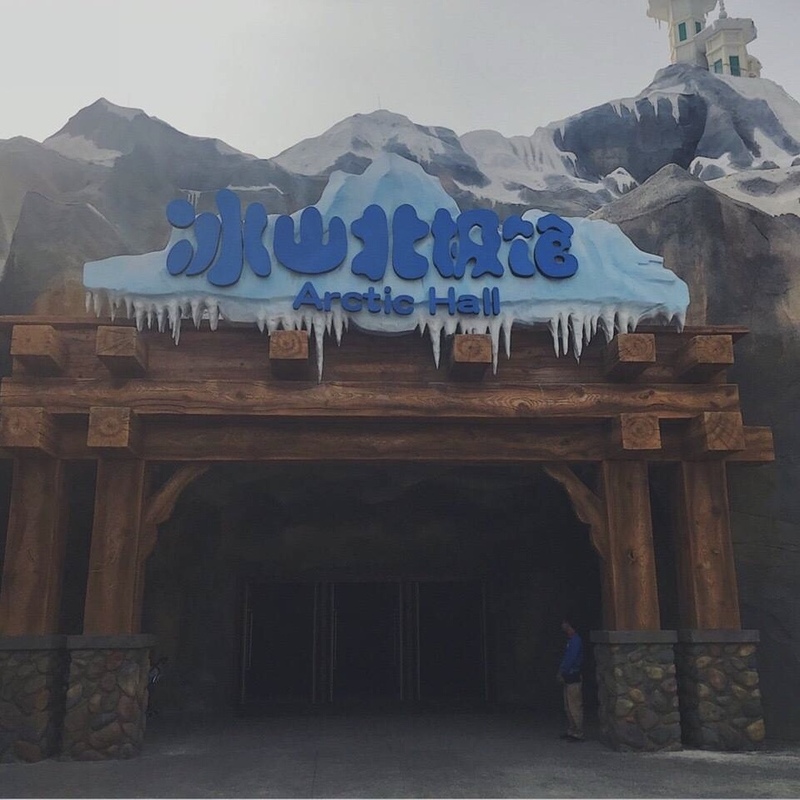 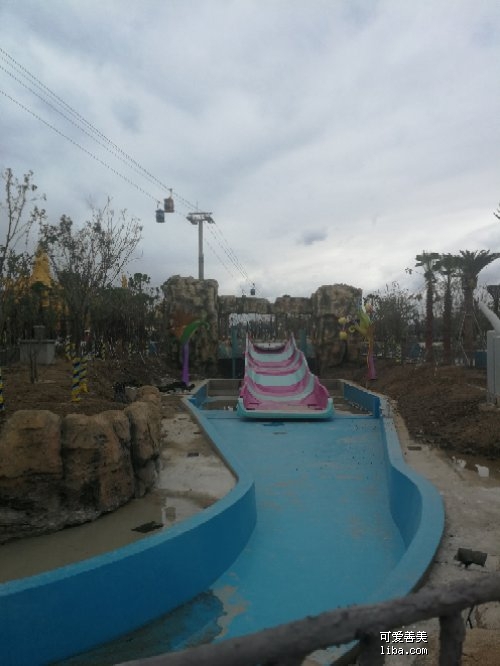 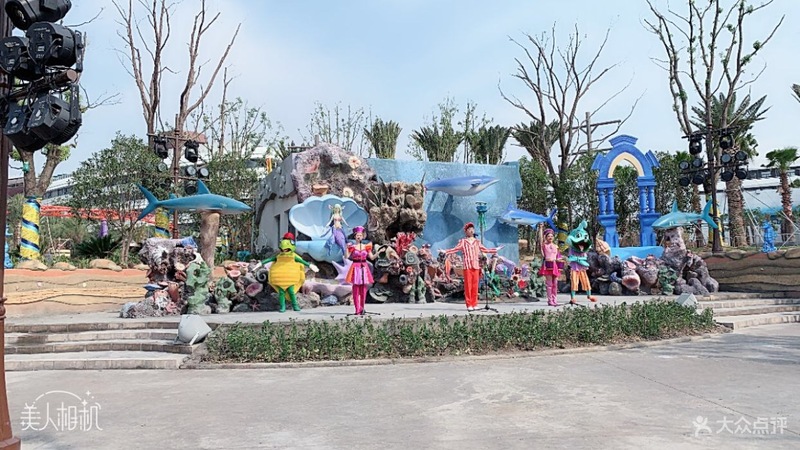 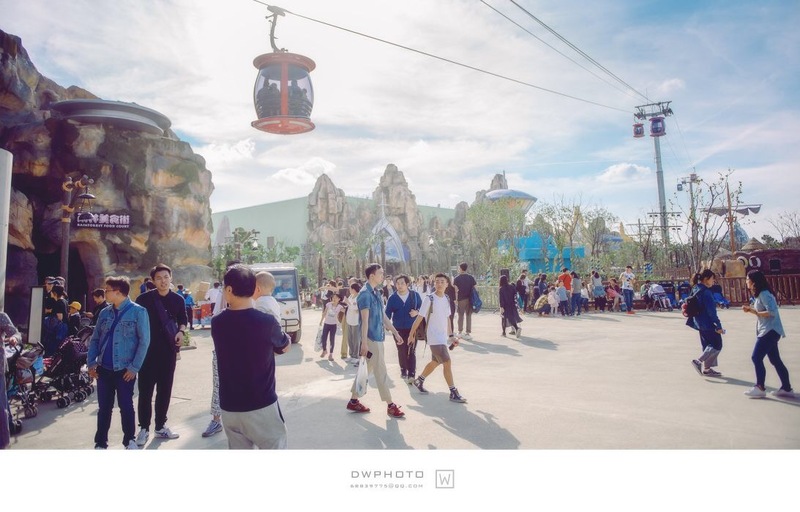 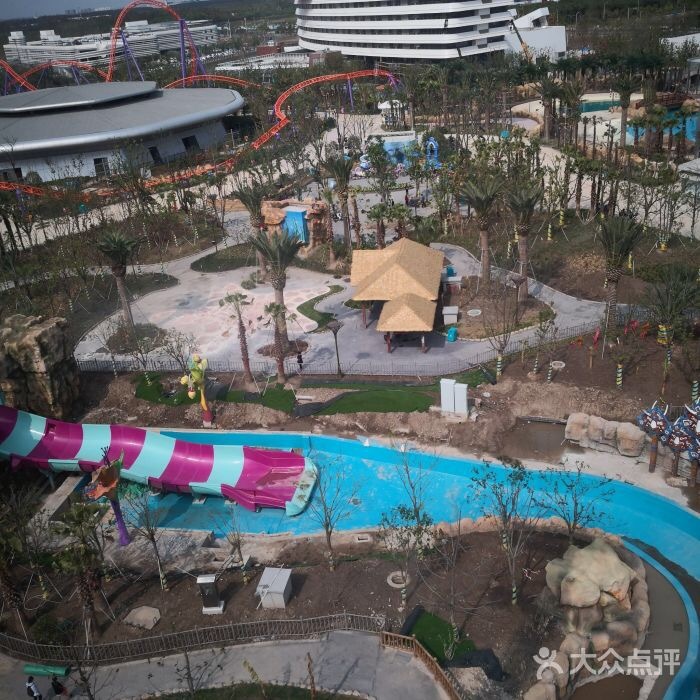 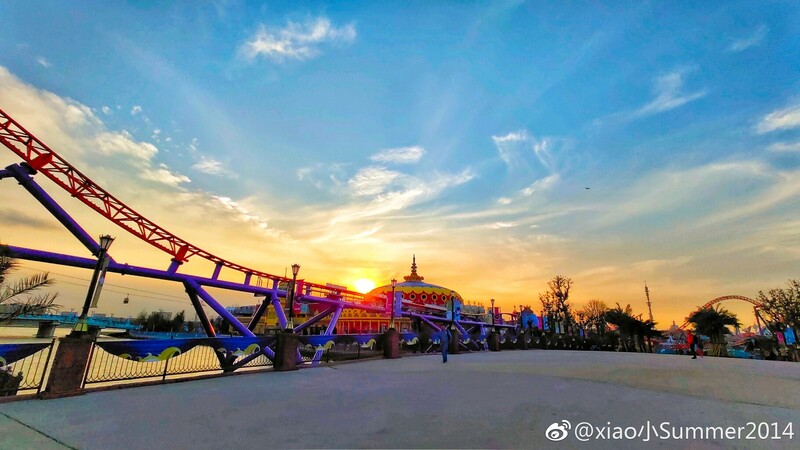 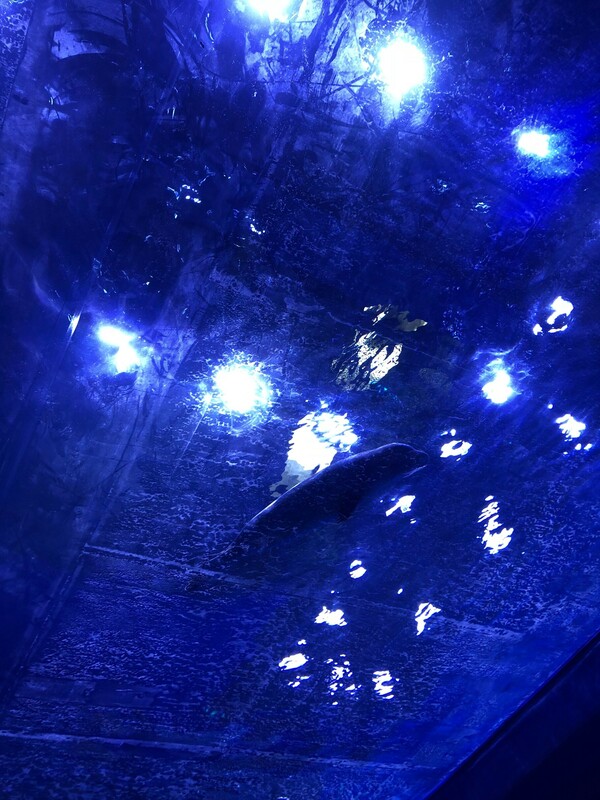 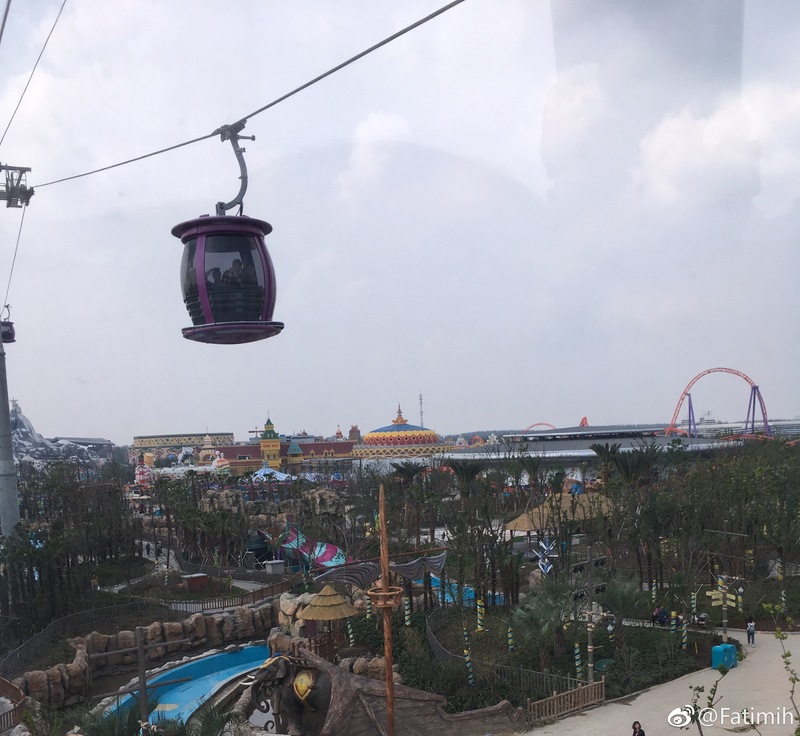 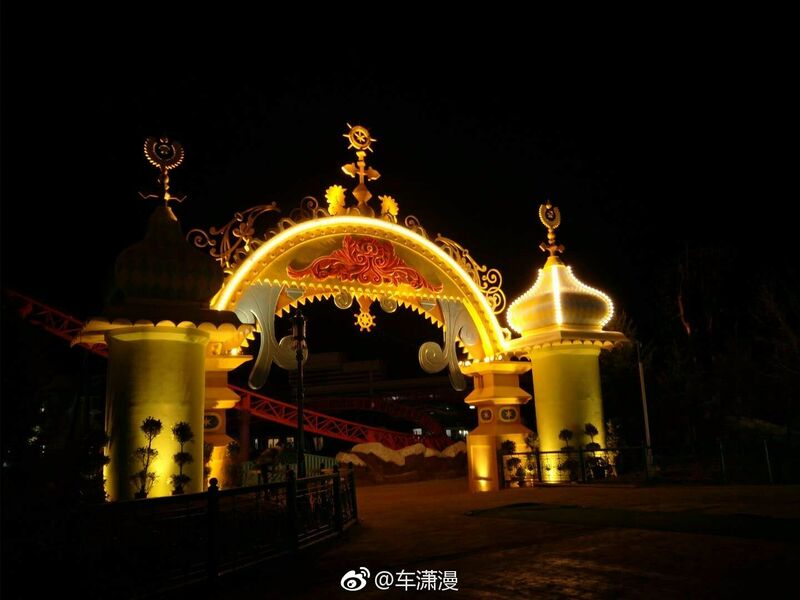 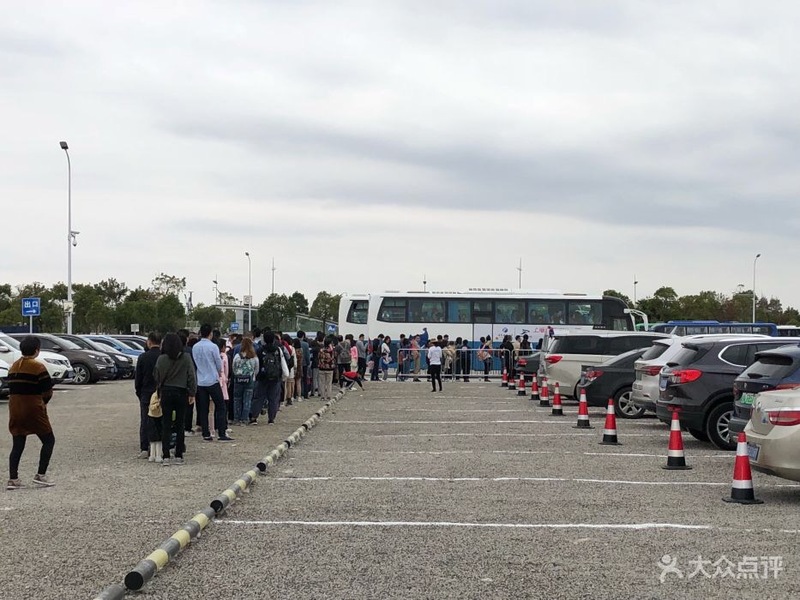 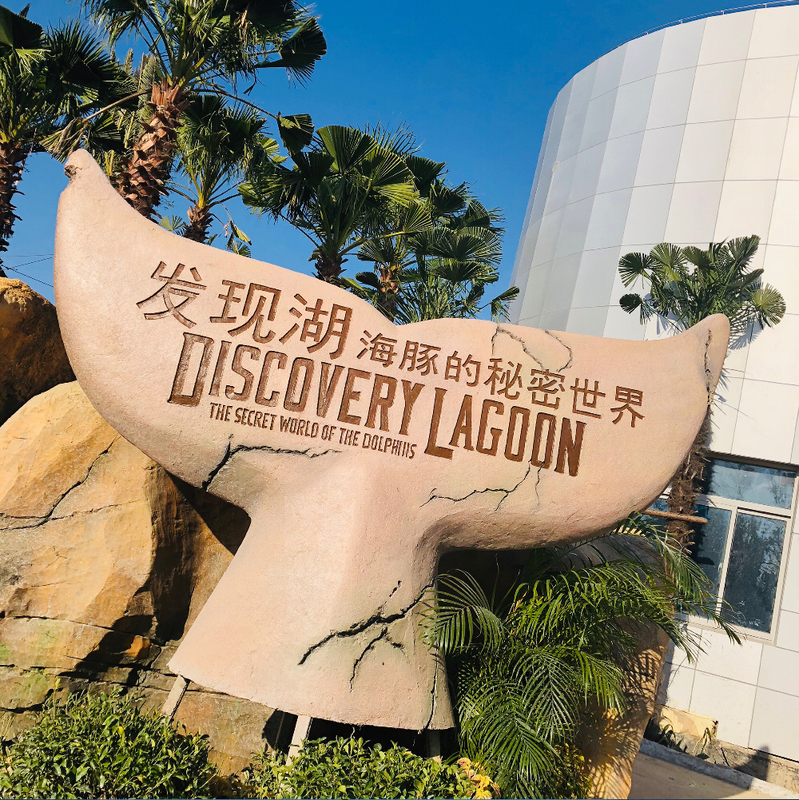 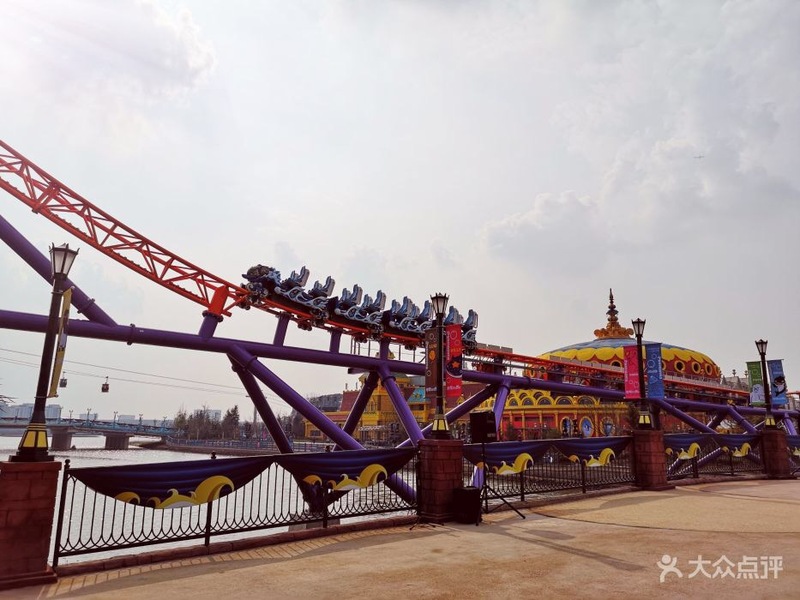 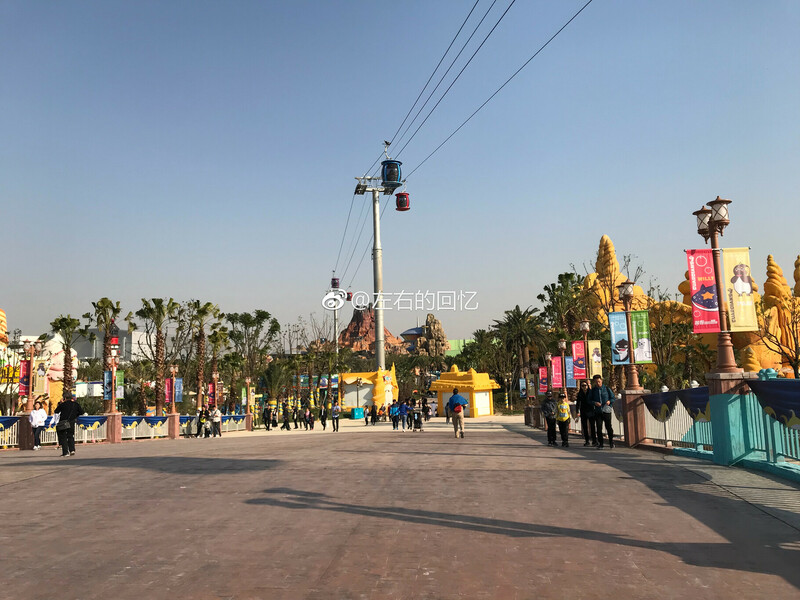 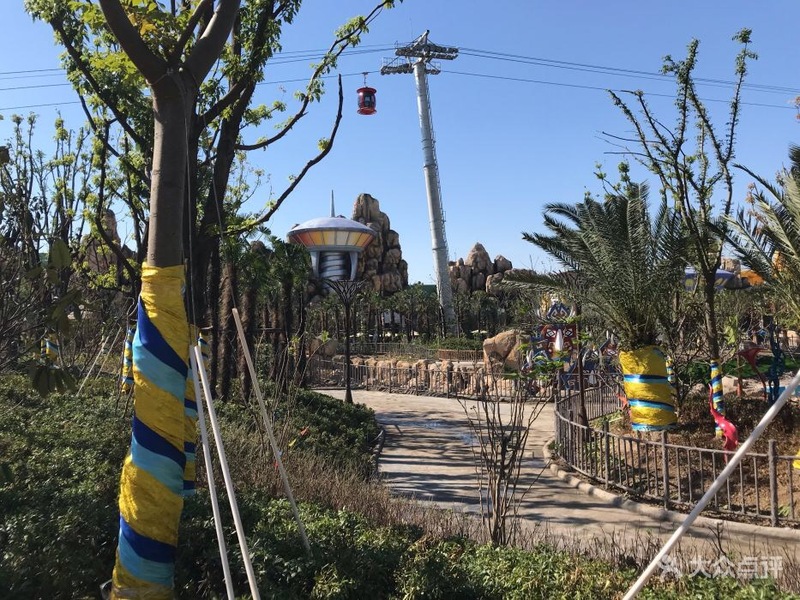 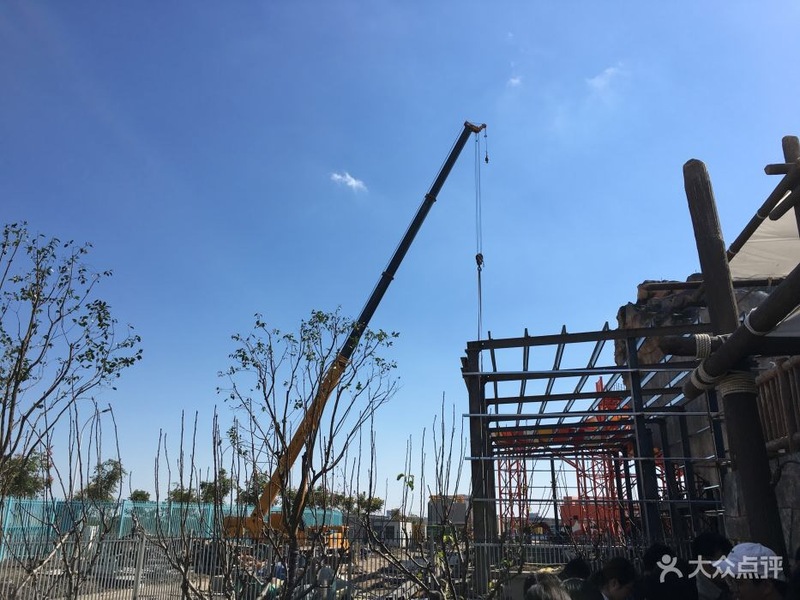 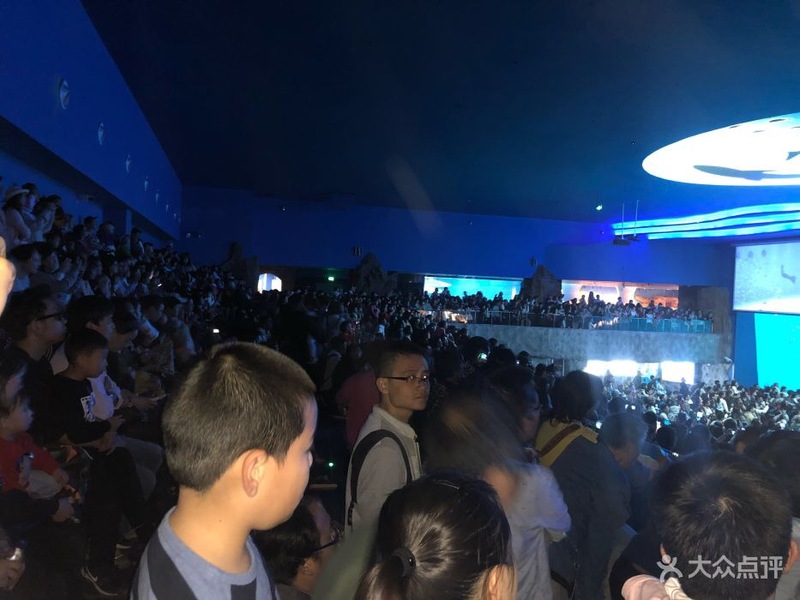 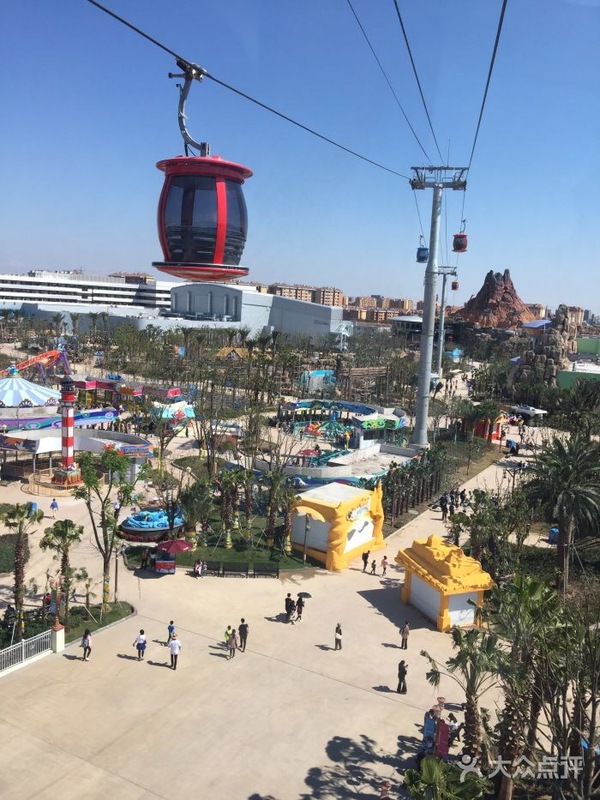 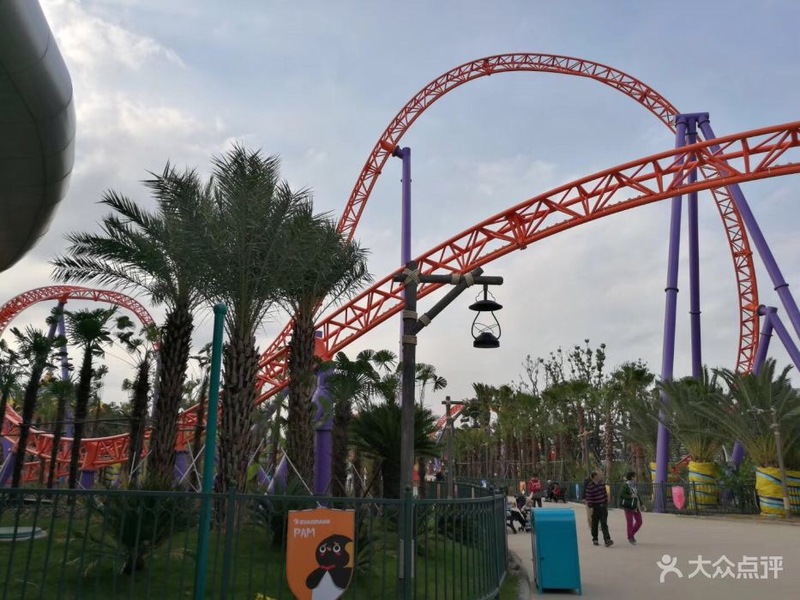 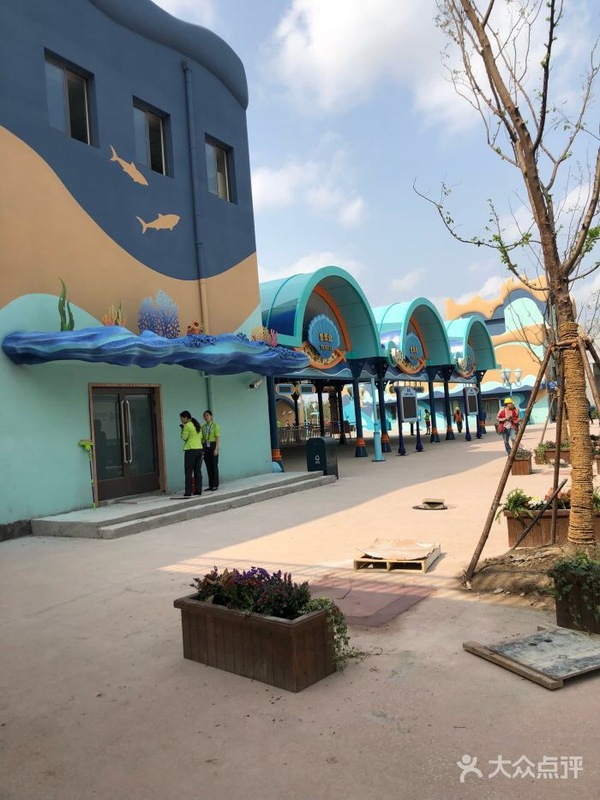 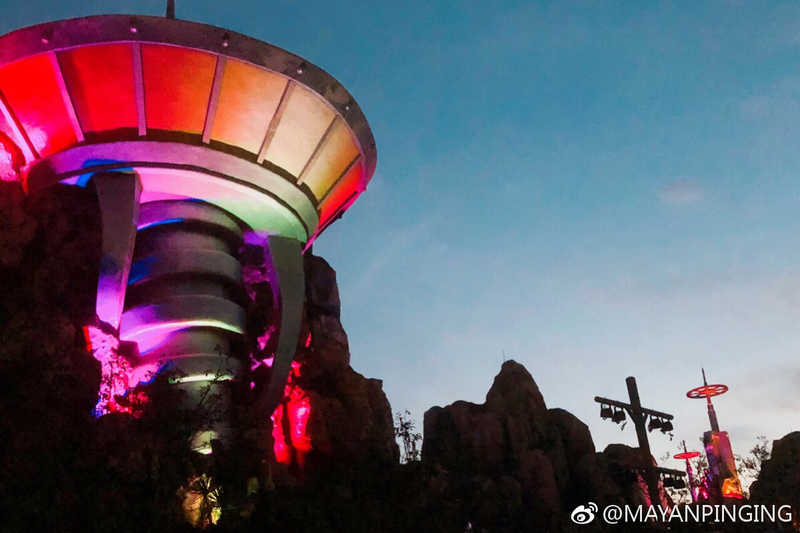 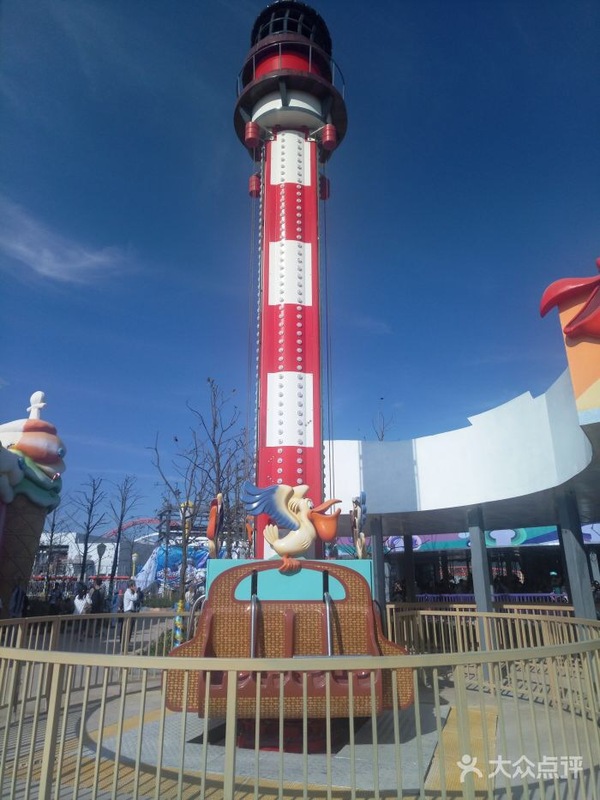 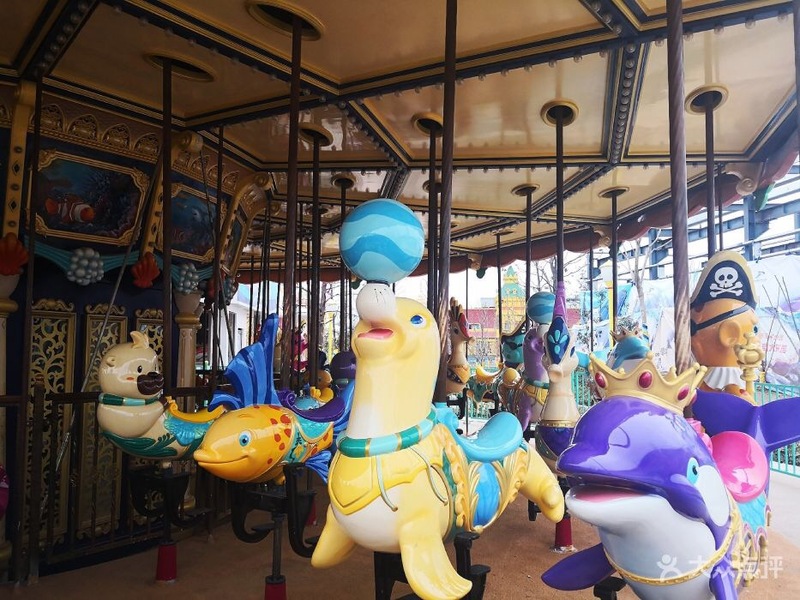 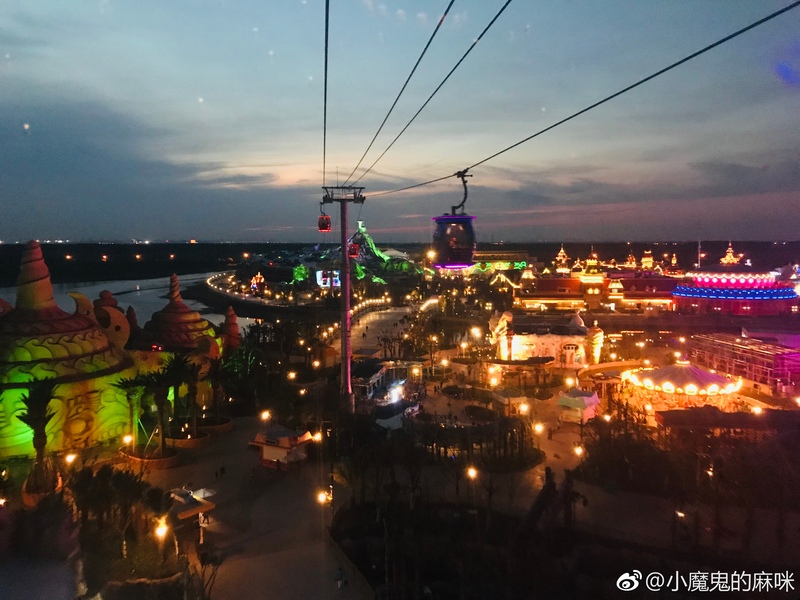 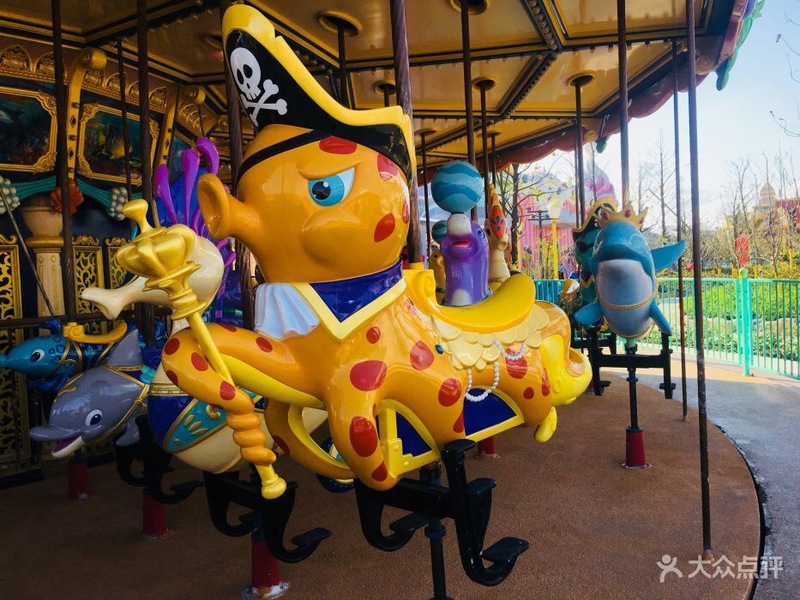 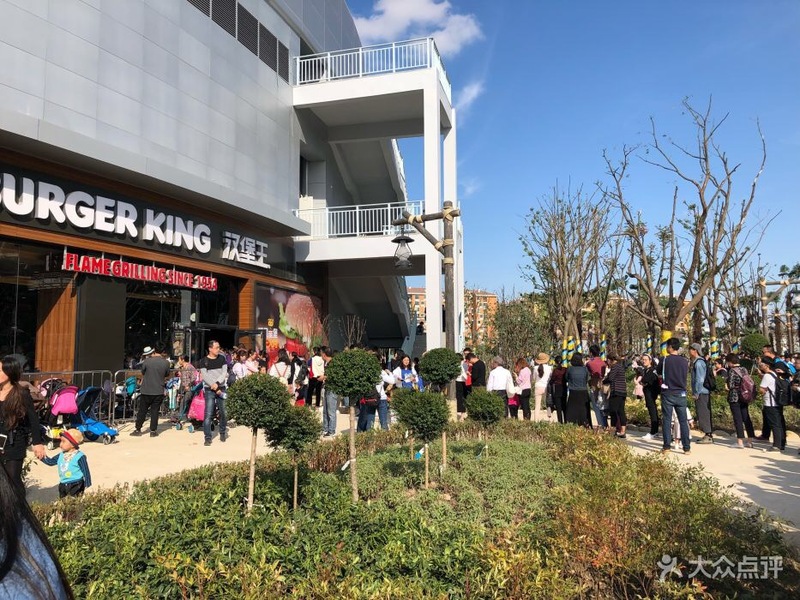 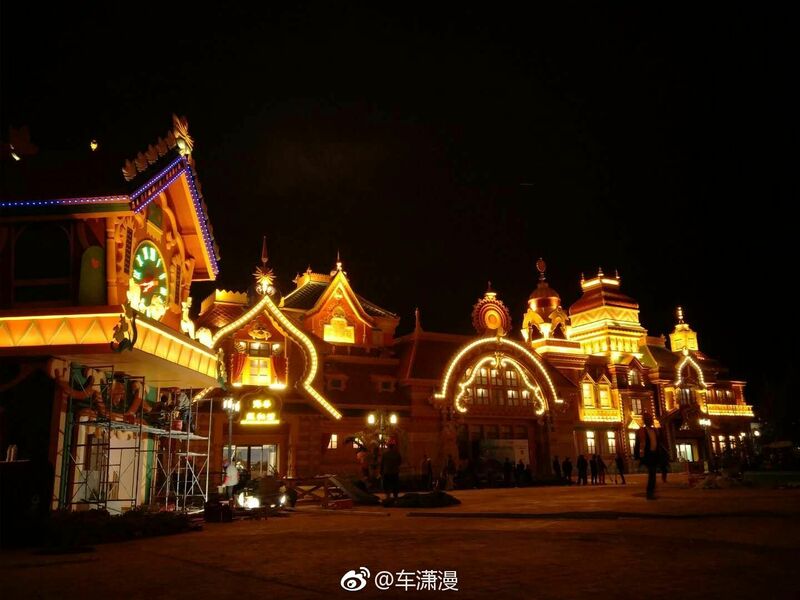 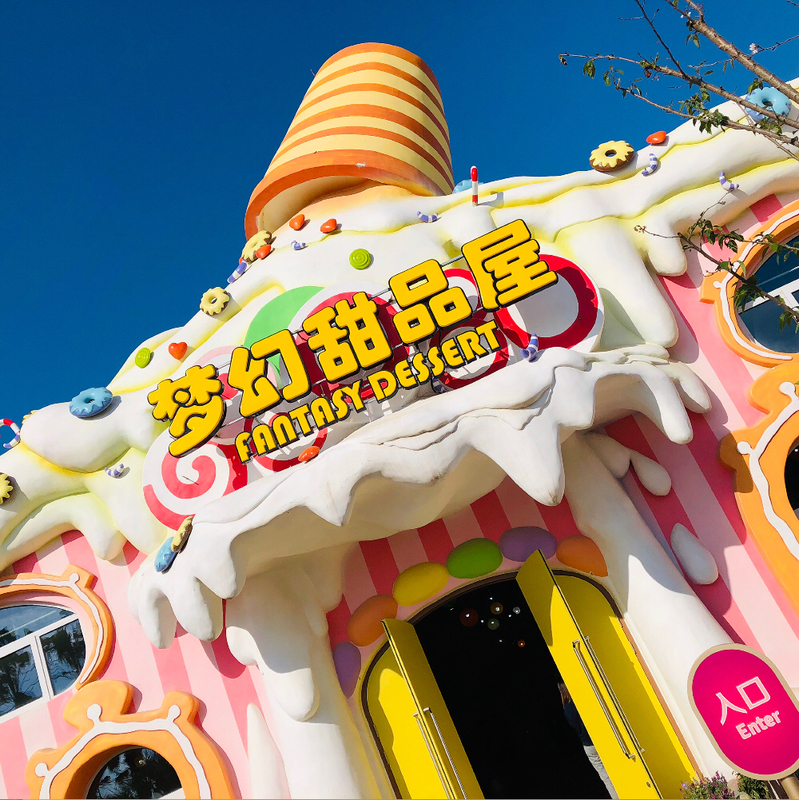 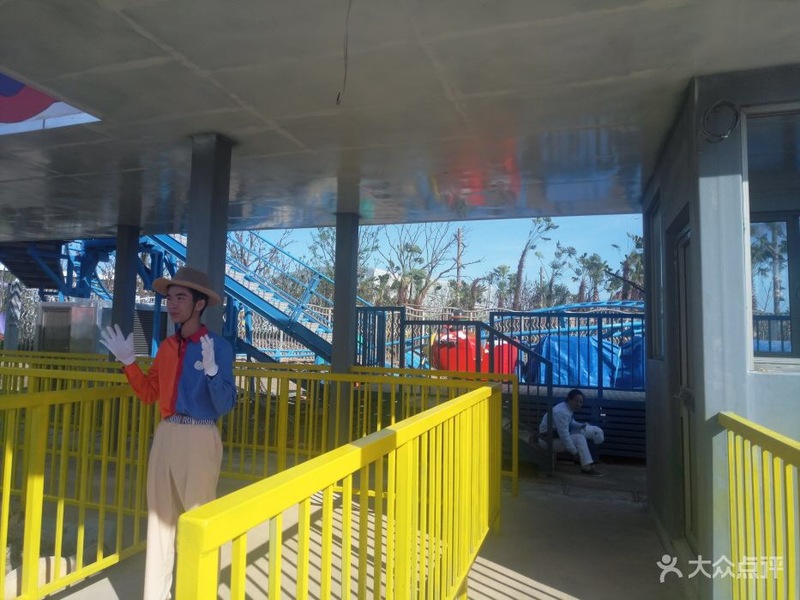 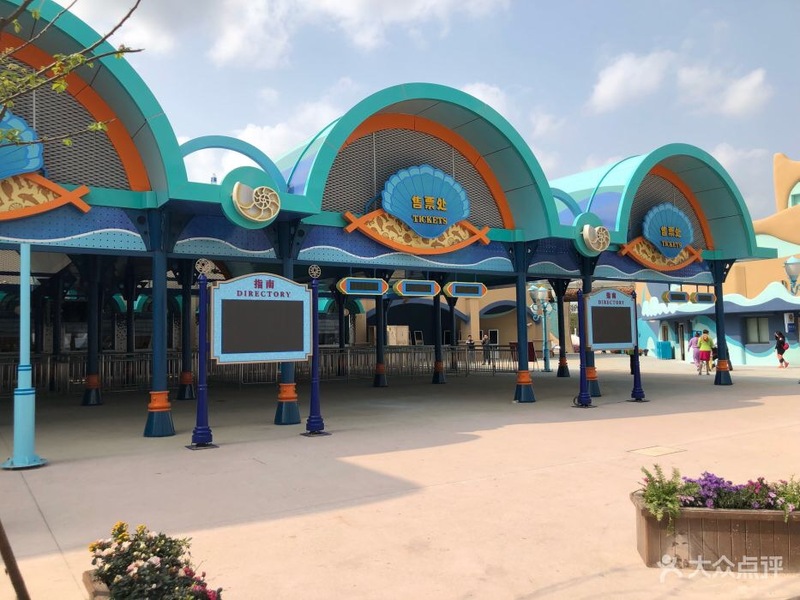 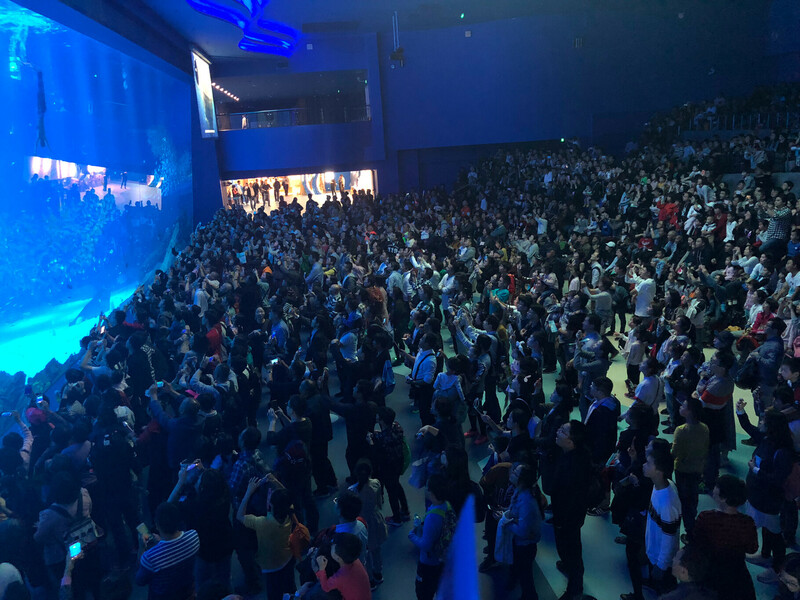 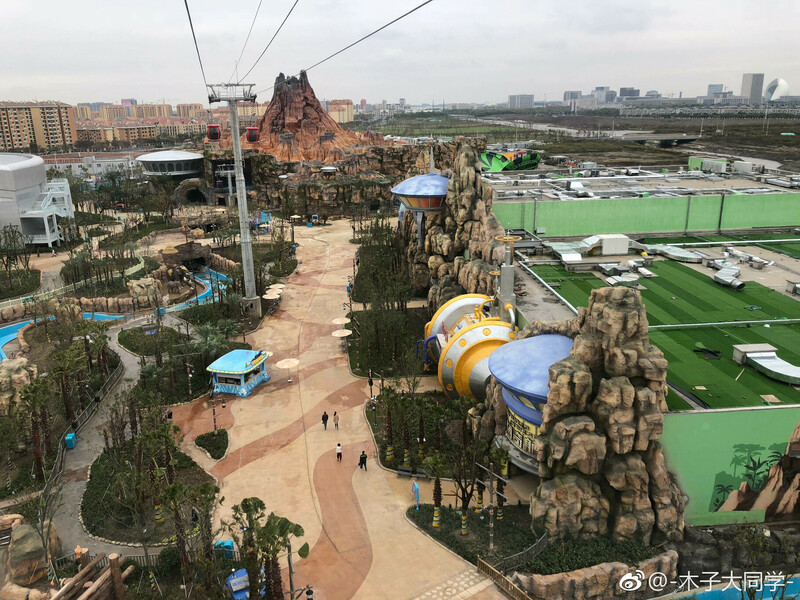 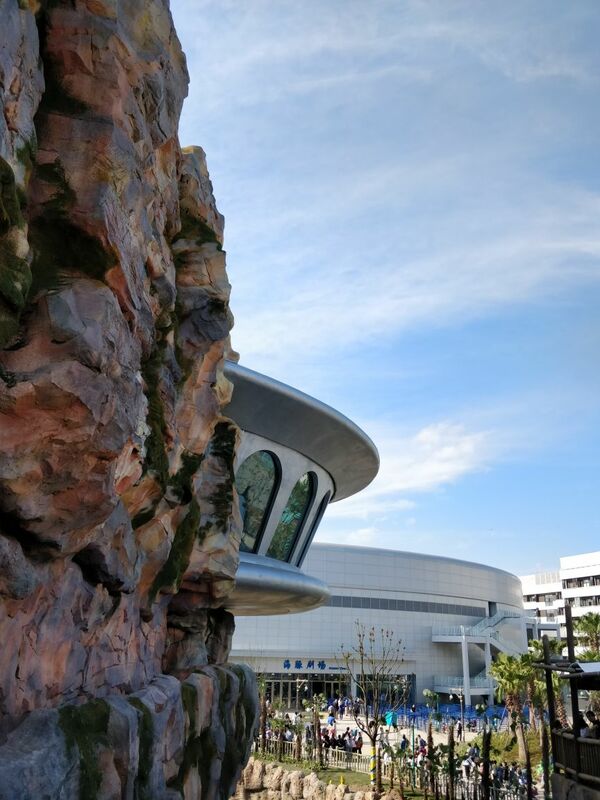 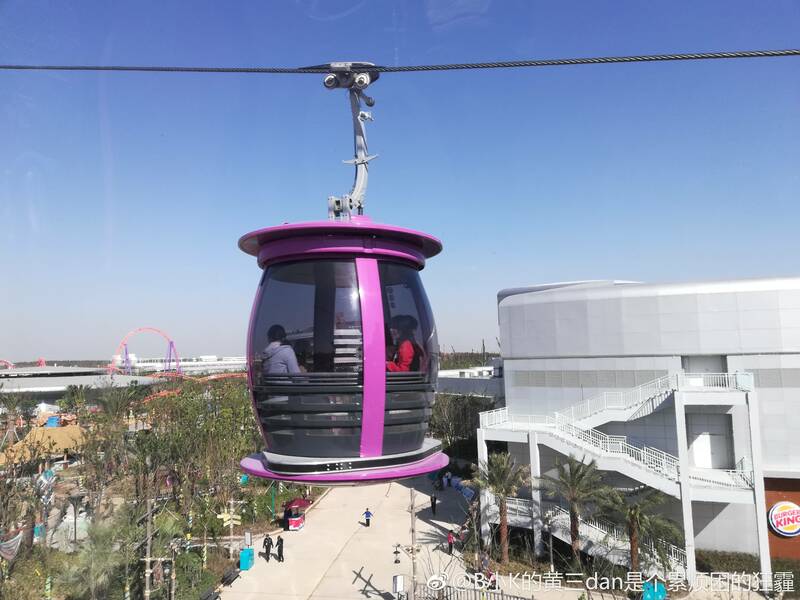 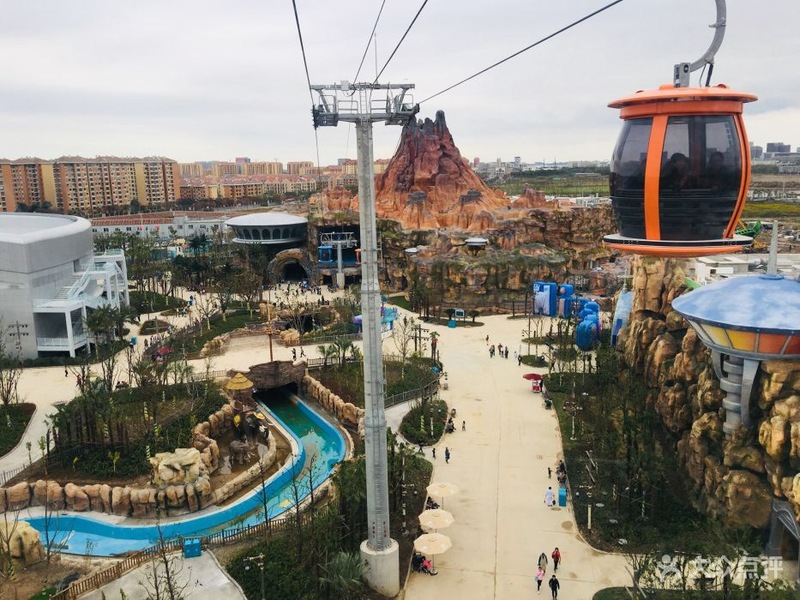 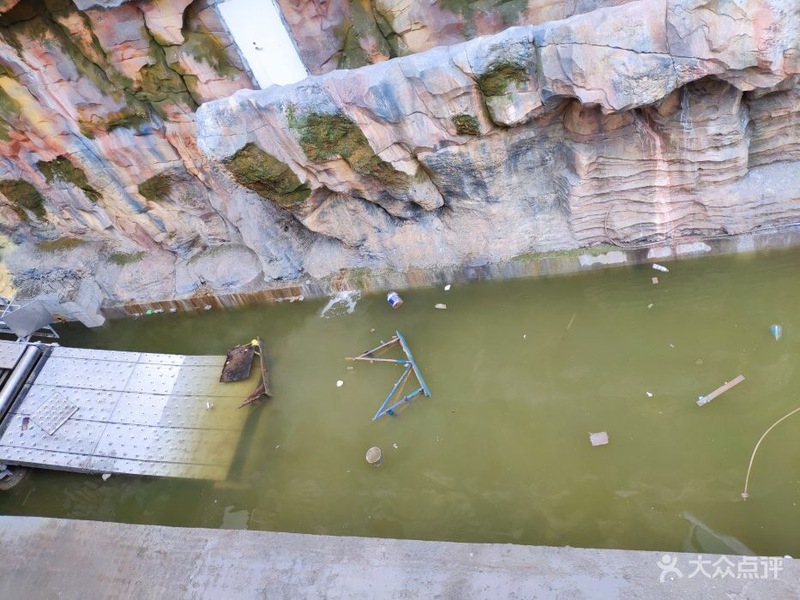 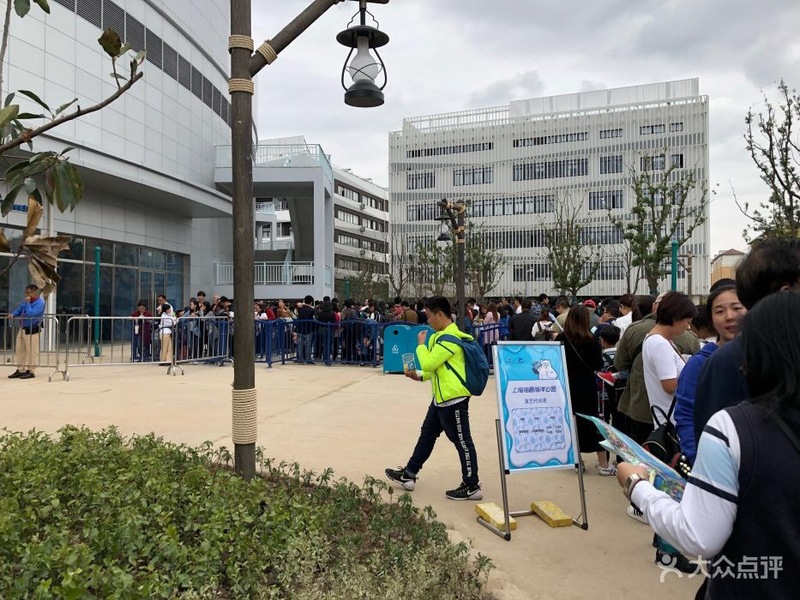 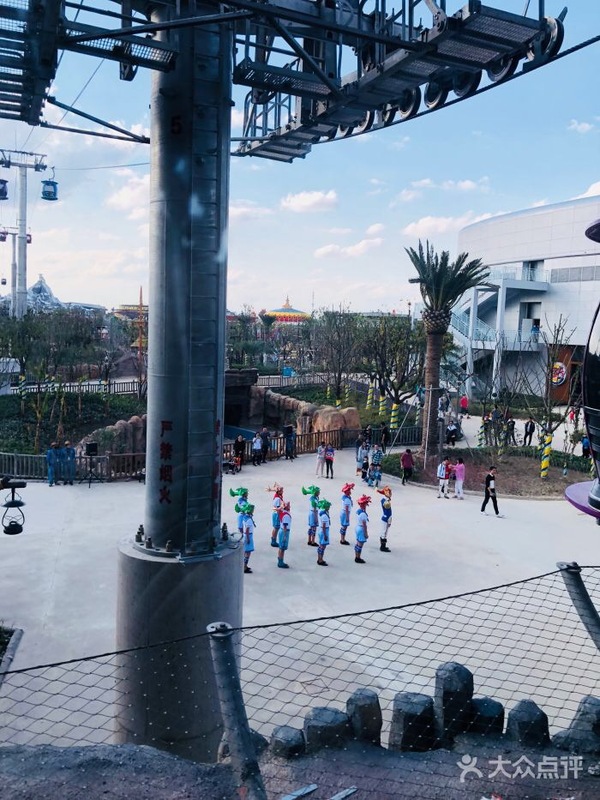 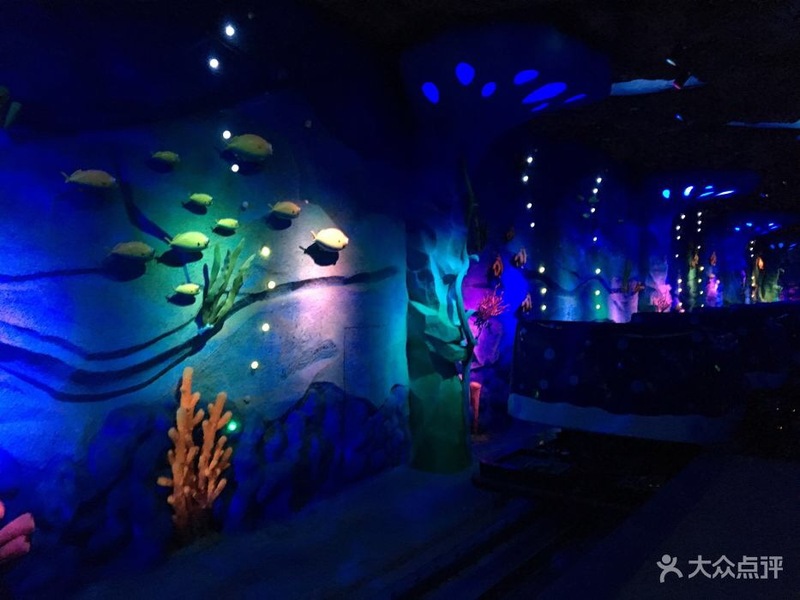 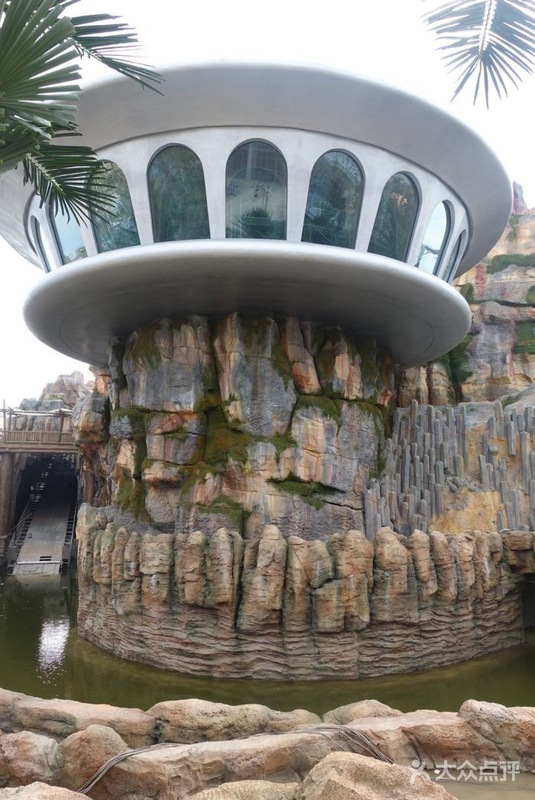 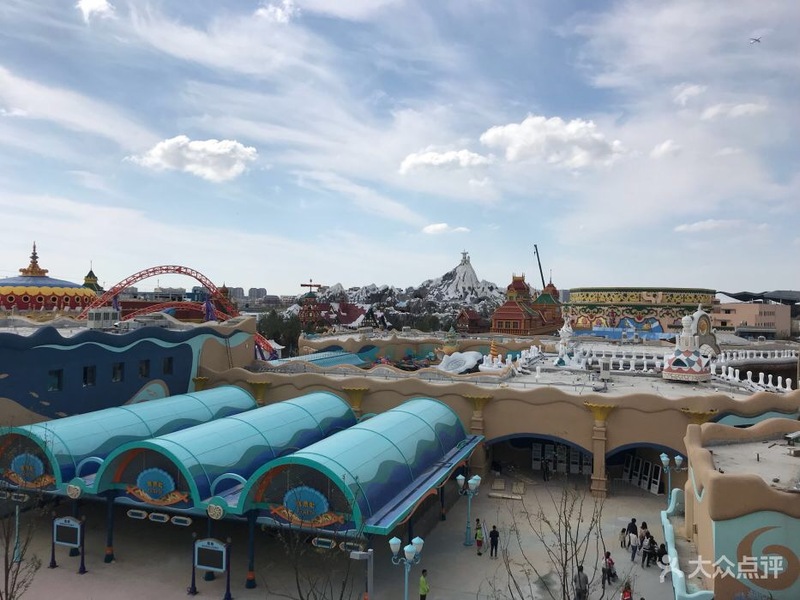 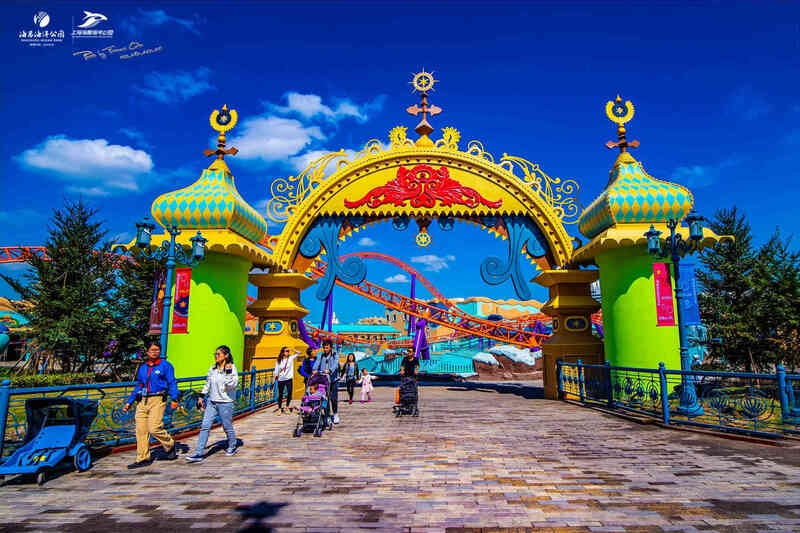 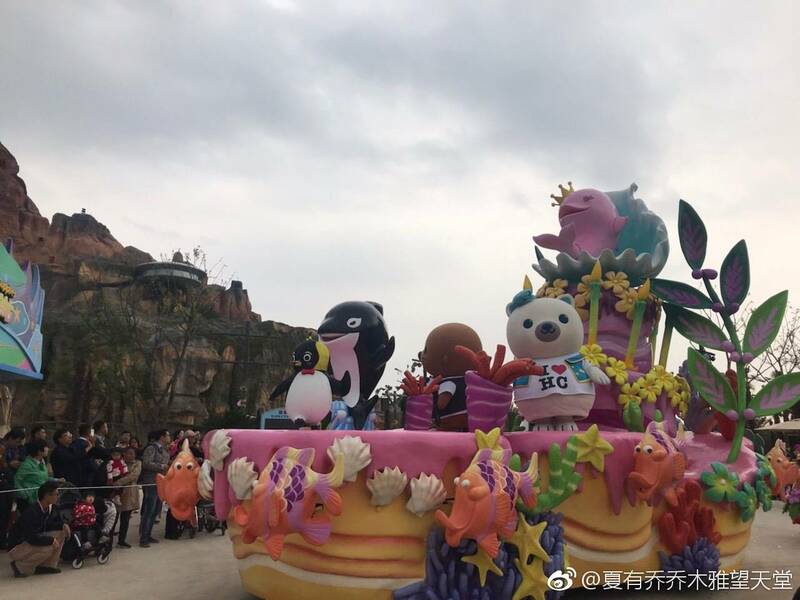 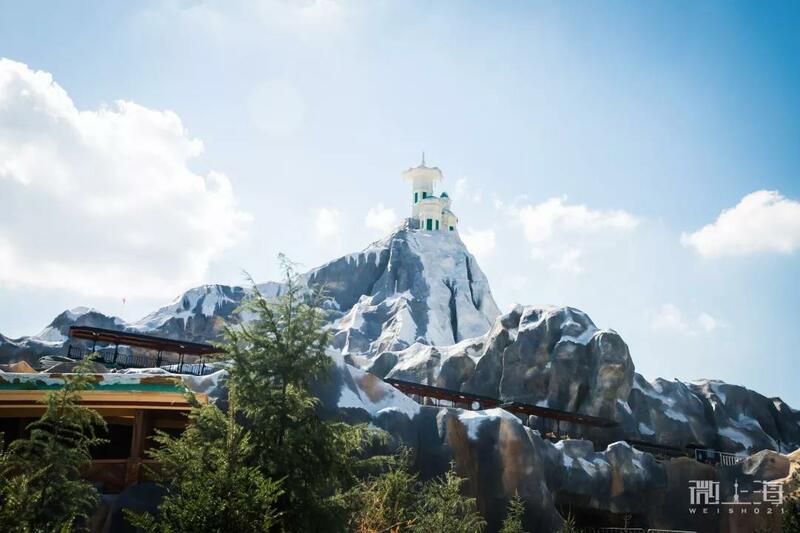 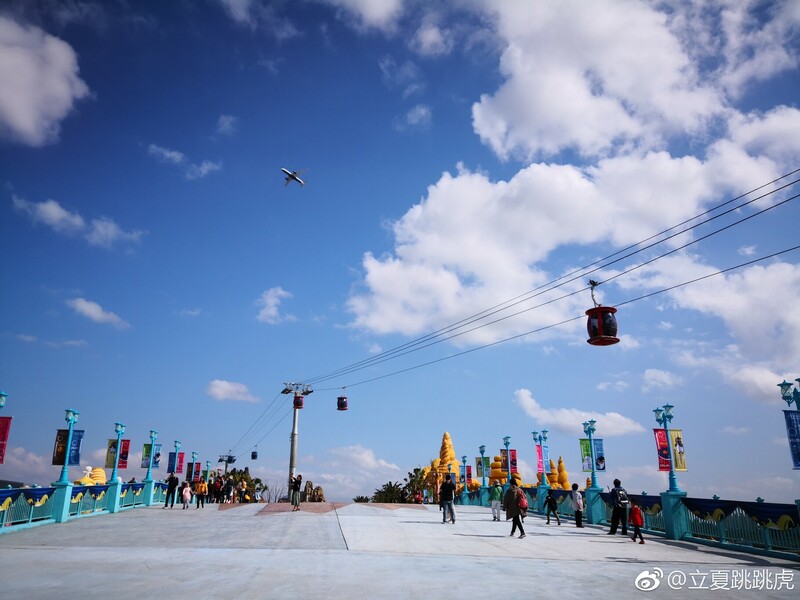 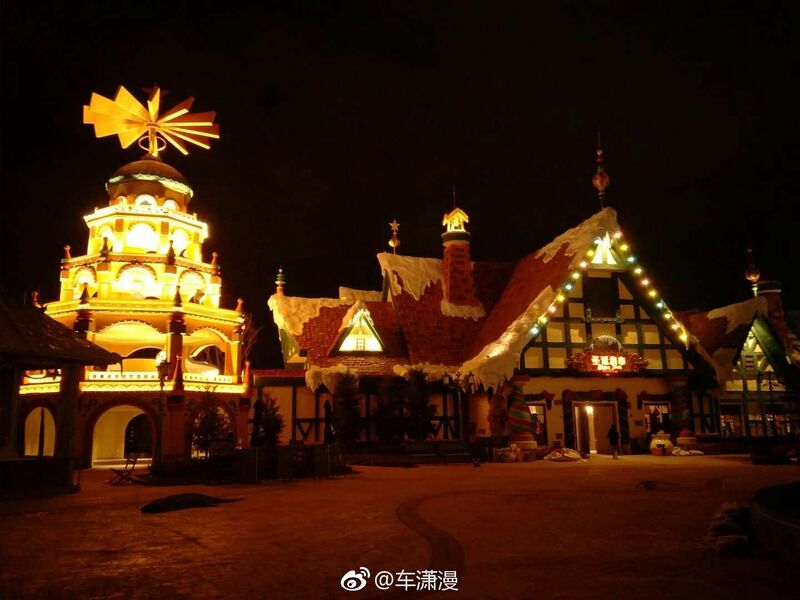 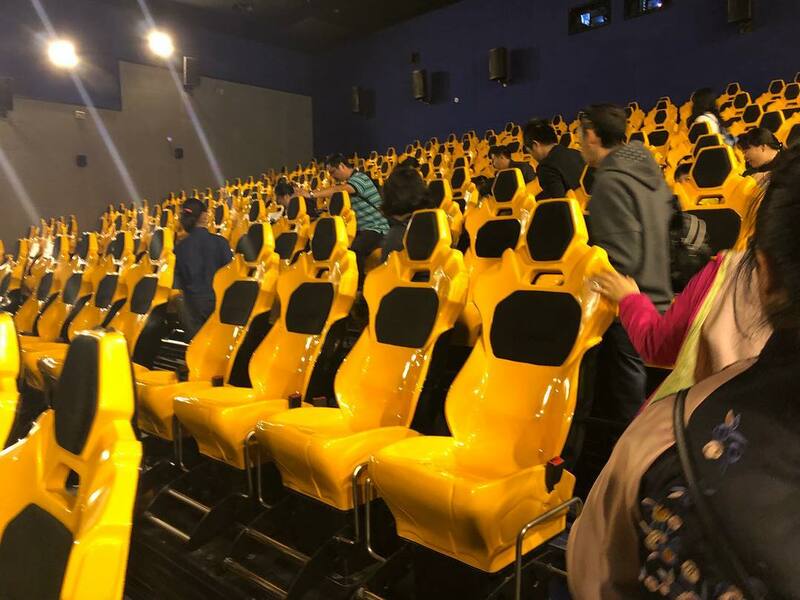 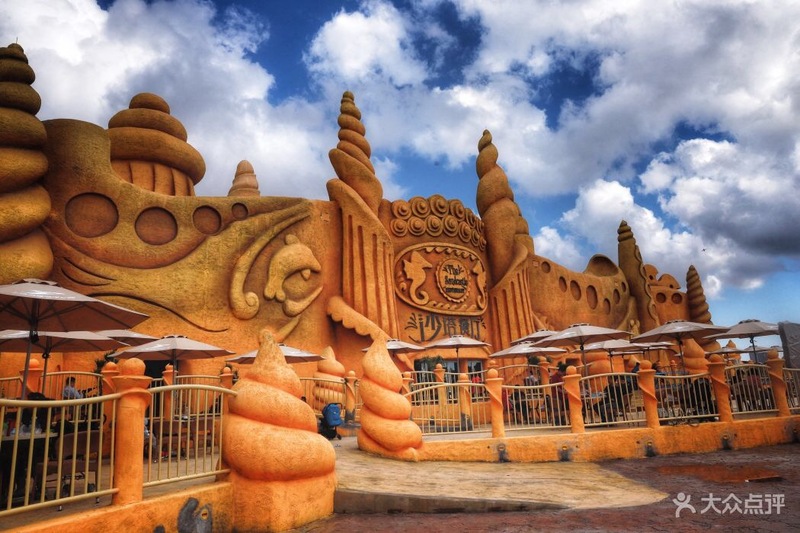 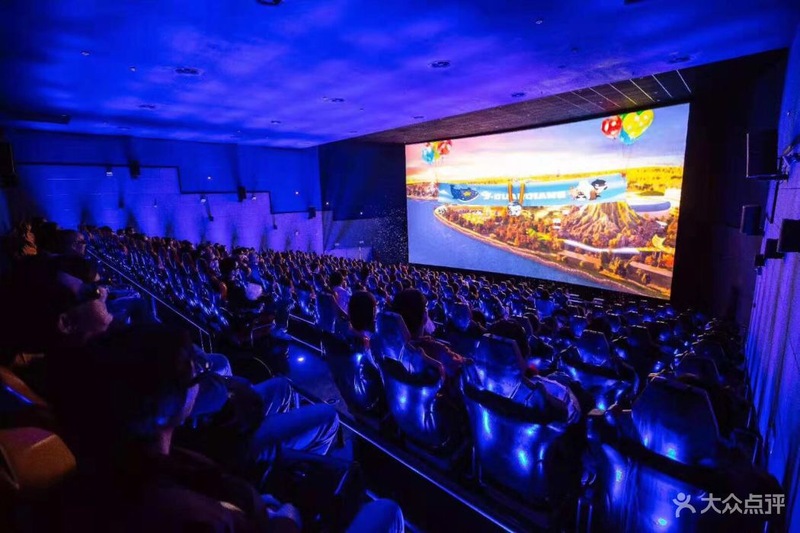 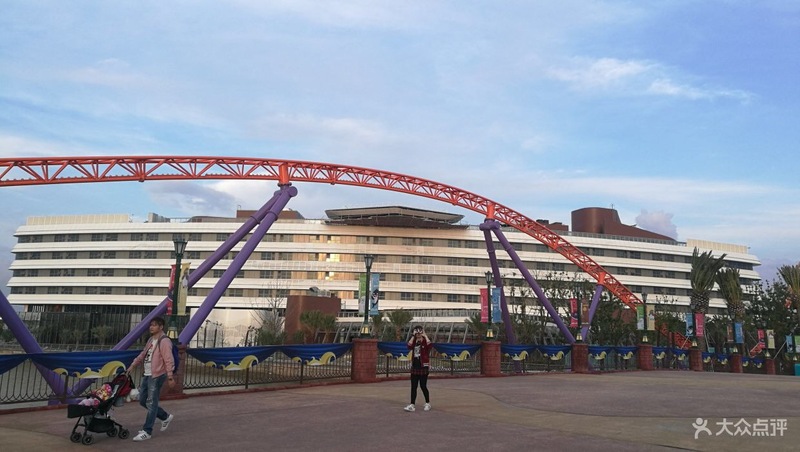 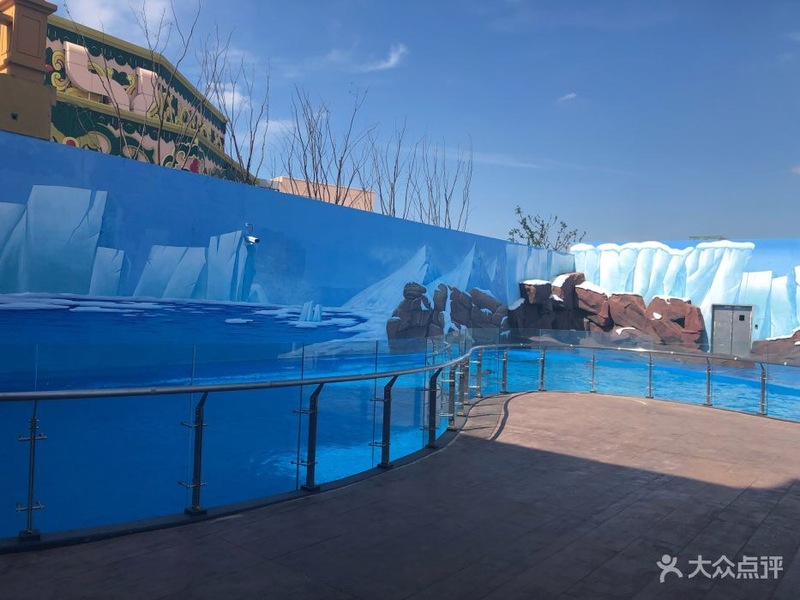 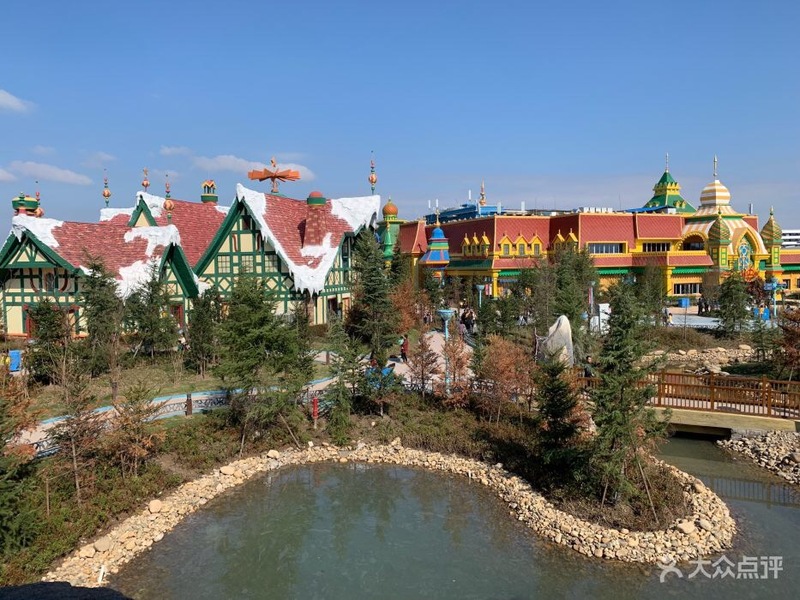 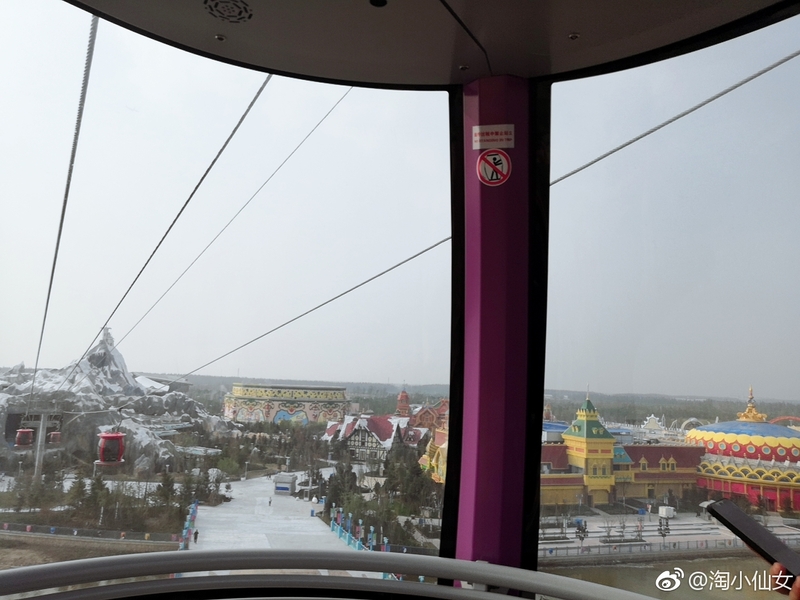 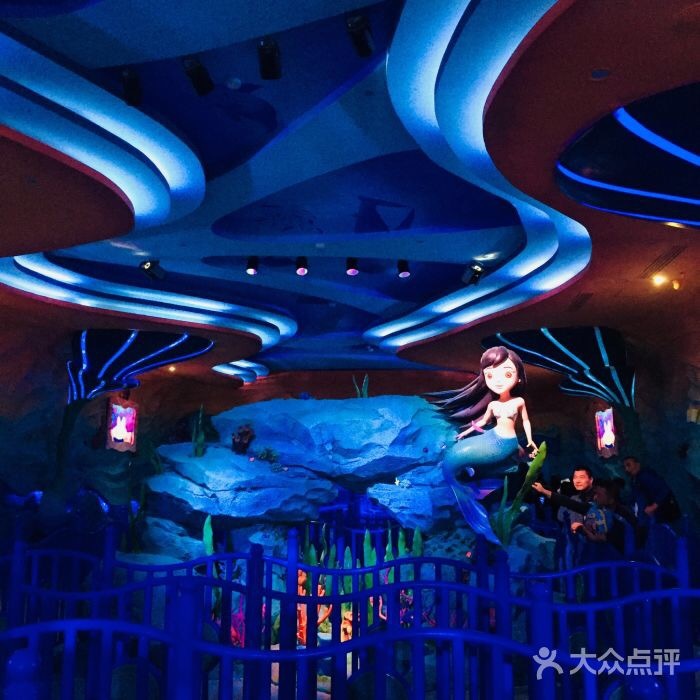 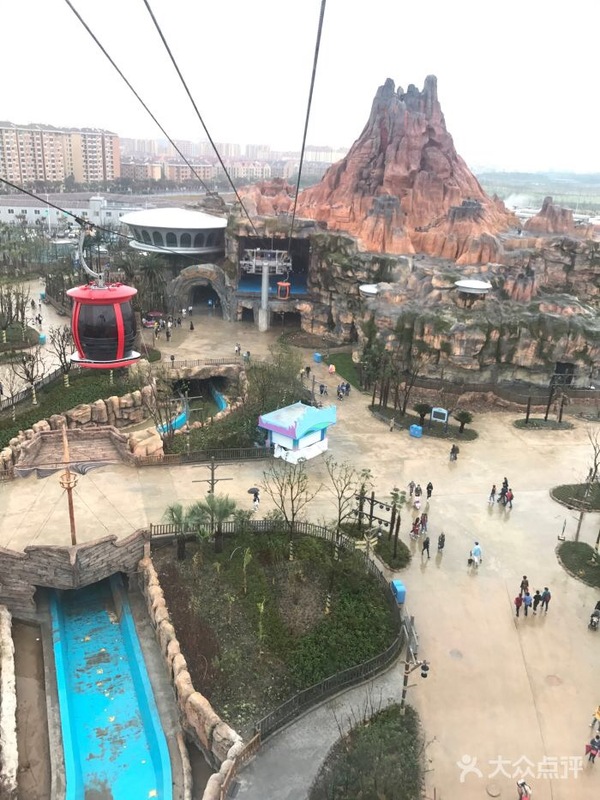 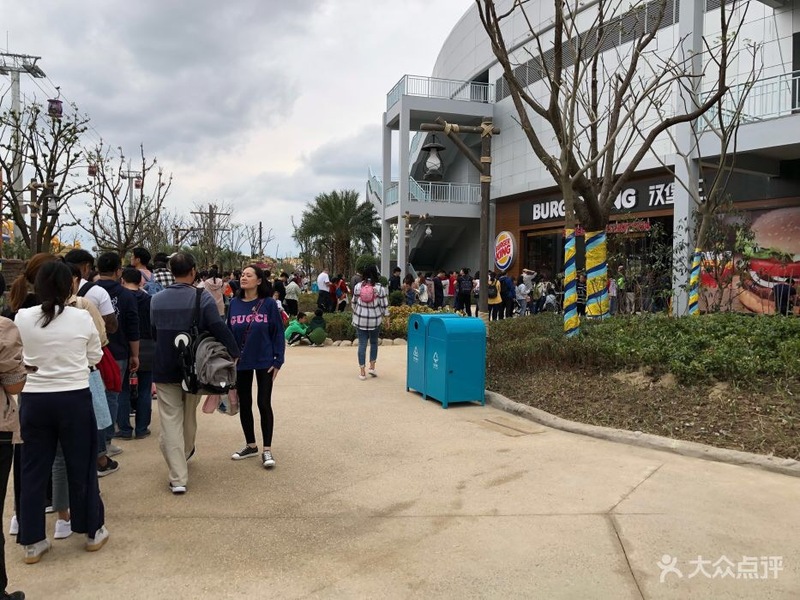 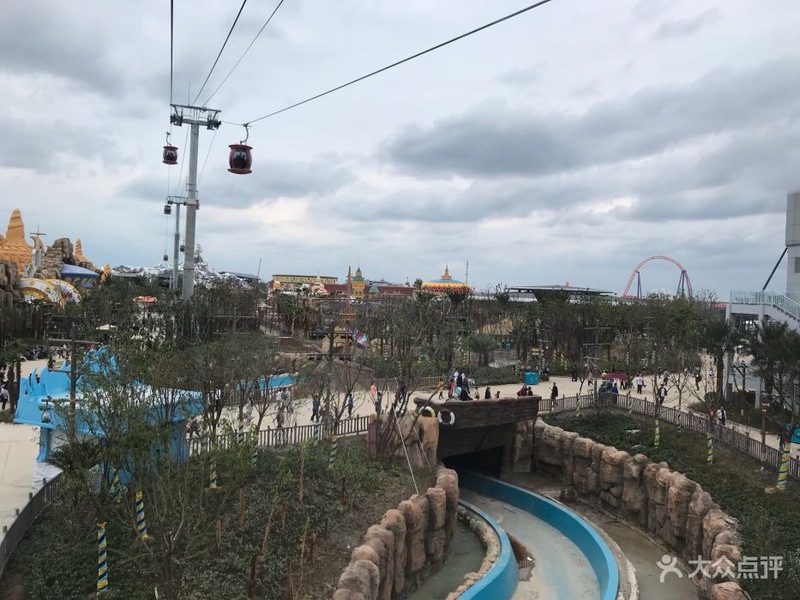 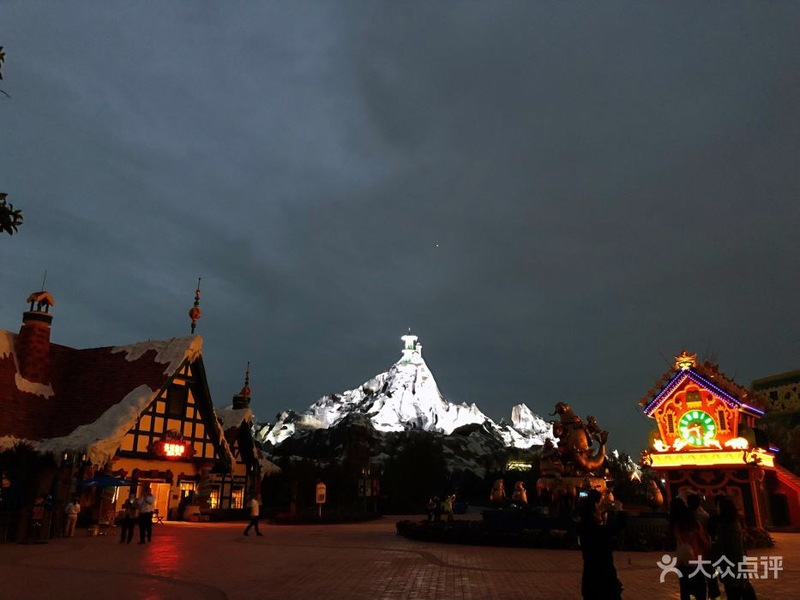 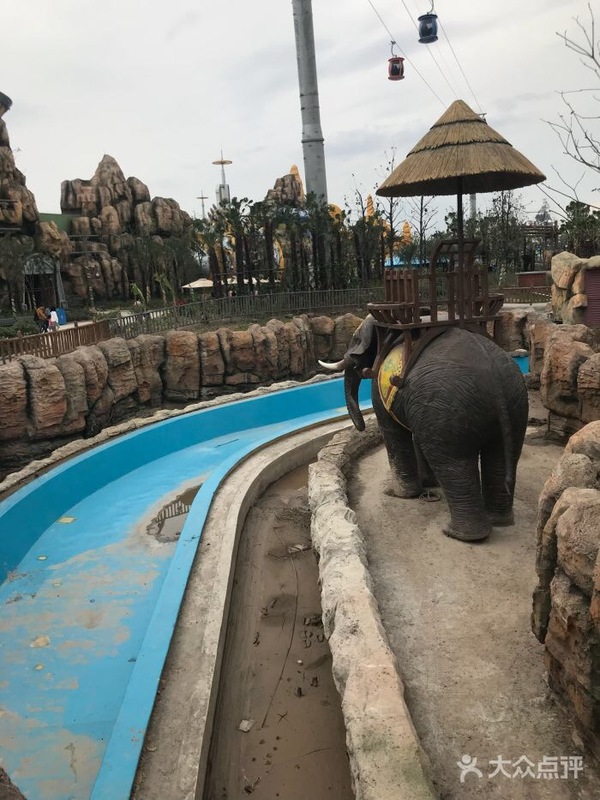 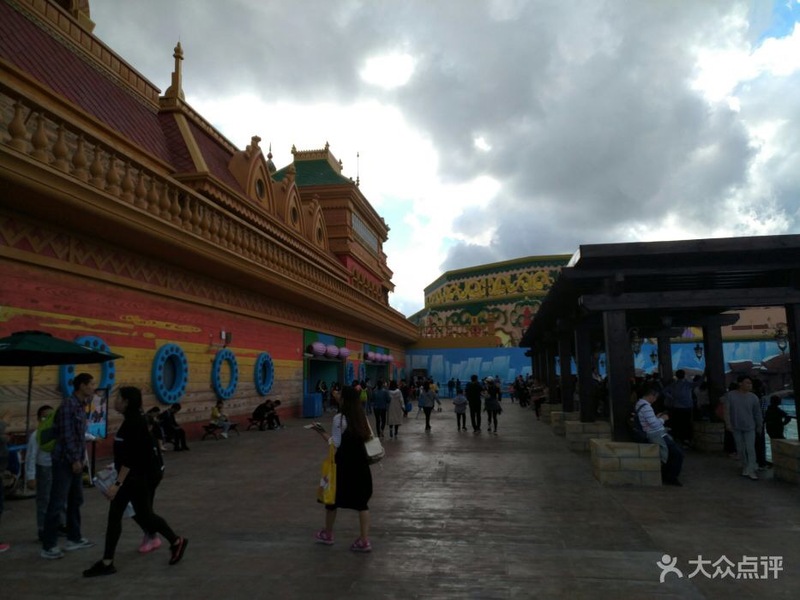 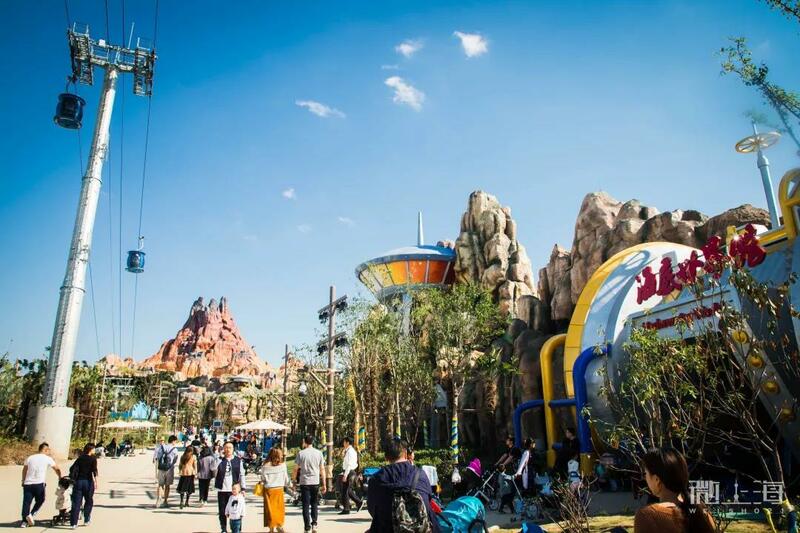 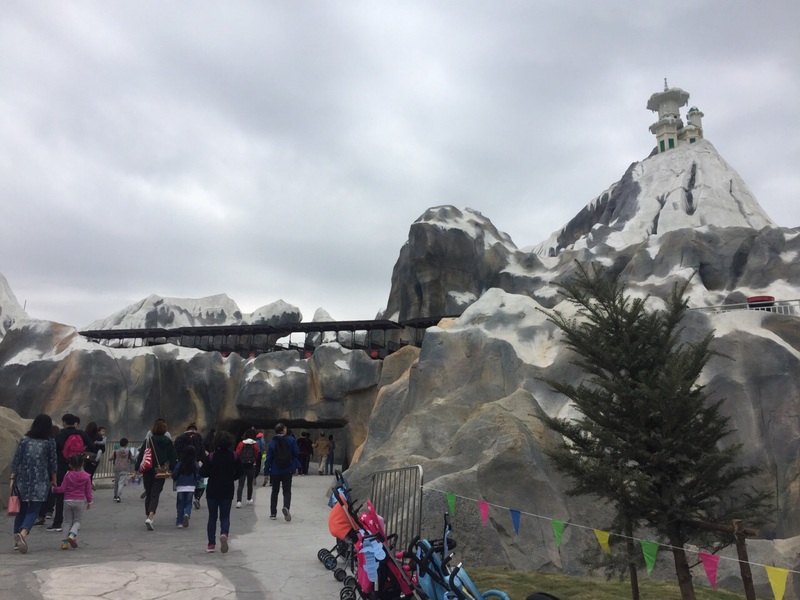 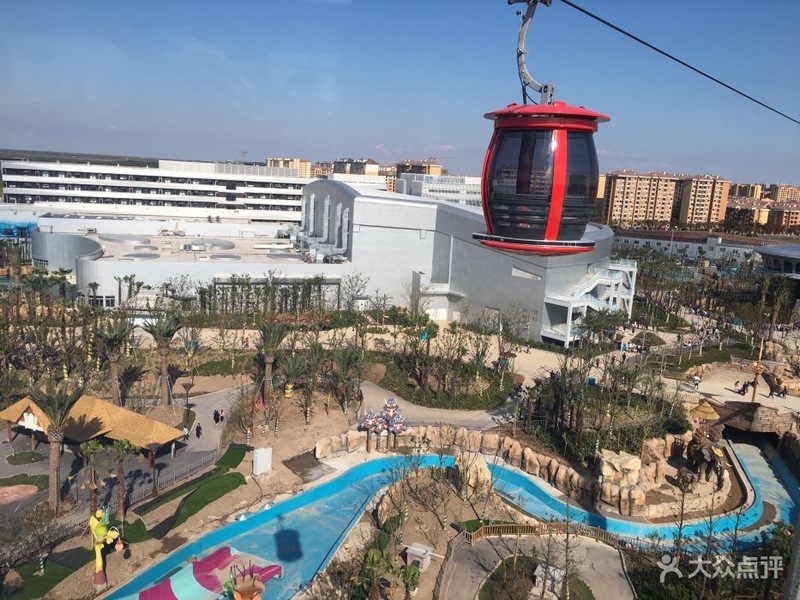 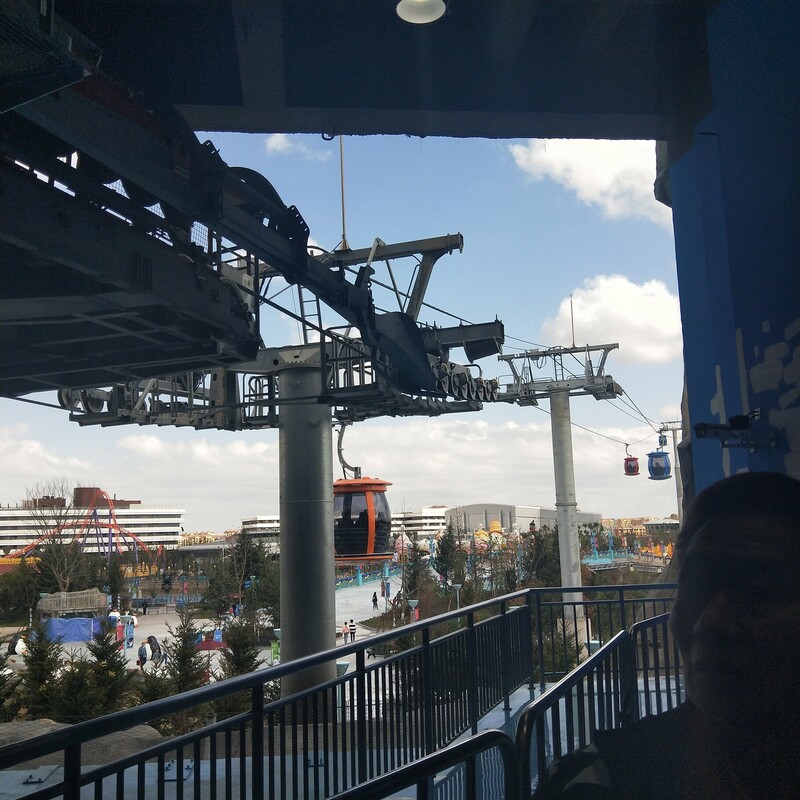 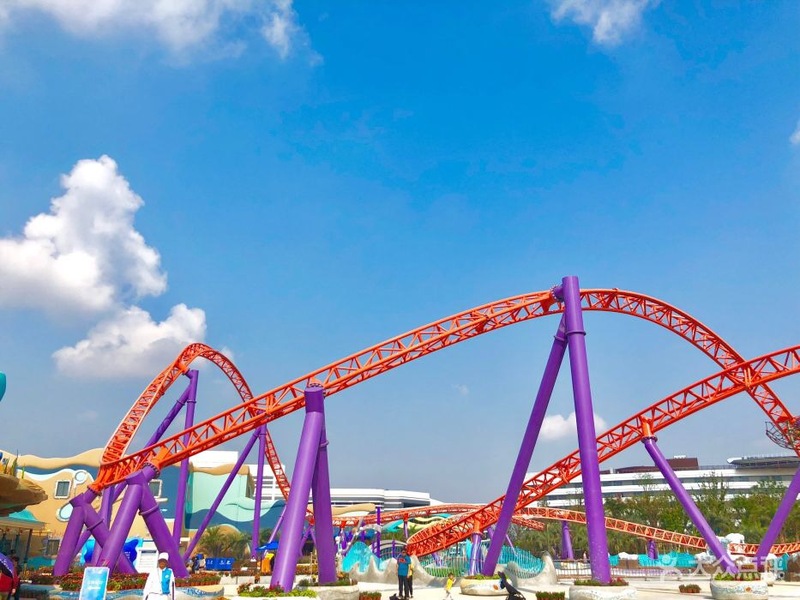 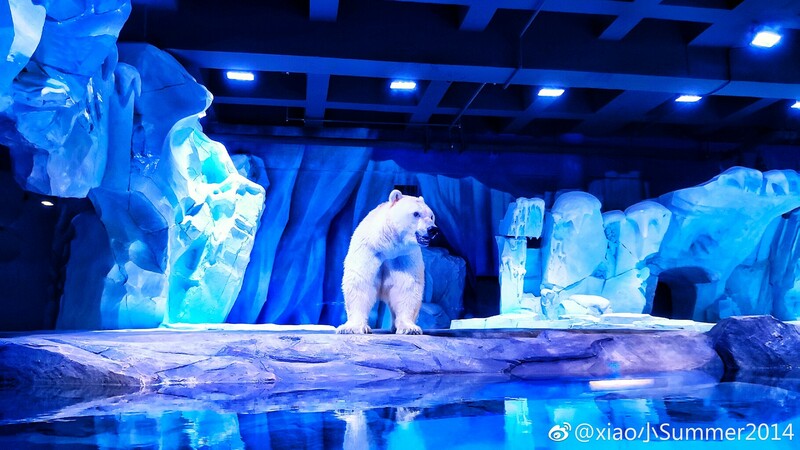 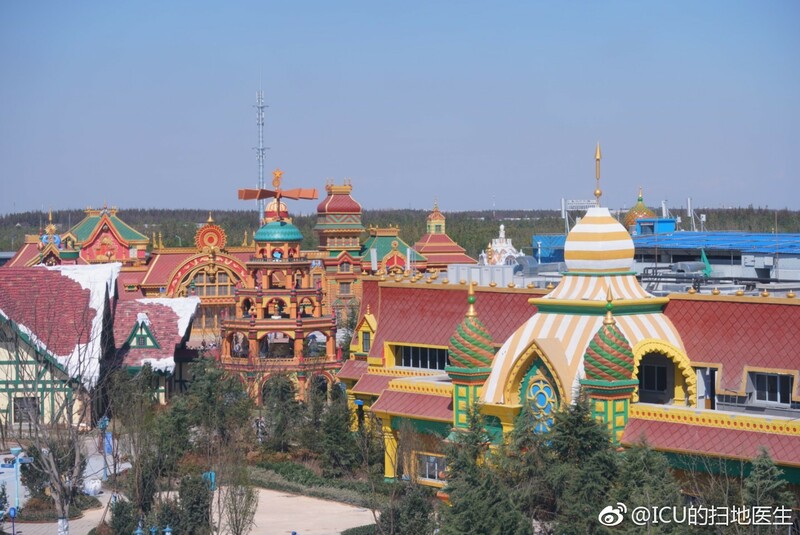 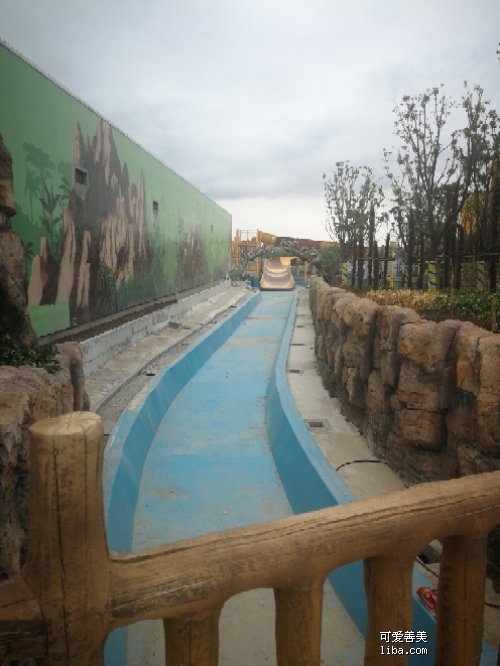 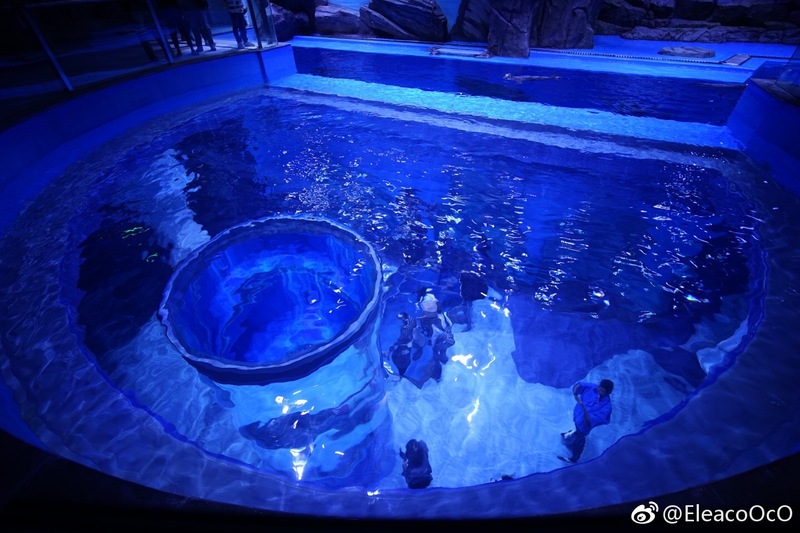 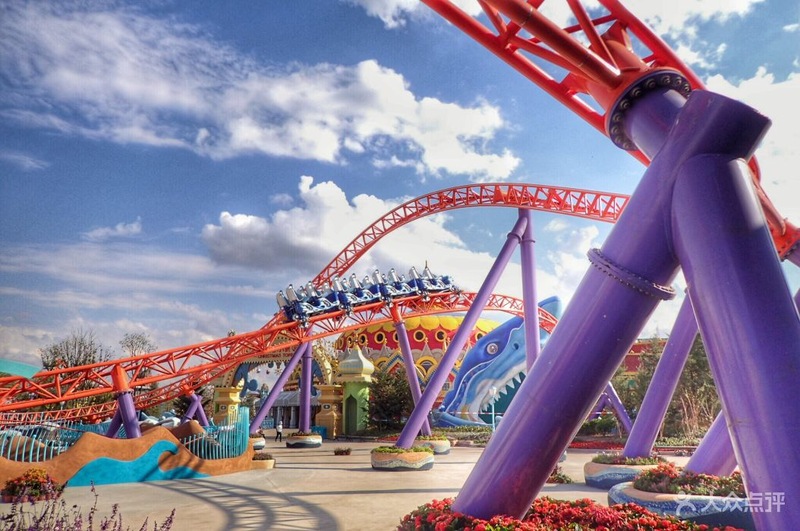 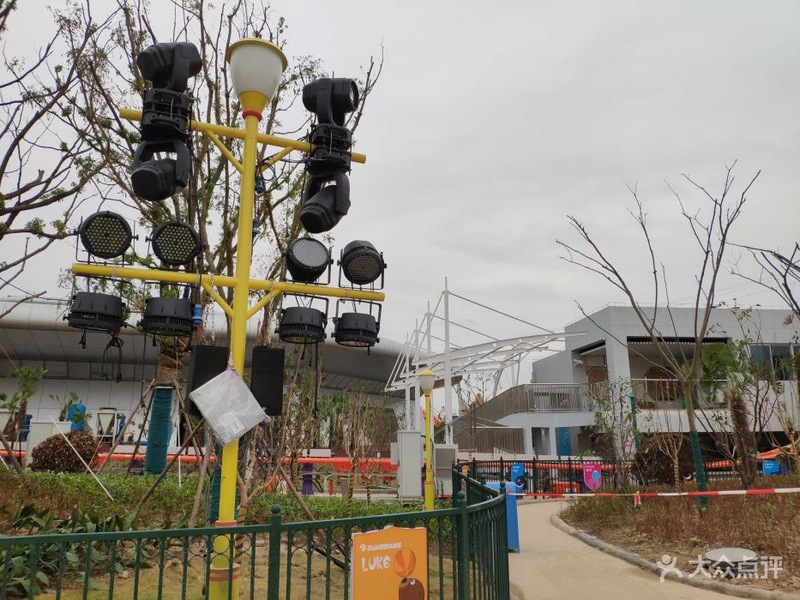 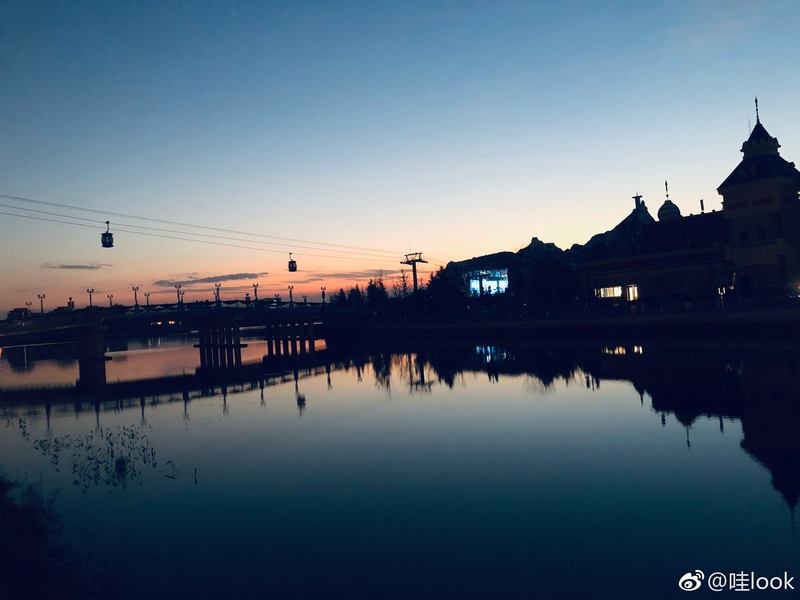 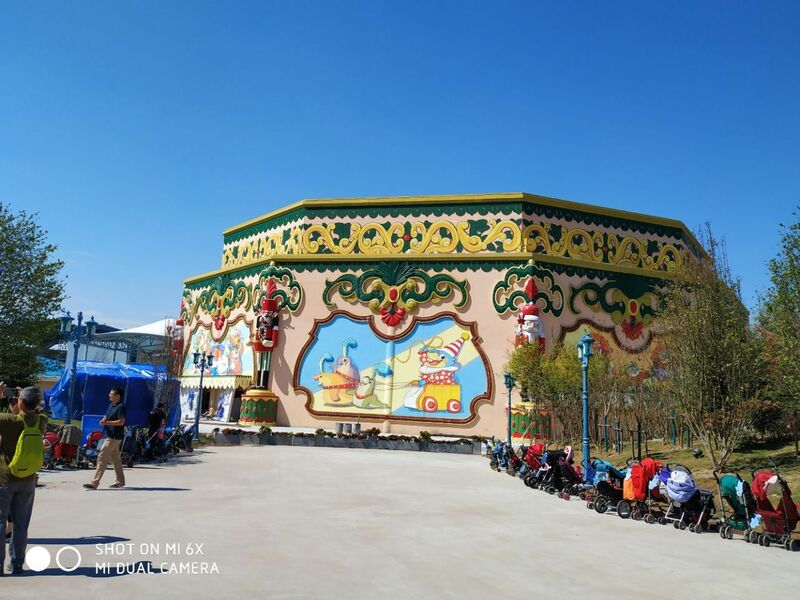 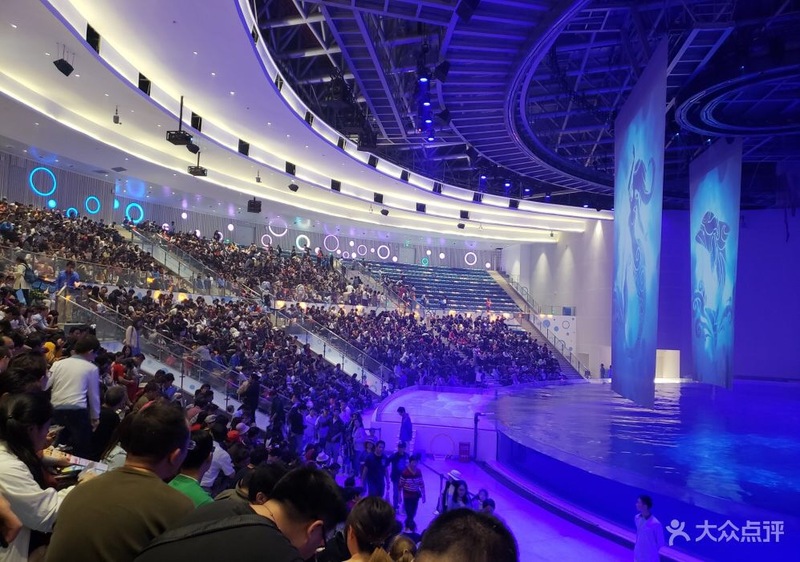 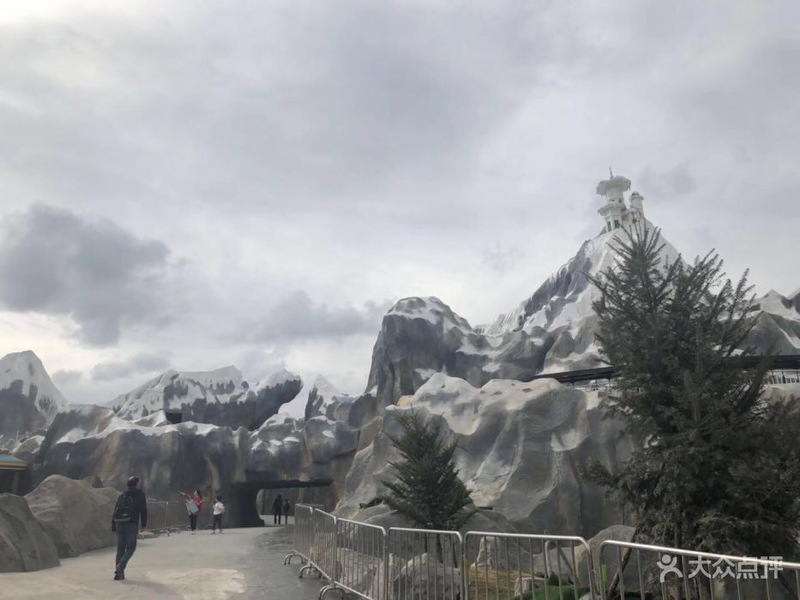 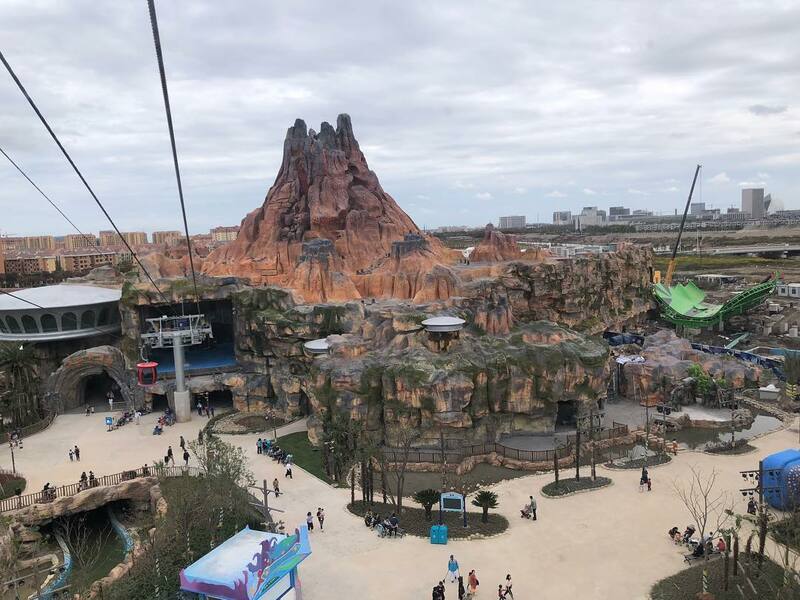 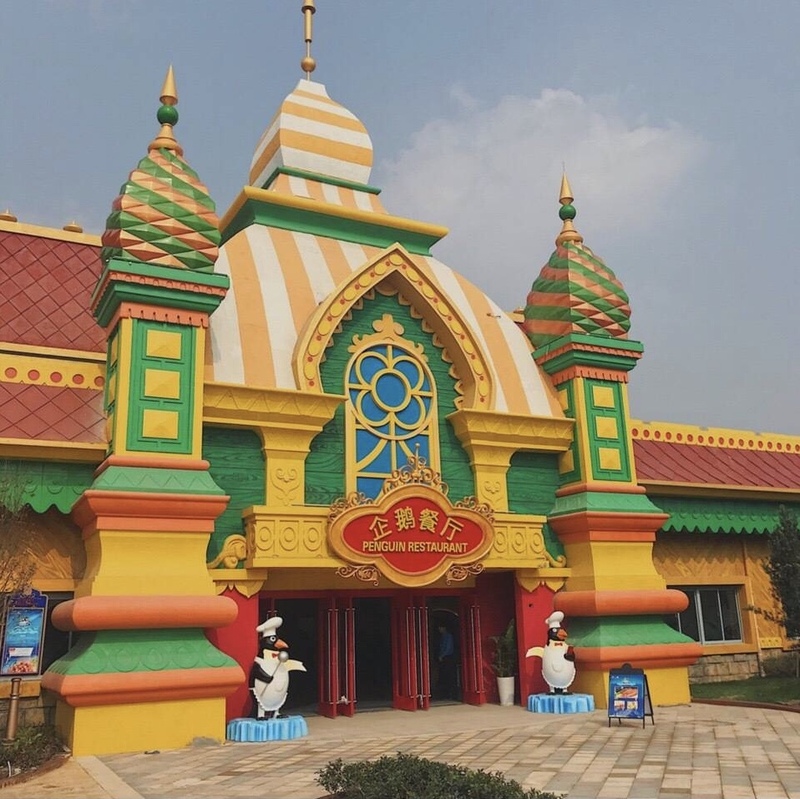 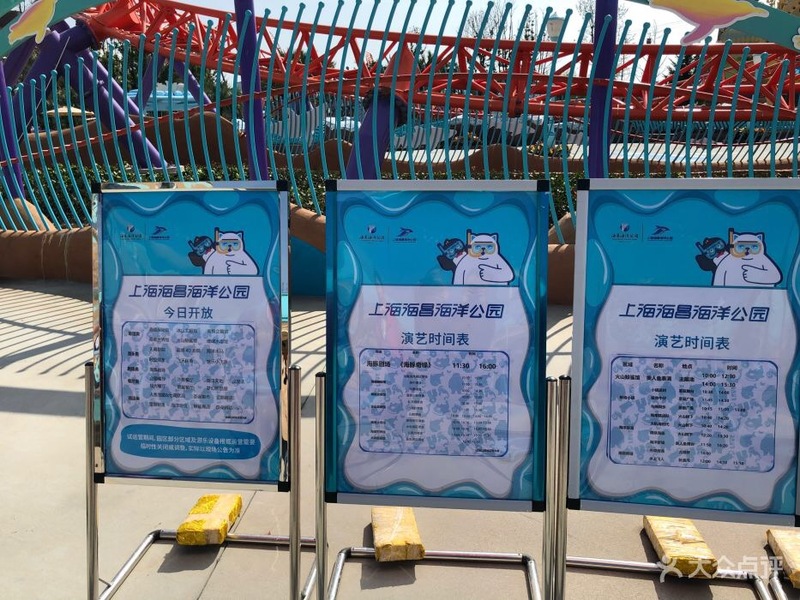 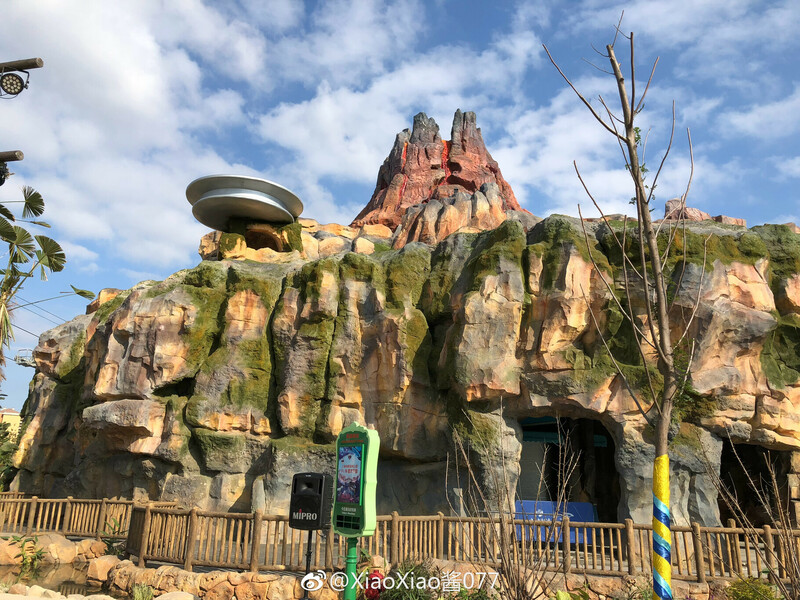 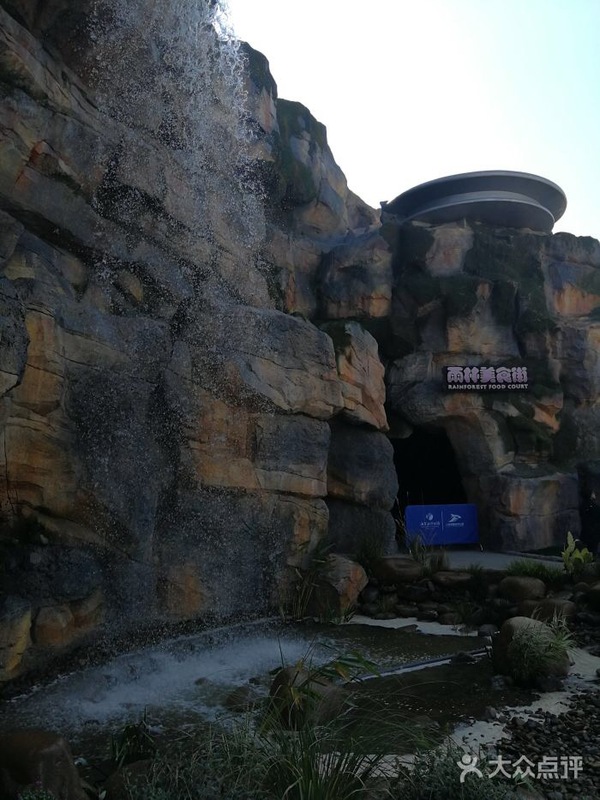 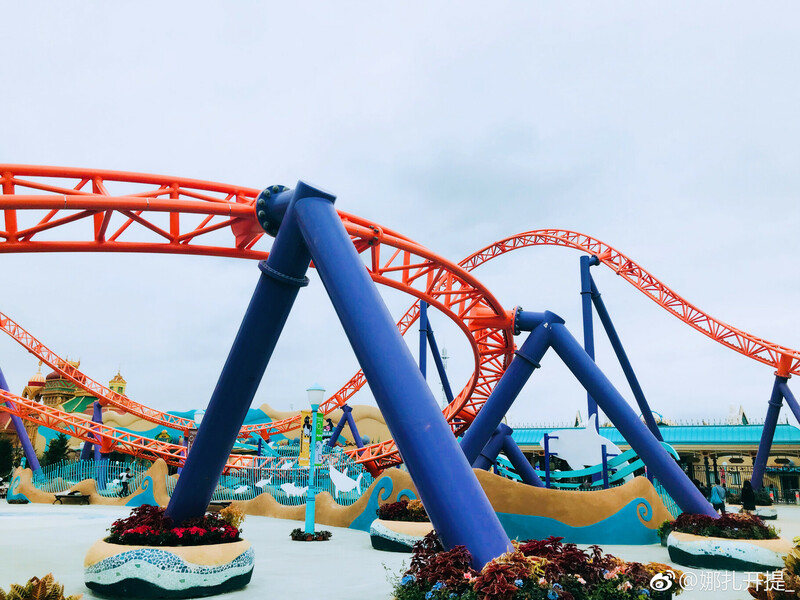 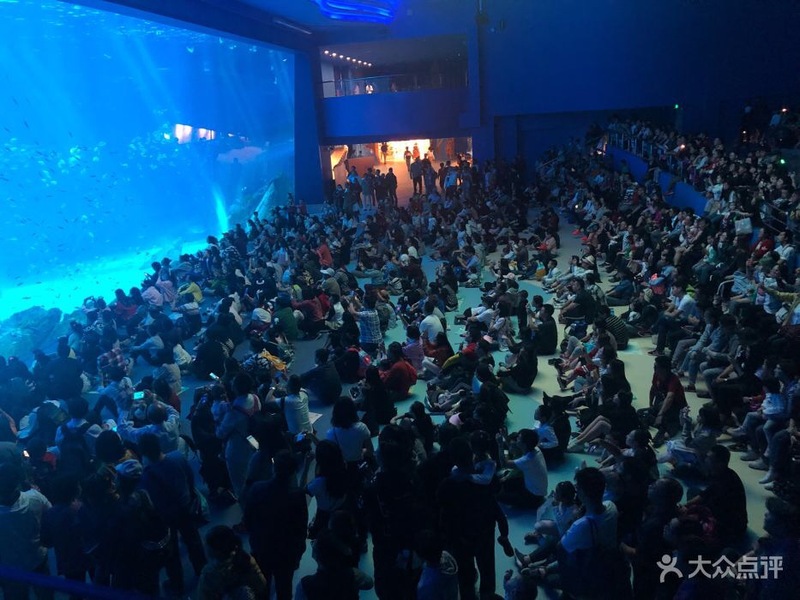 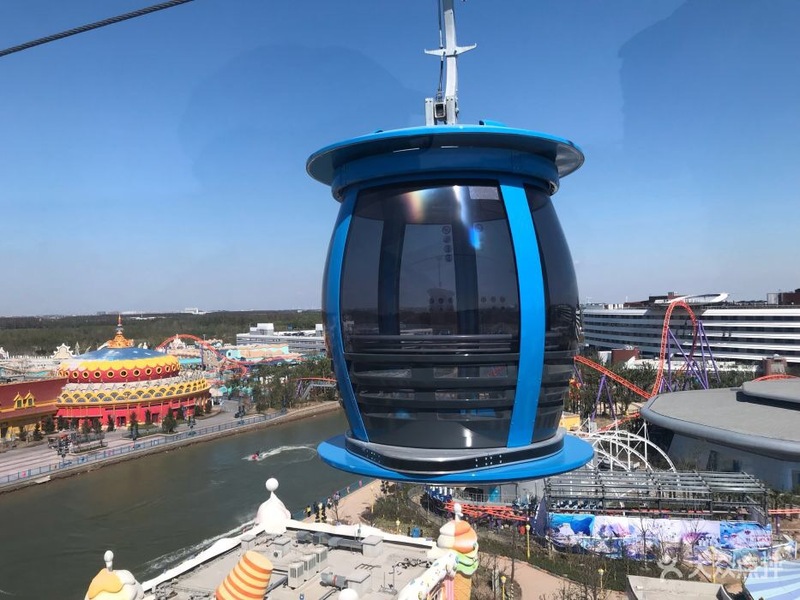 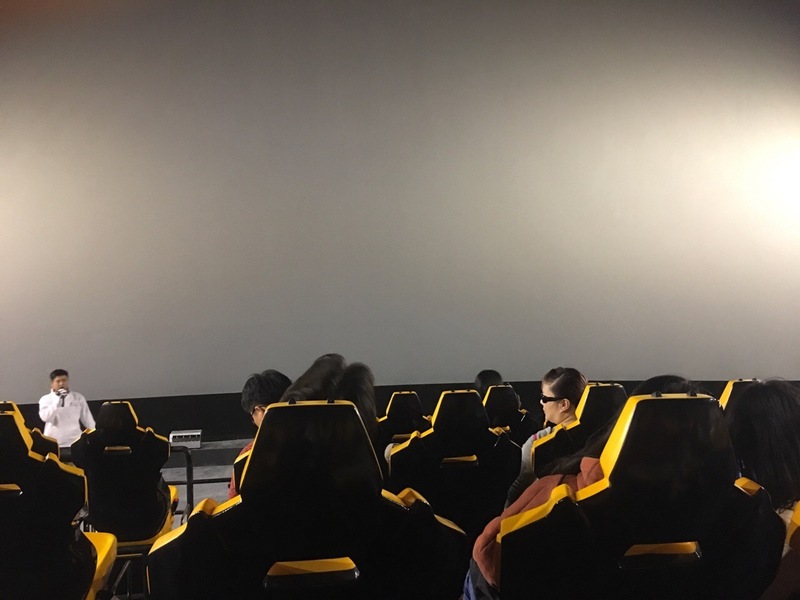 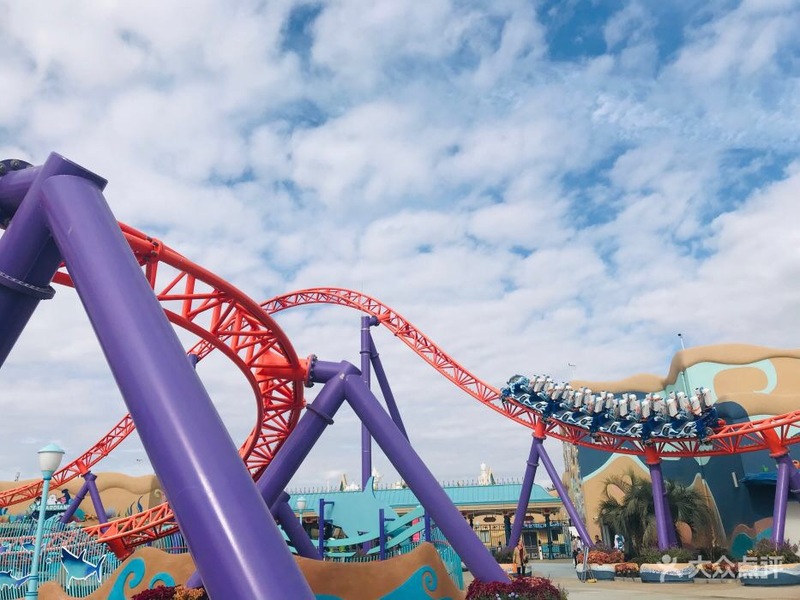 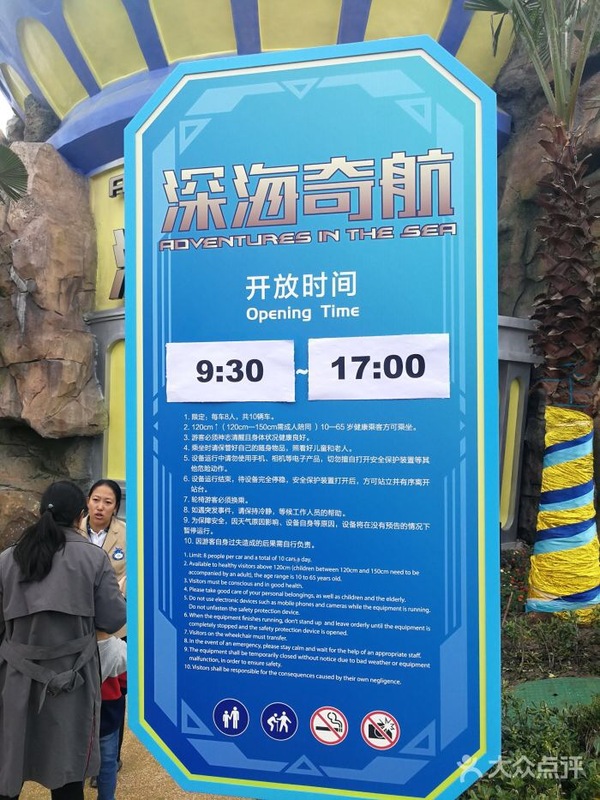 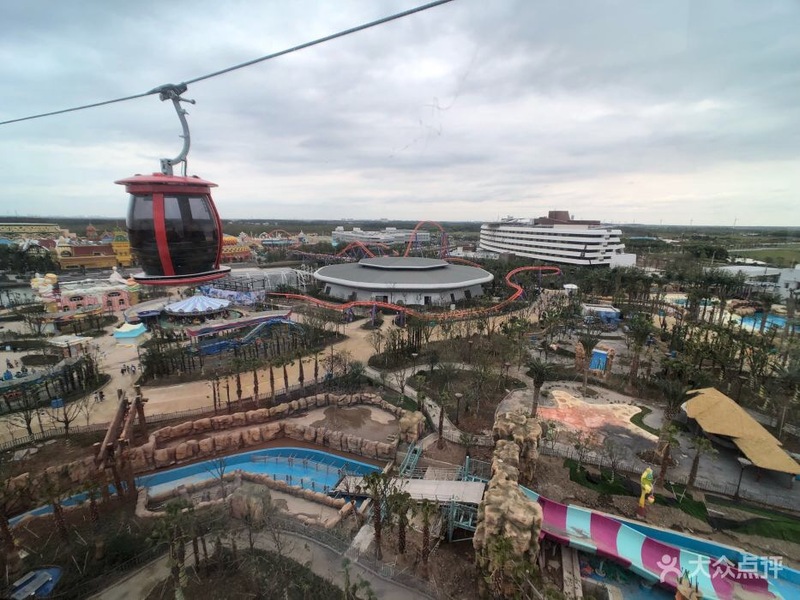 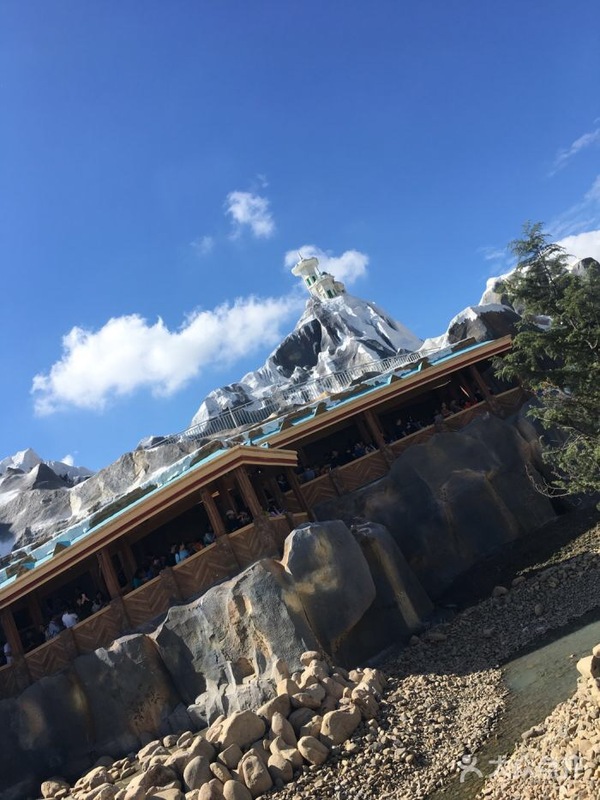 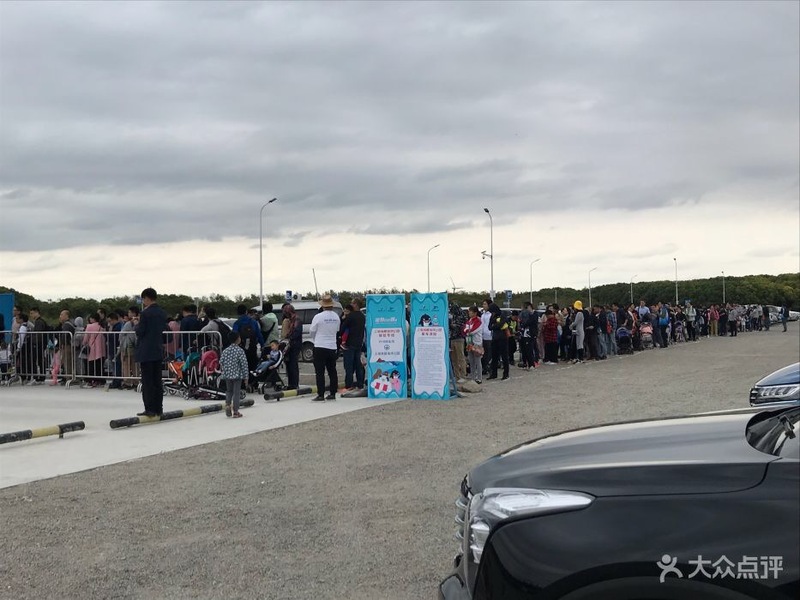 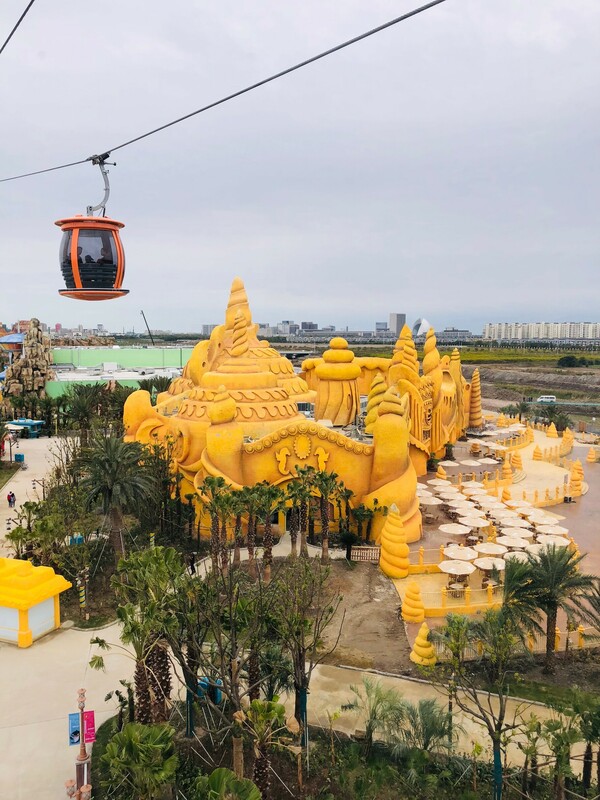 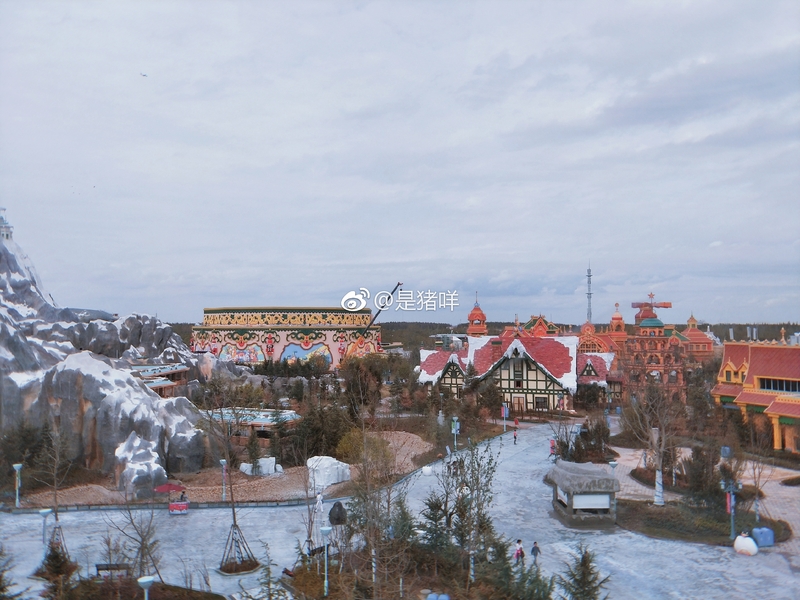 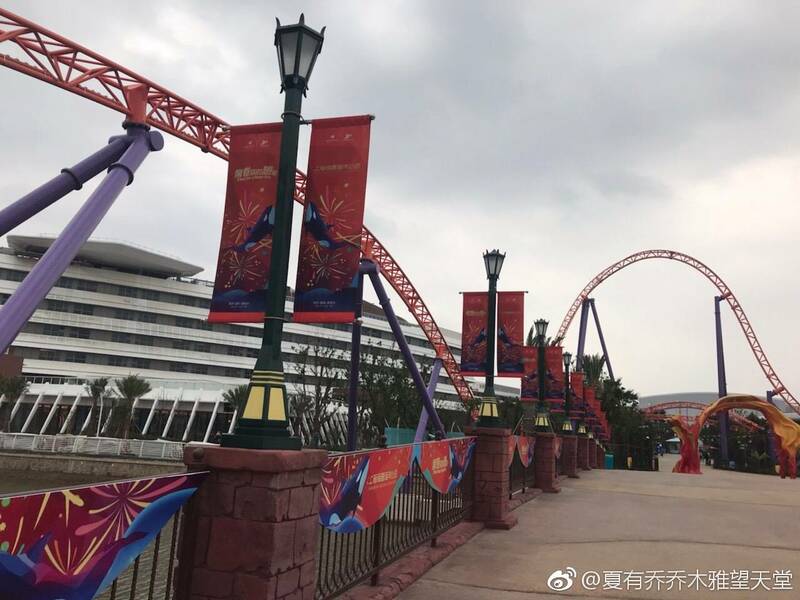 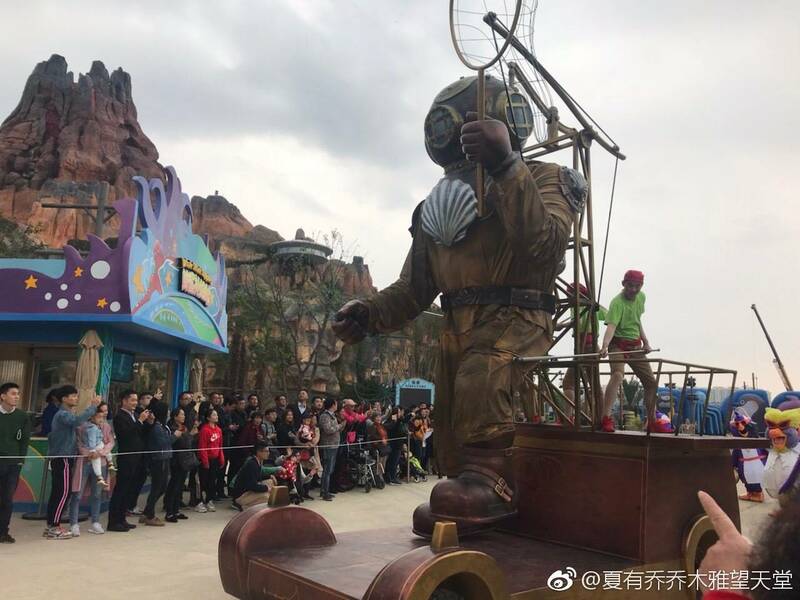 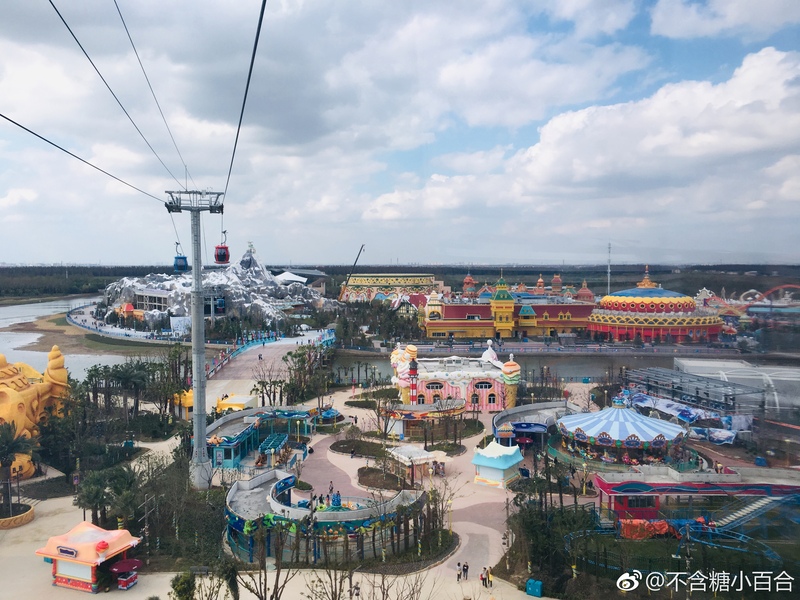 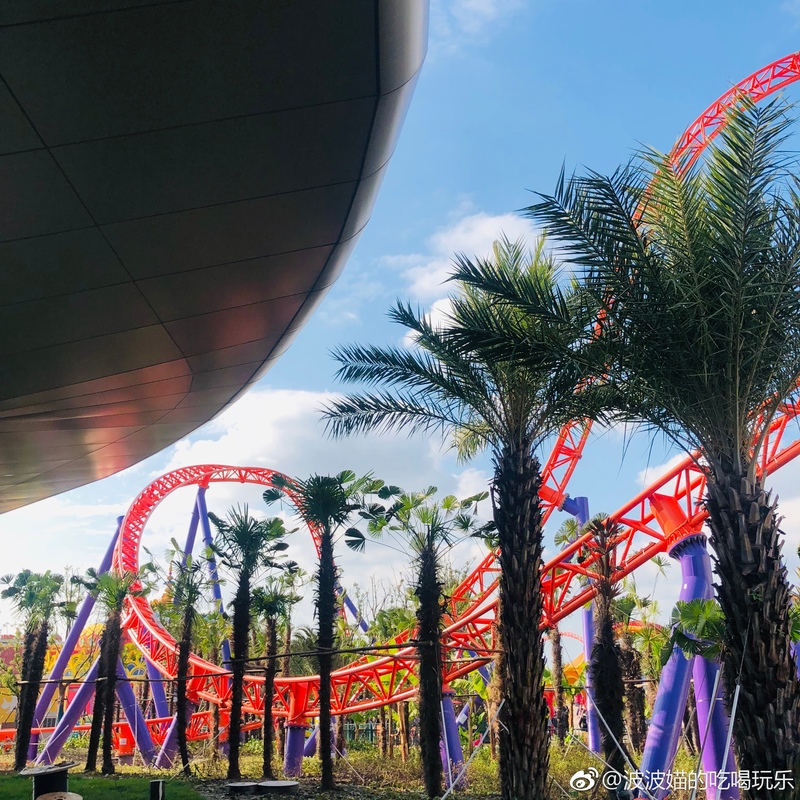 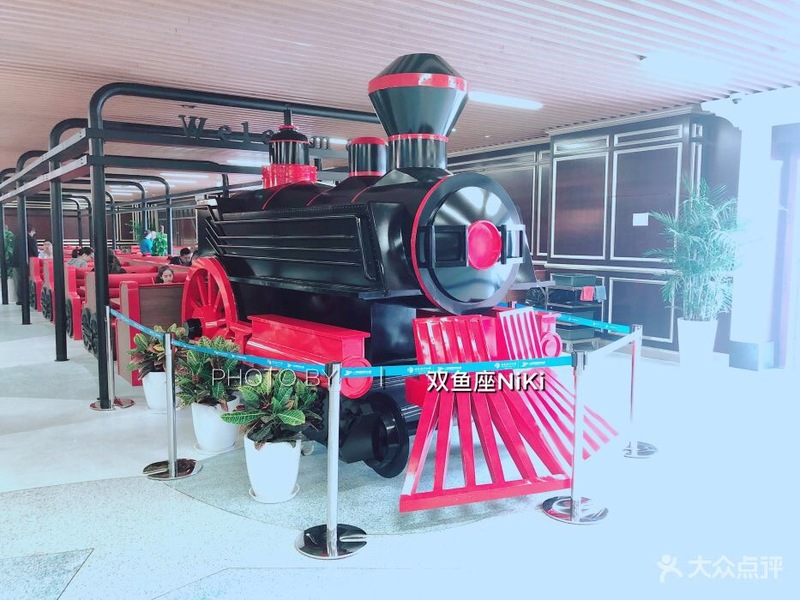 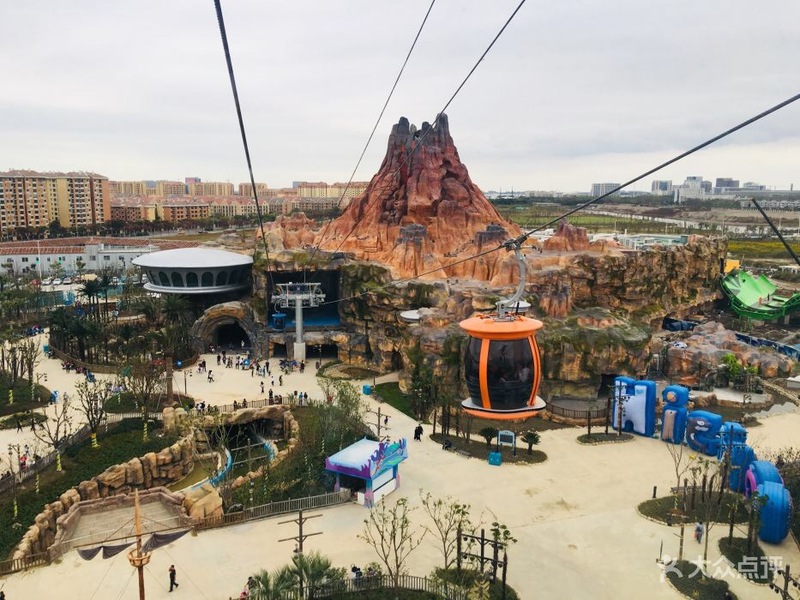 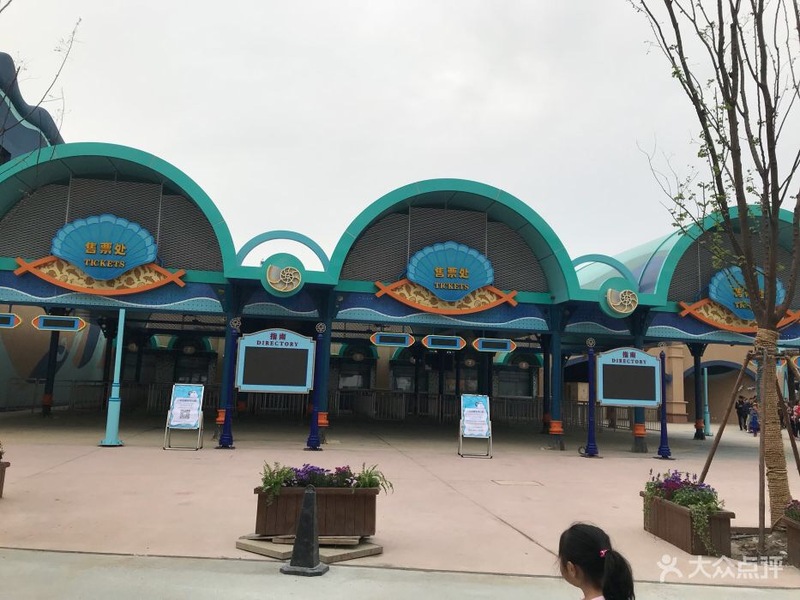 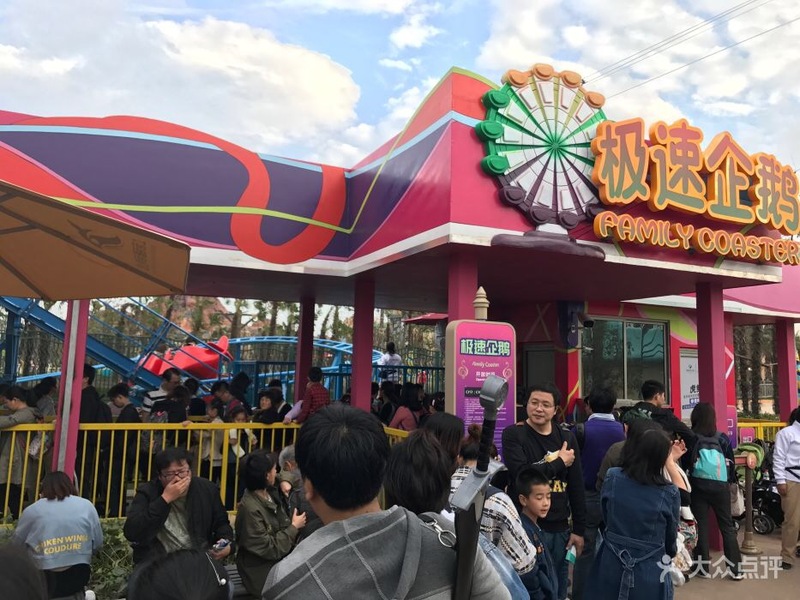 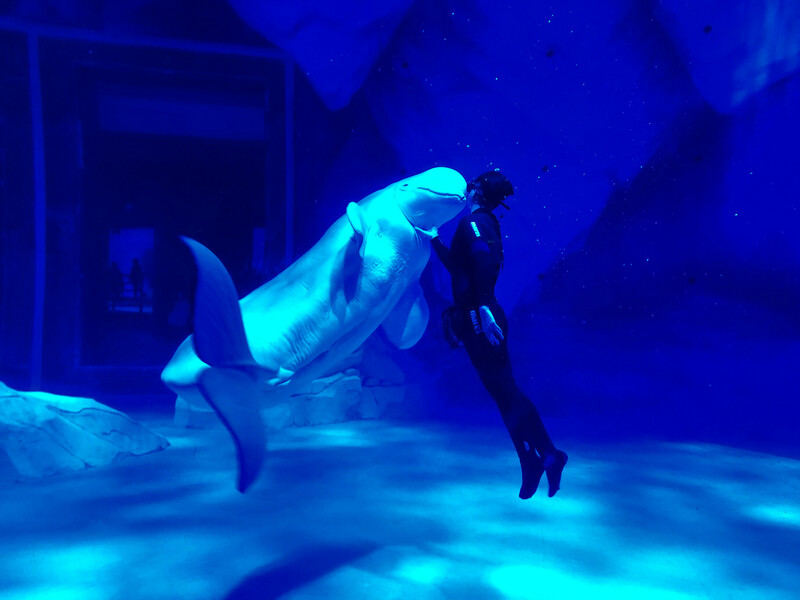 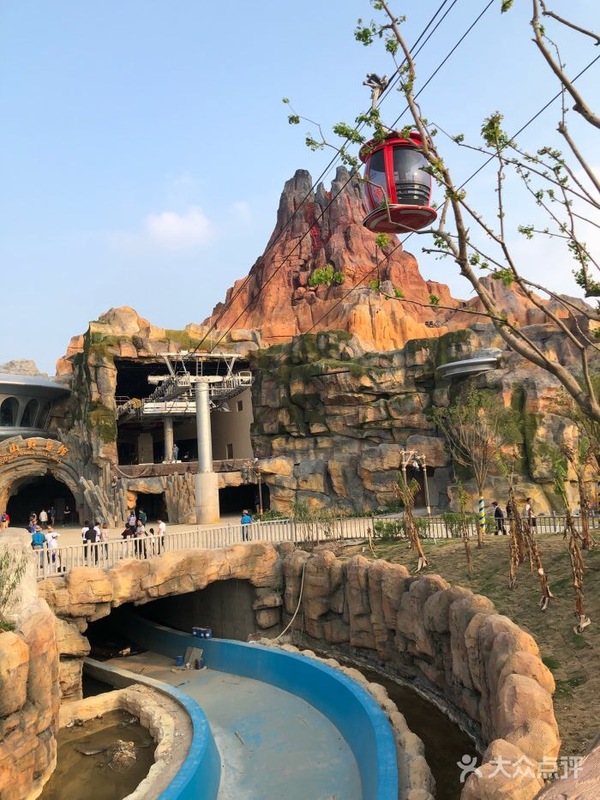 According to Haichang many of the main attractions that have yet to open including Steel Dolphin and Killer Whale Theater will be opening tomorrow so be sure to check back on themeparX for a plethora of photos from the grand opening. 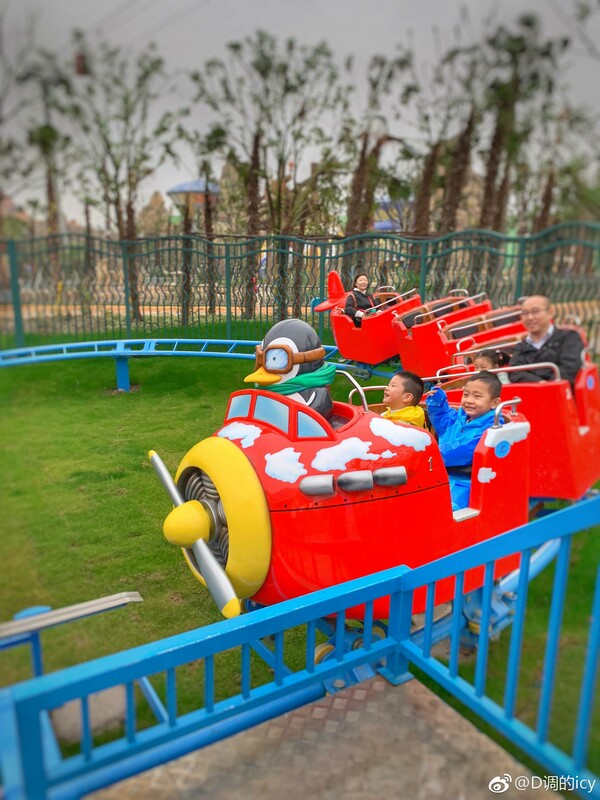 Another ride that just opened is the park's kiddie coaster! 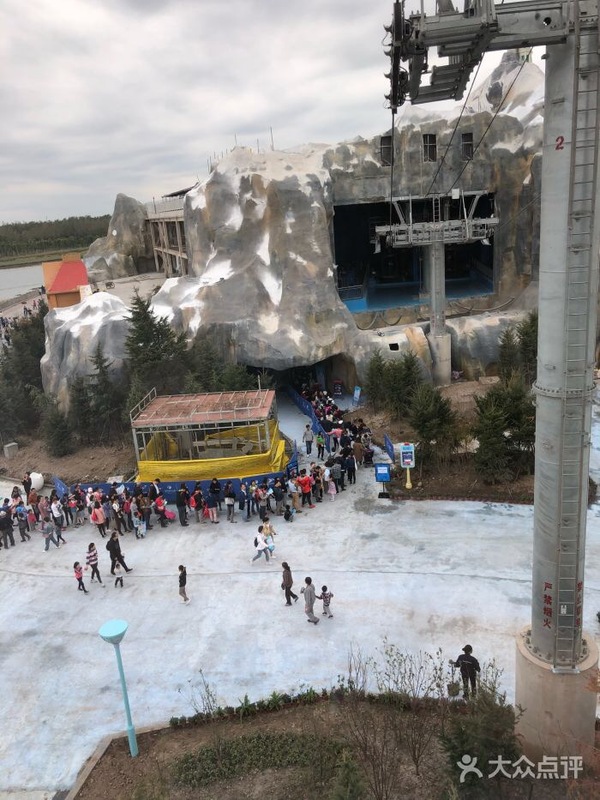 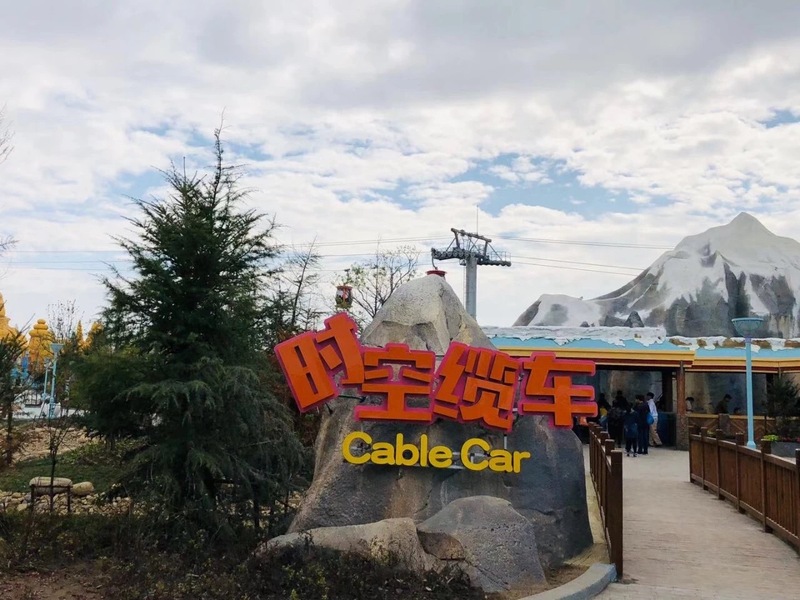 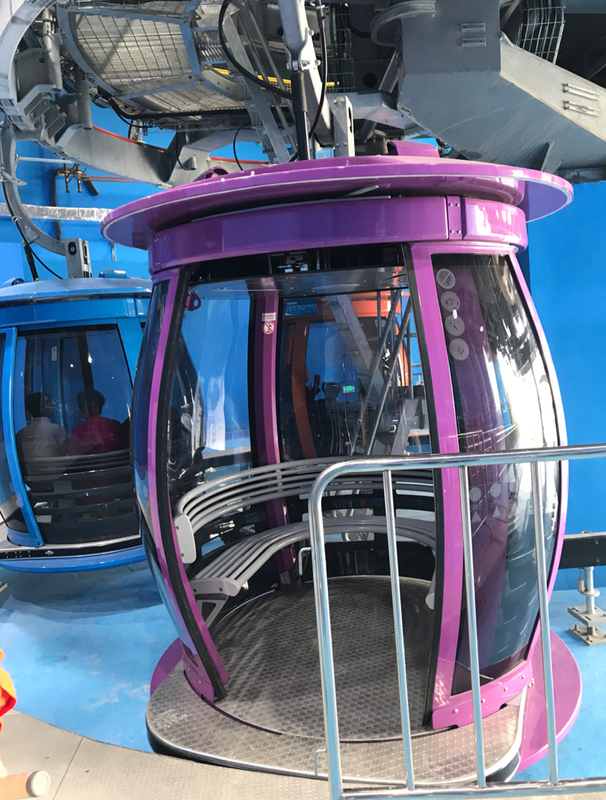 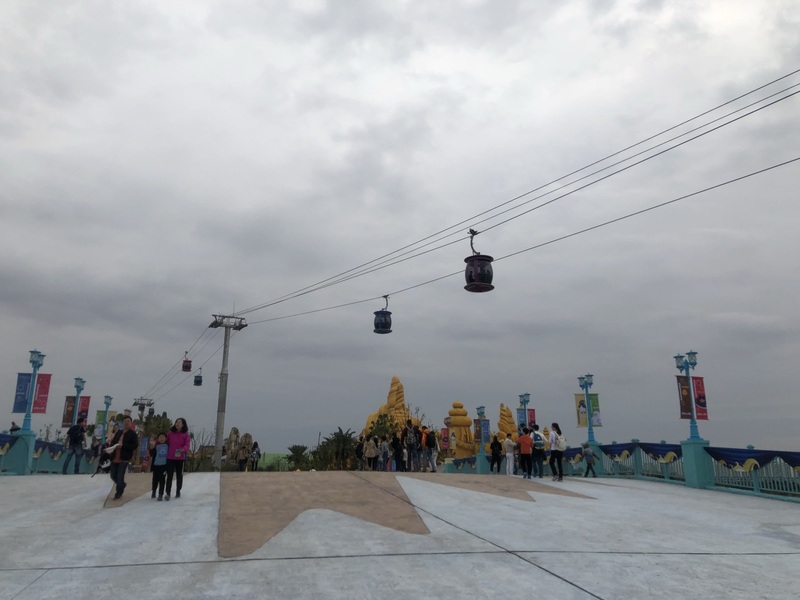 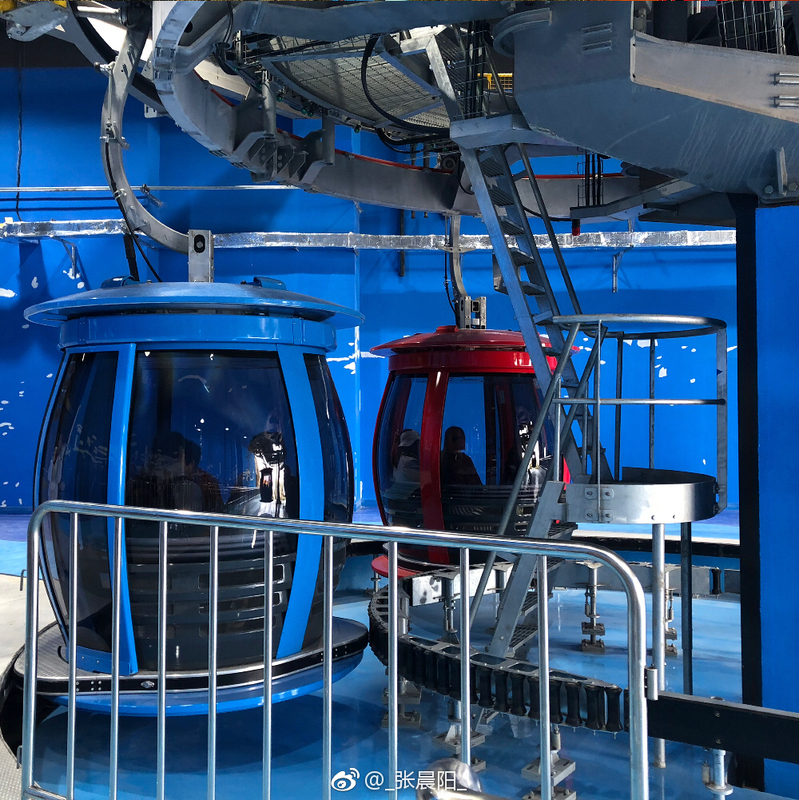 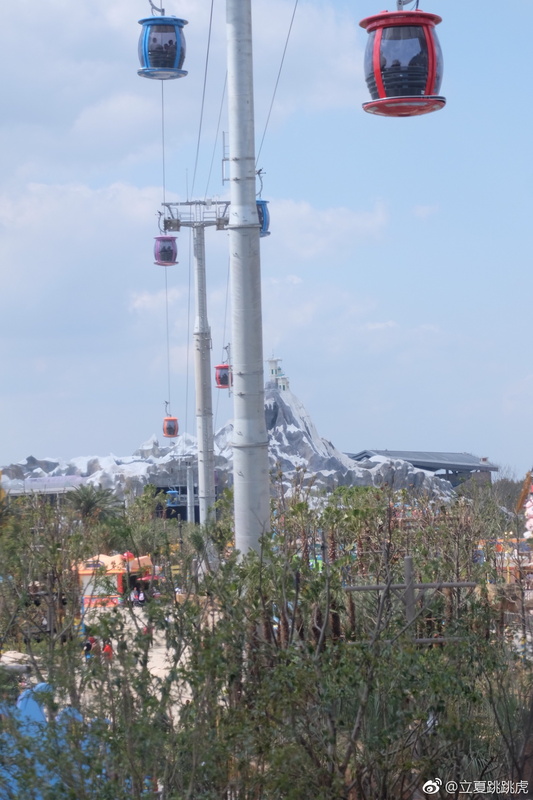 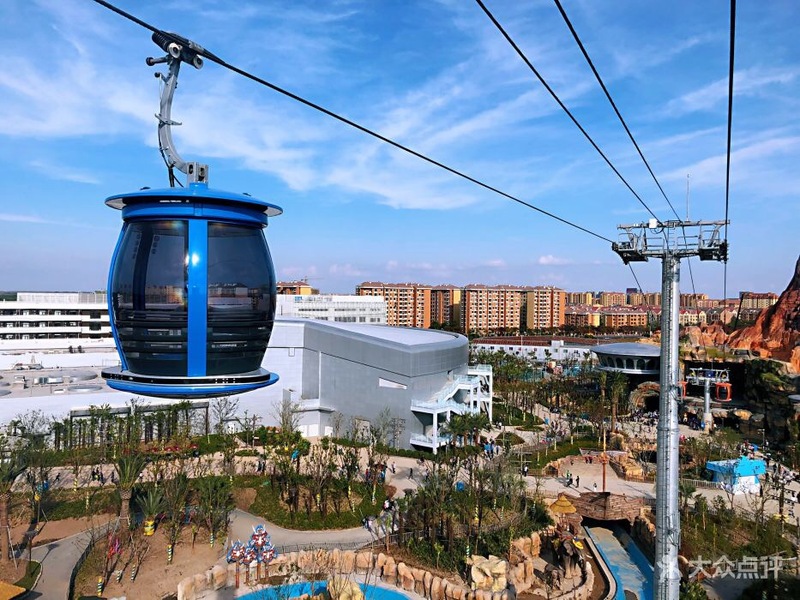 The long line that extends into the main pathway in the last photo is for the Cable Car but this is just temporary while the main queue and entrance for the Cable Car's polar mountain station is being built. 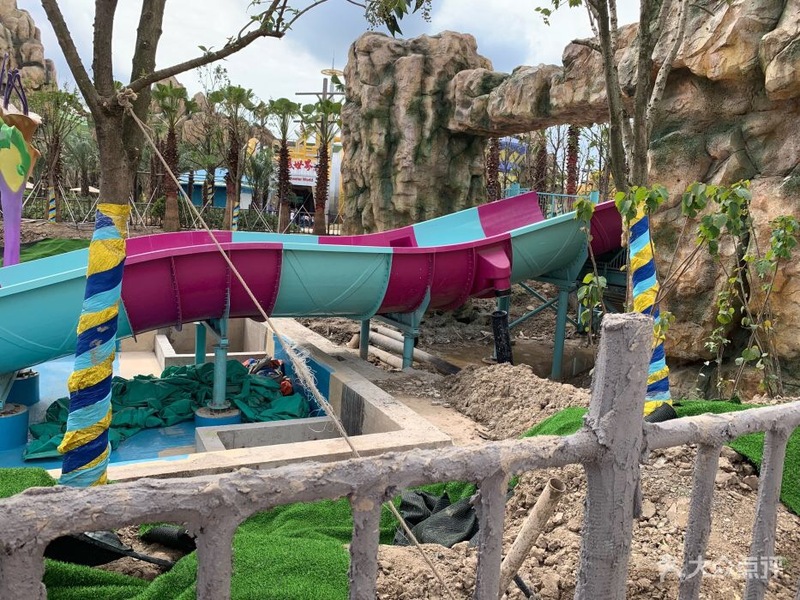 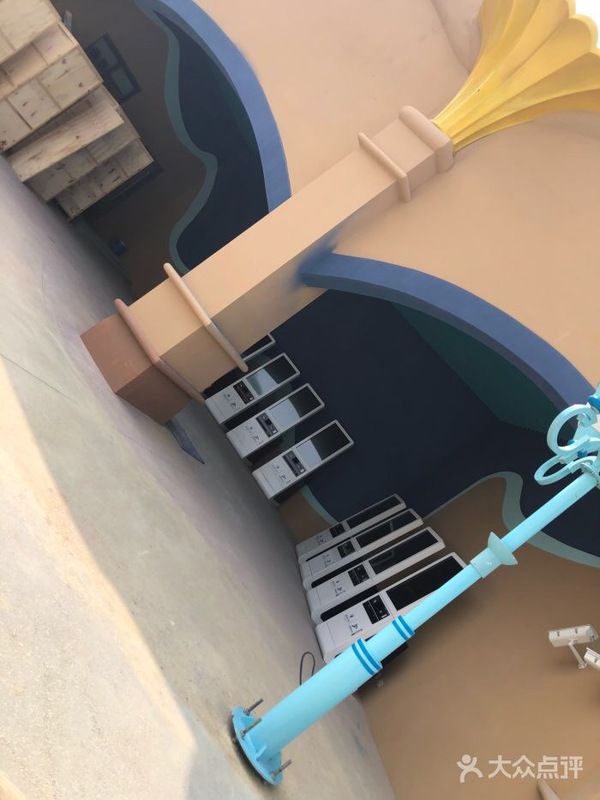 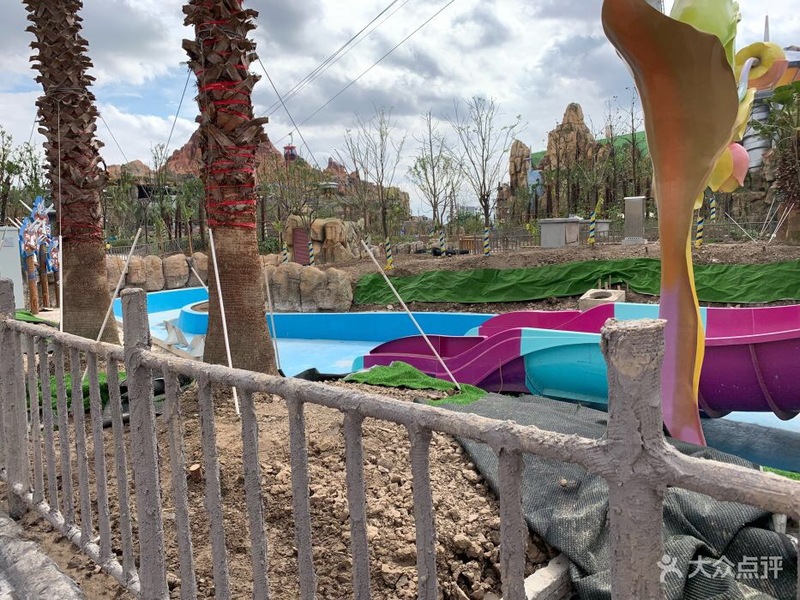 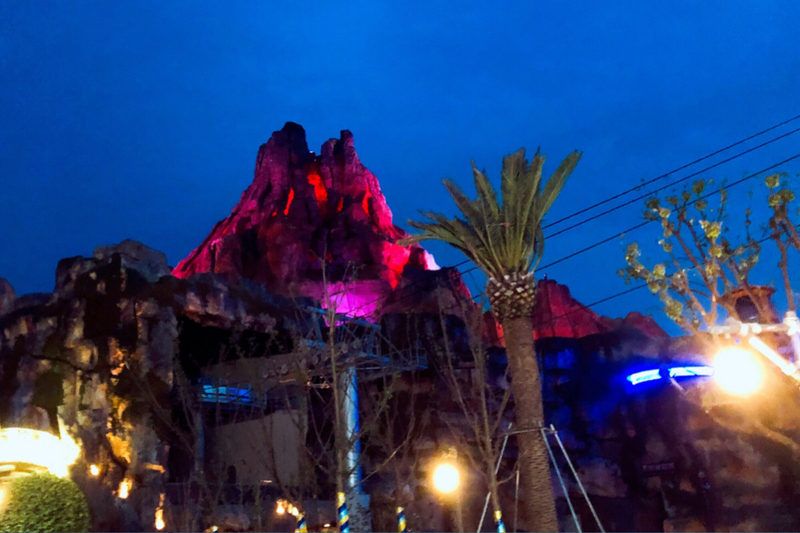 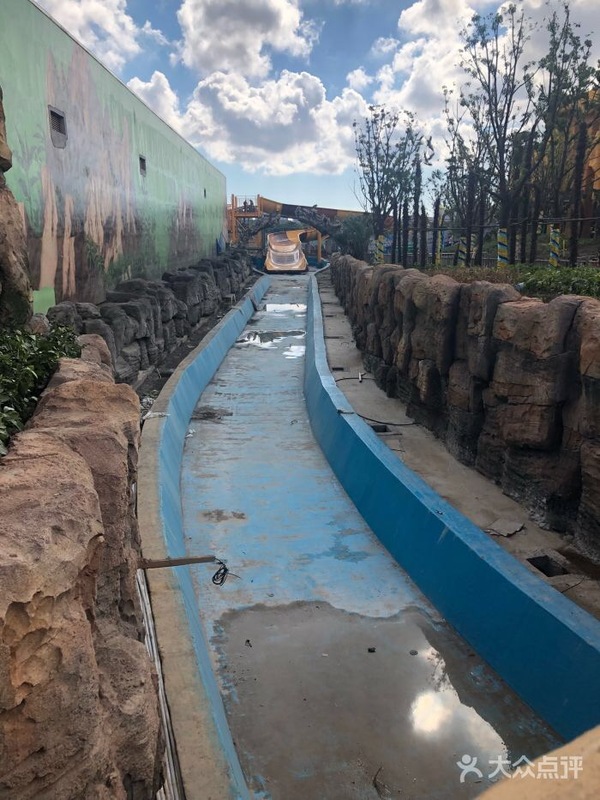 On the ground construction photos of Fire Falls spinning river rapids - this ride is practically guaranteed to not be open for the grand opening because testing has not even begun and the grand opening is in just over two weeks. 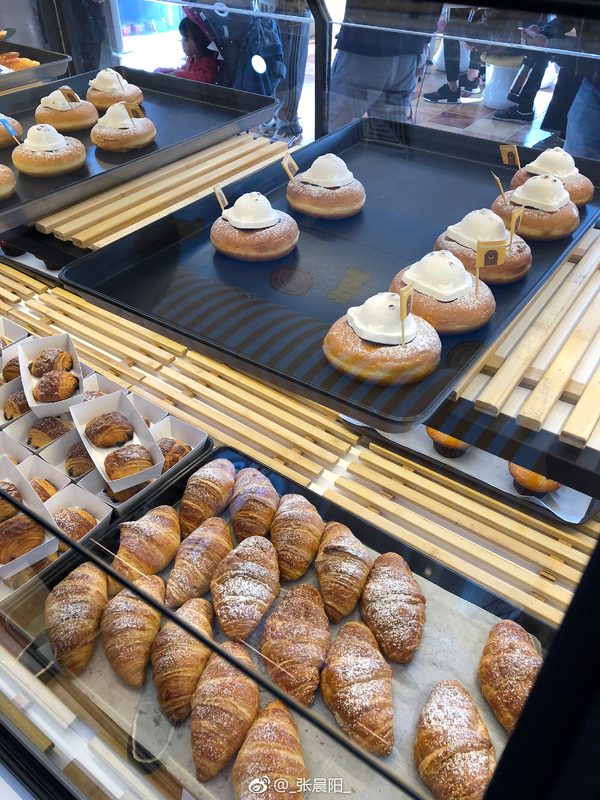 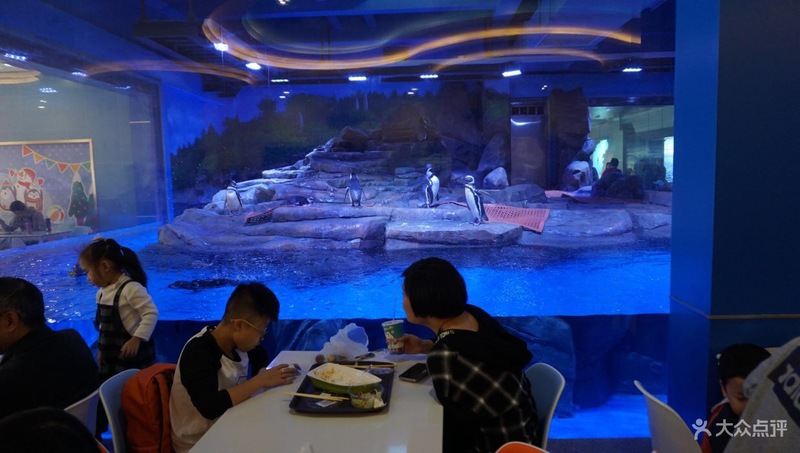 The Penguin Restaurant is now open! 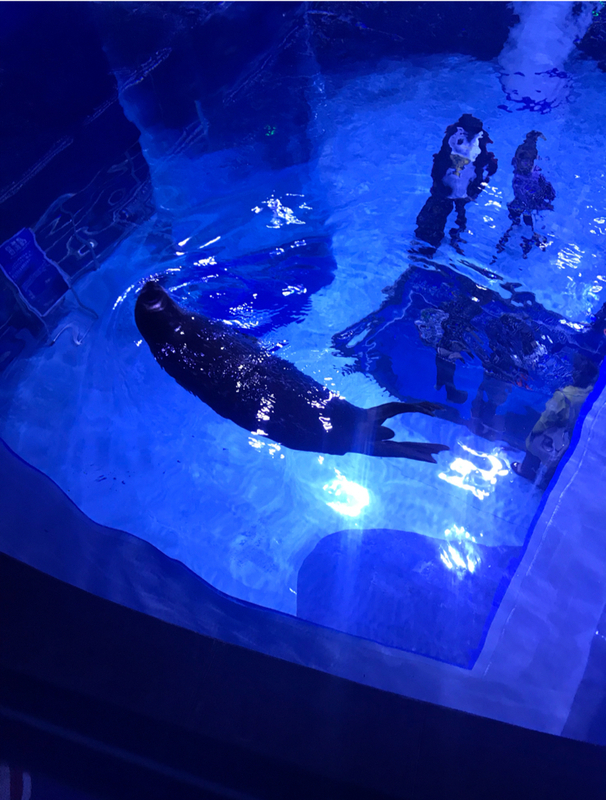 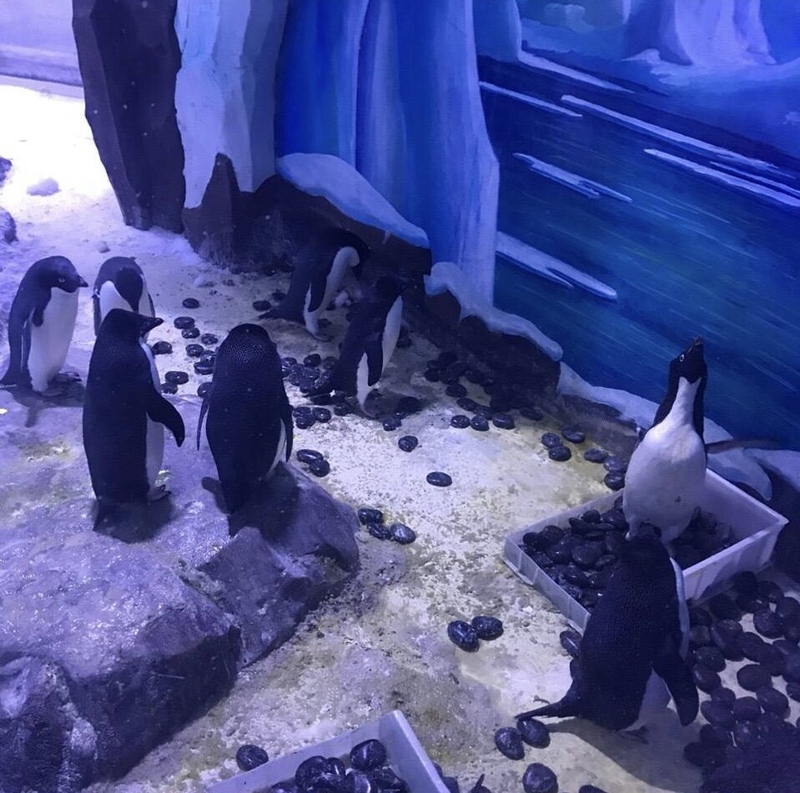 Guests get a great view of the park's Humboldt penguin exhibit while dining. 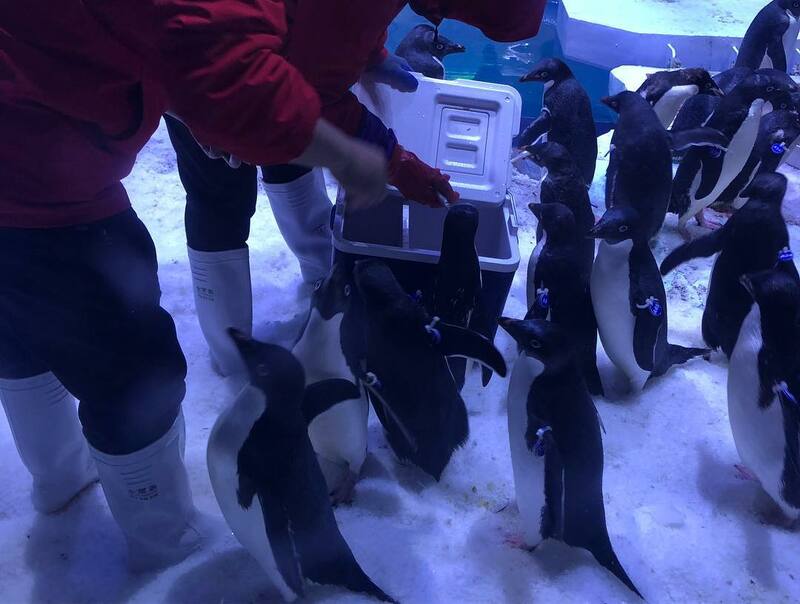 At the door diners are greeted by a pair of penguin chefs. 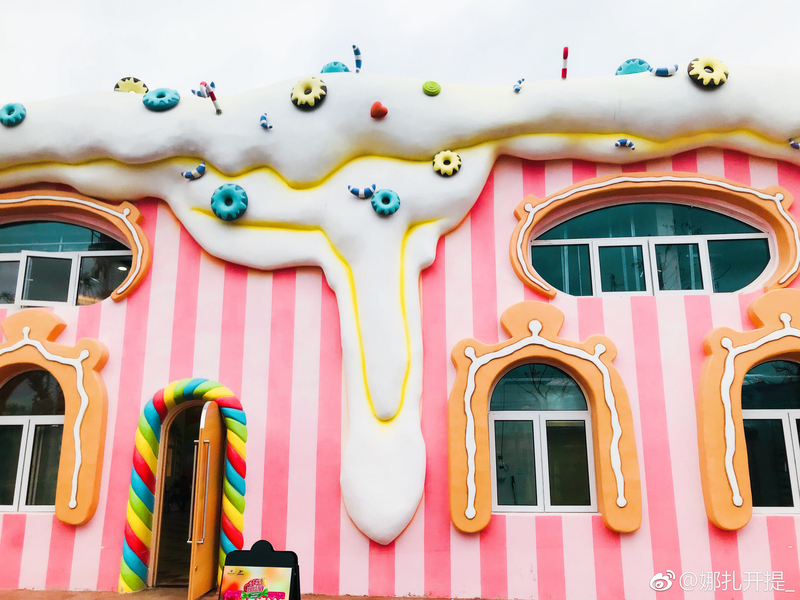 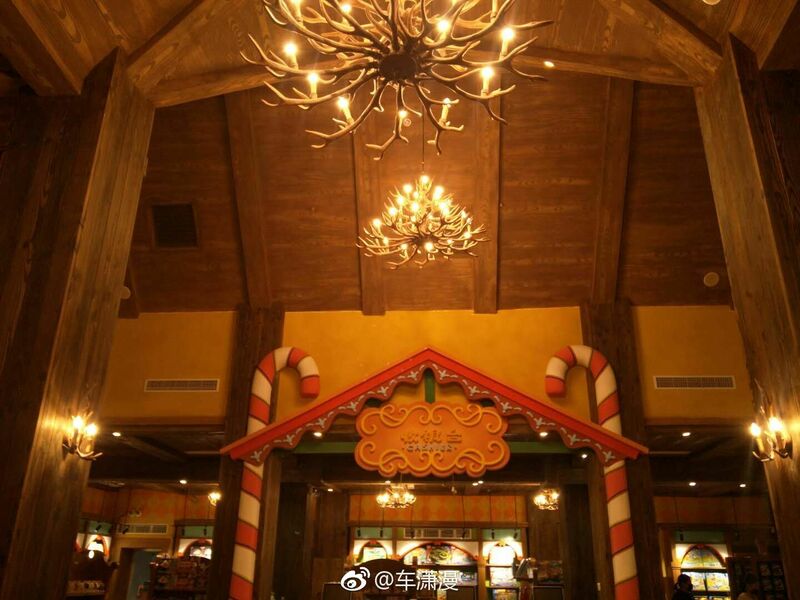 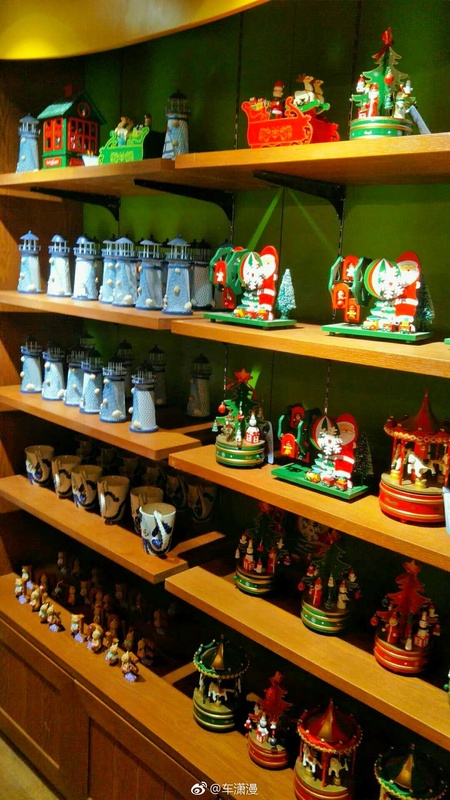 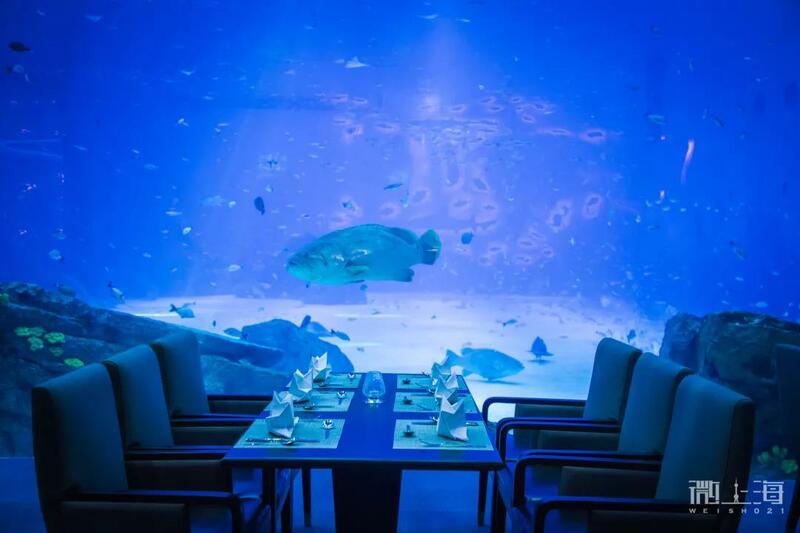 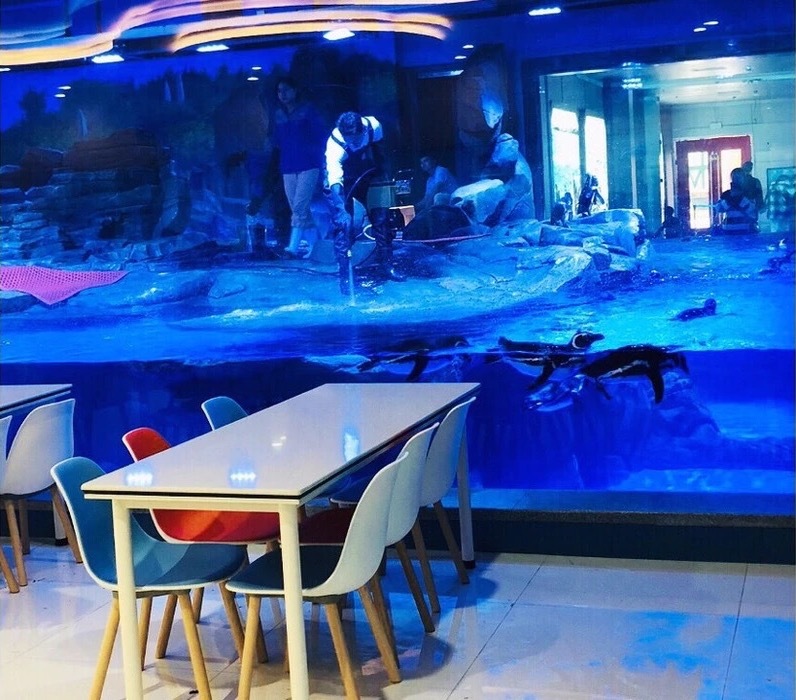 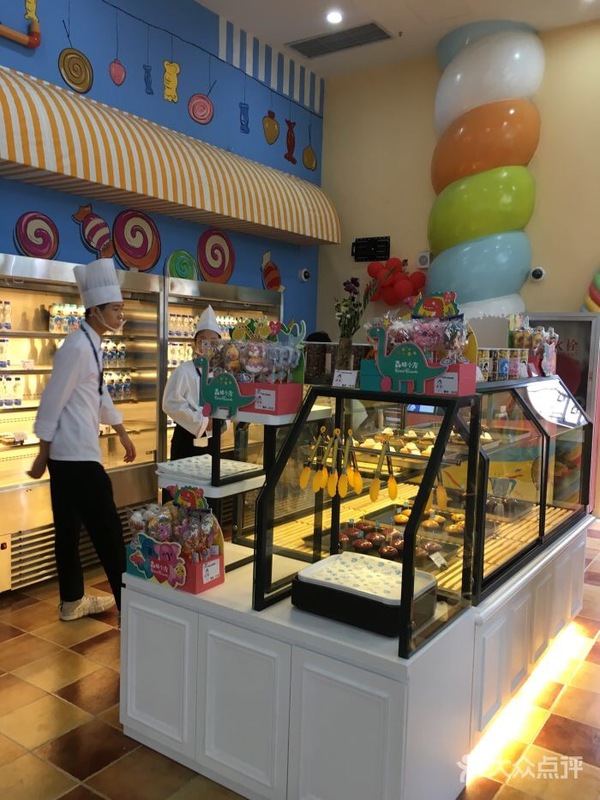 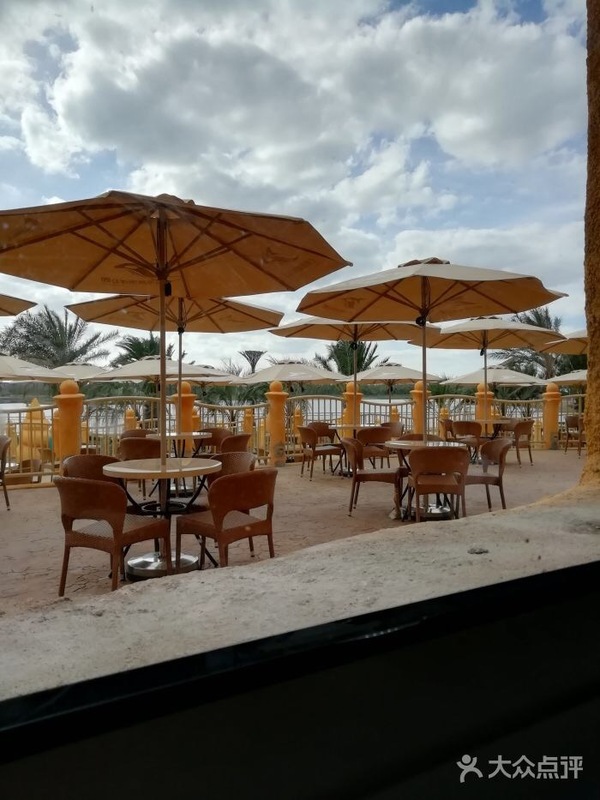 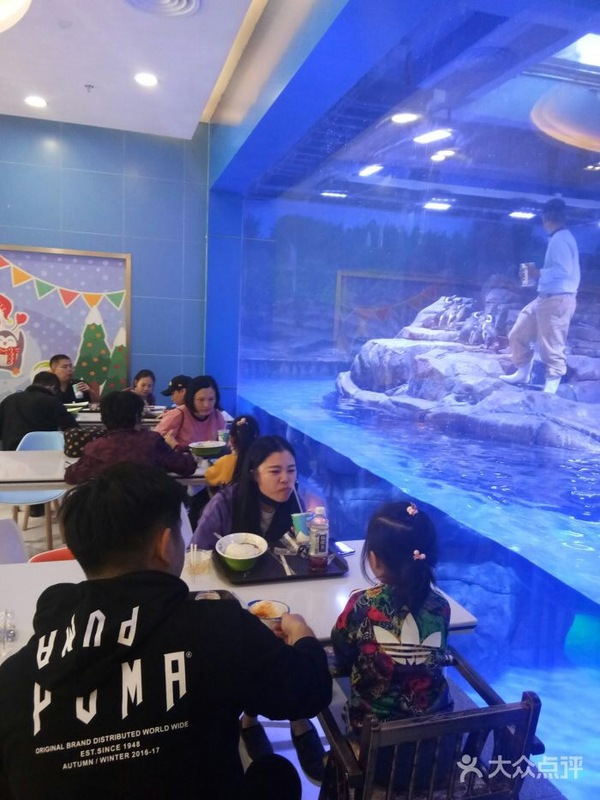 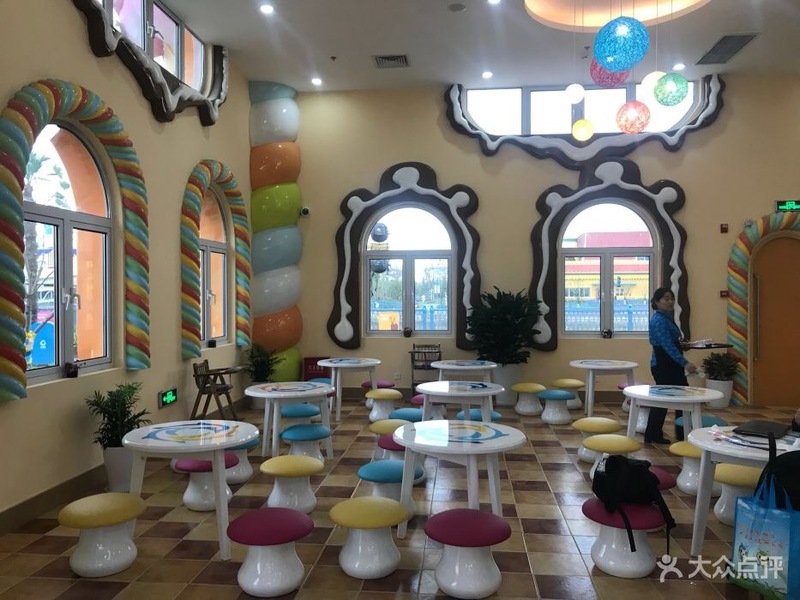 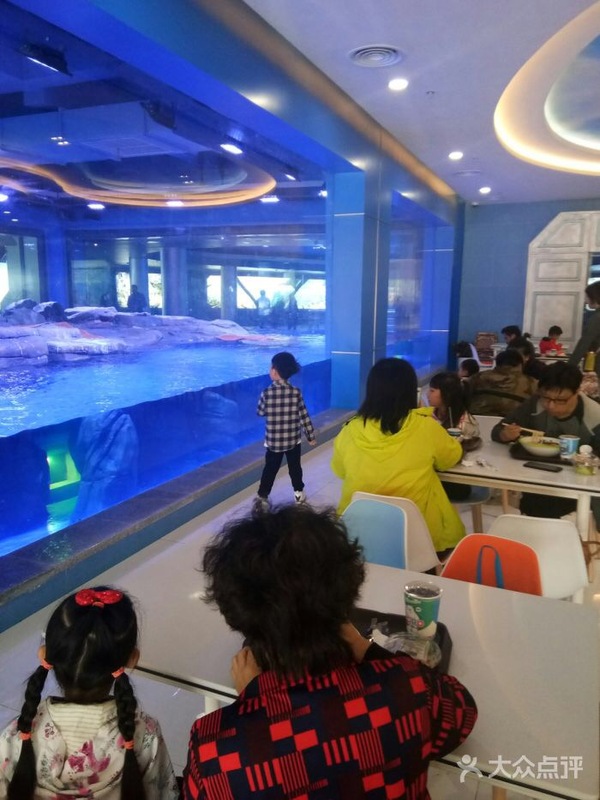 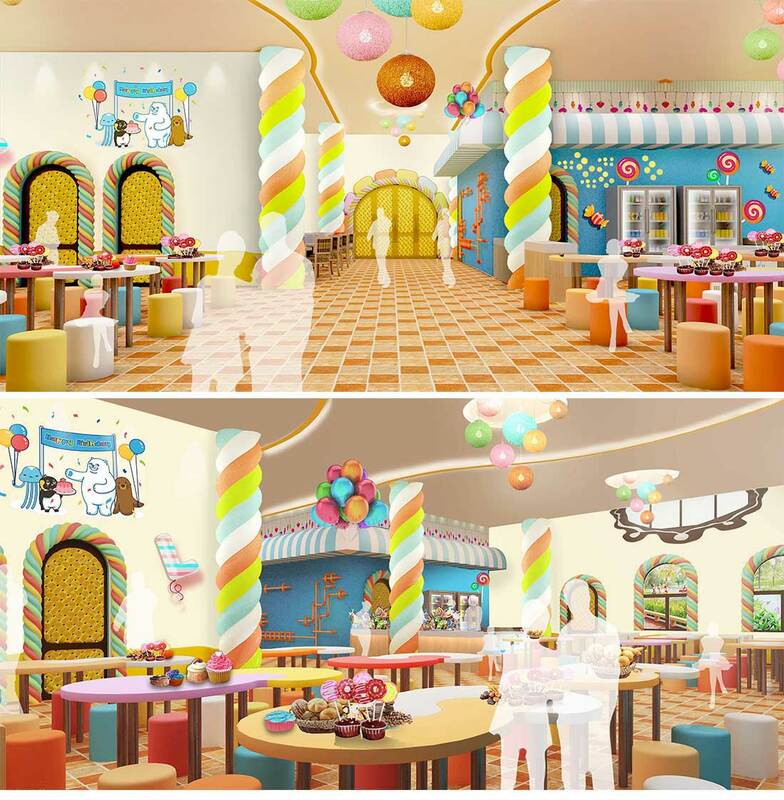 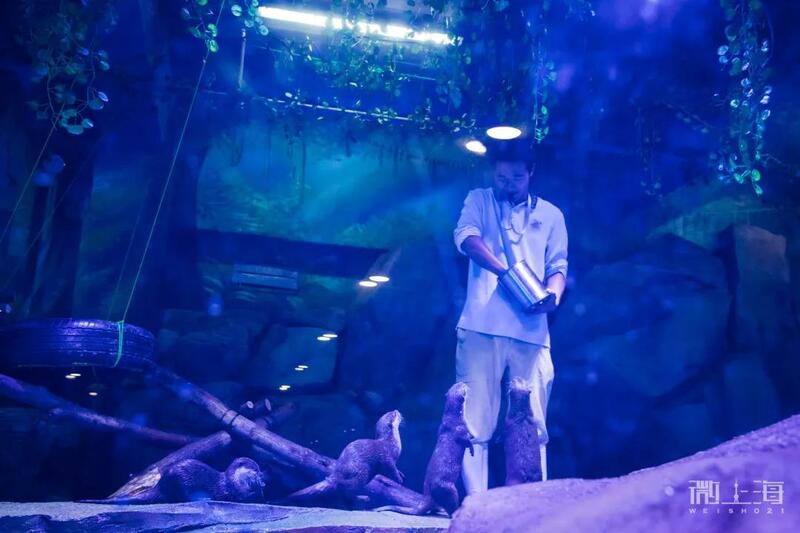 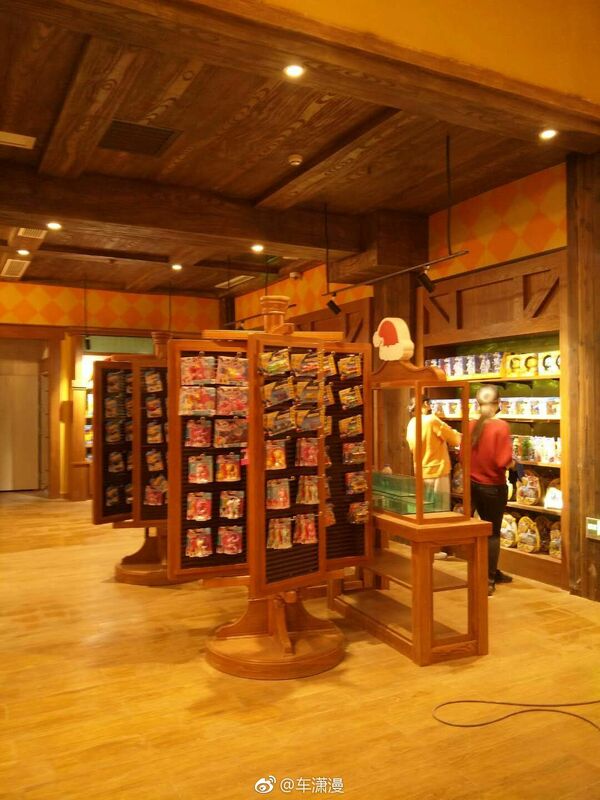 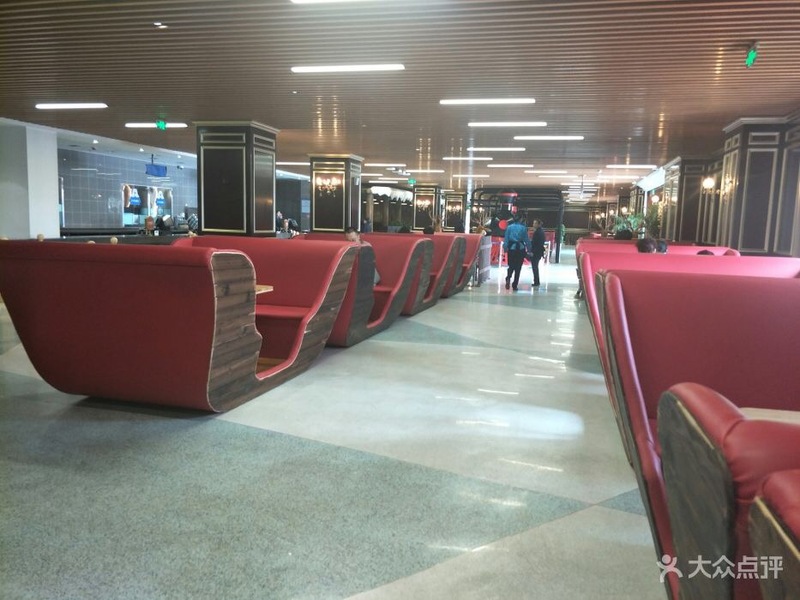 This restaurant is very similar to the penguin restaurant at Chimelong's penguin-themed hotel in Zhuhai. 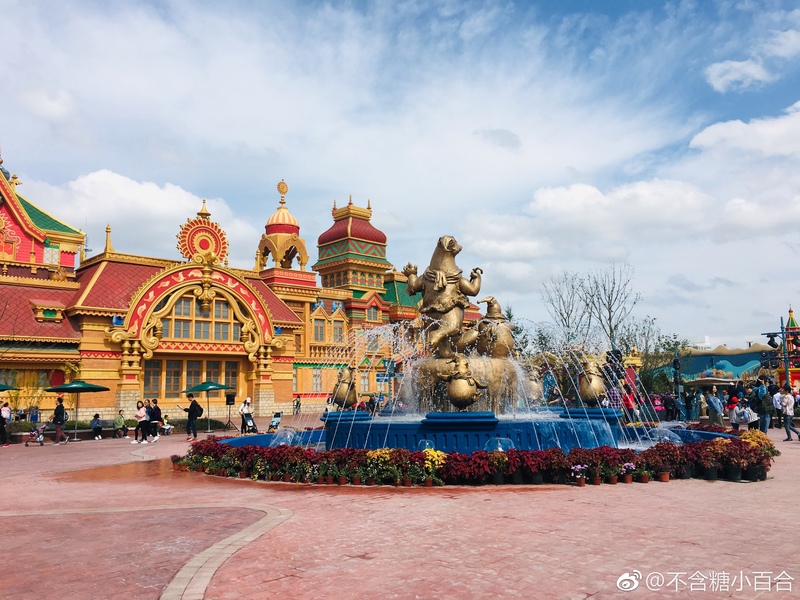 The fountain at the center of Christmas Town is now on!